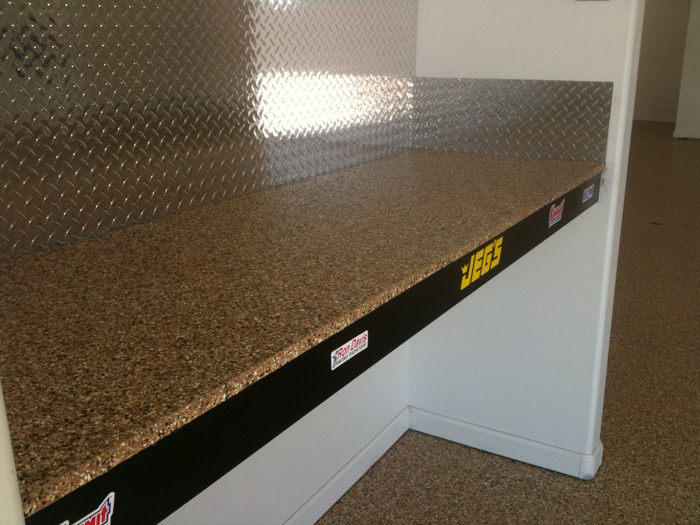 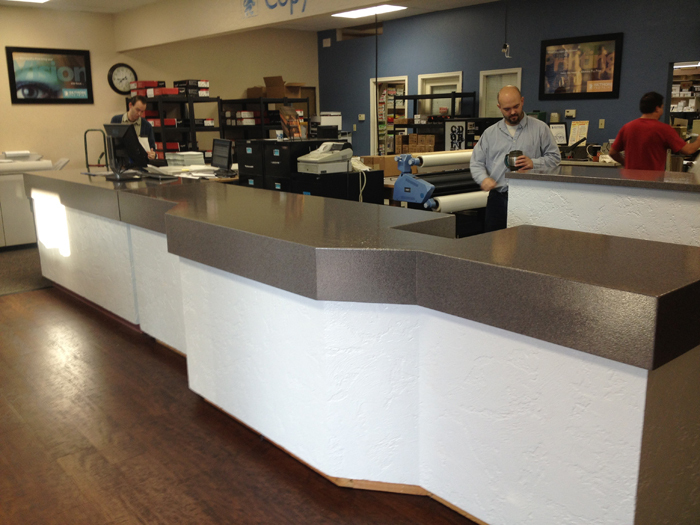 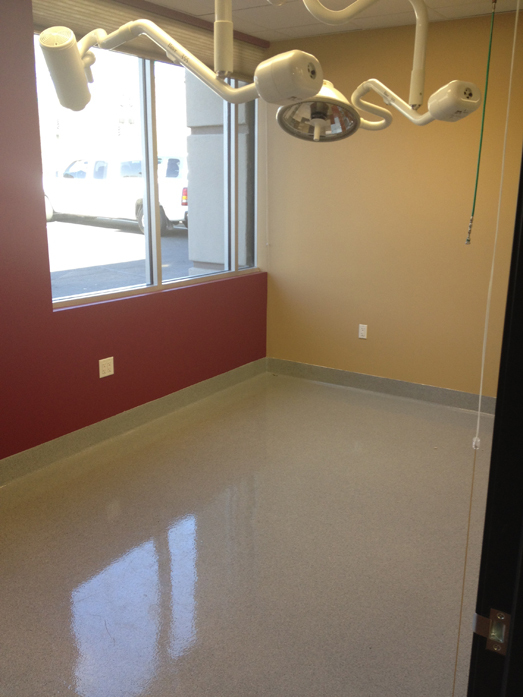 Available in 4 standard colors this system is an economical way to add beauty and functionality to your work space. 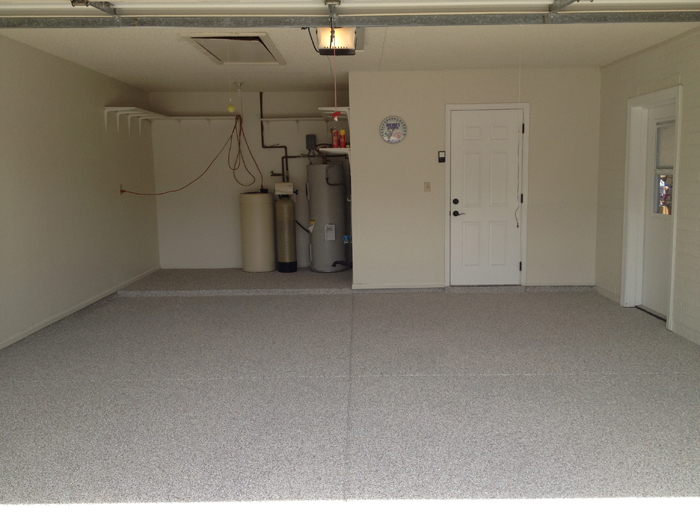 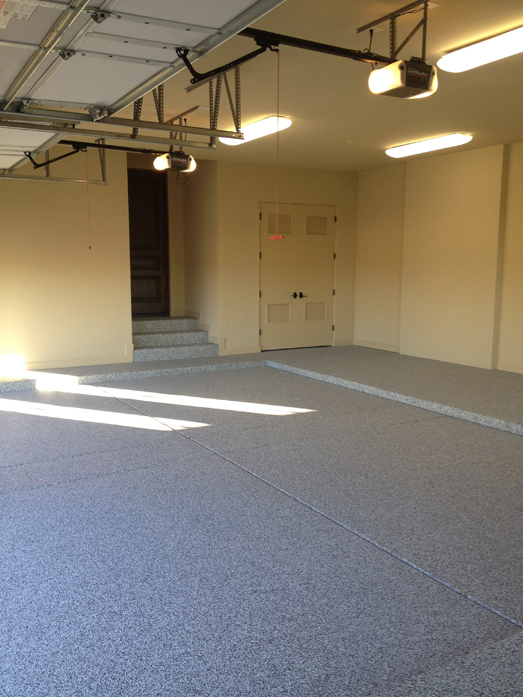 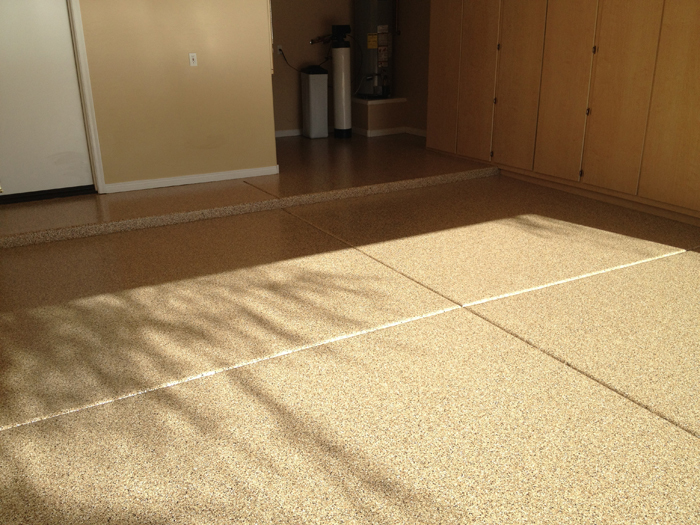 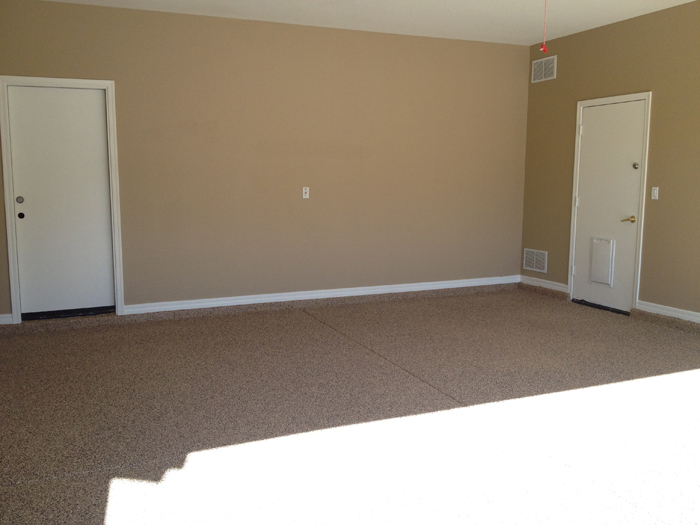 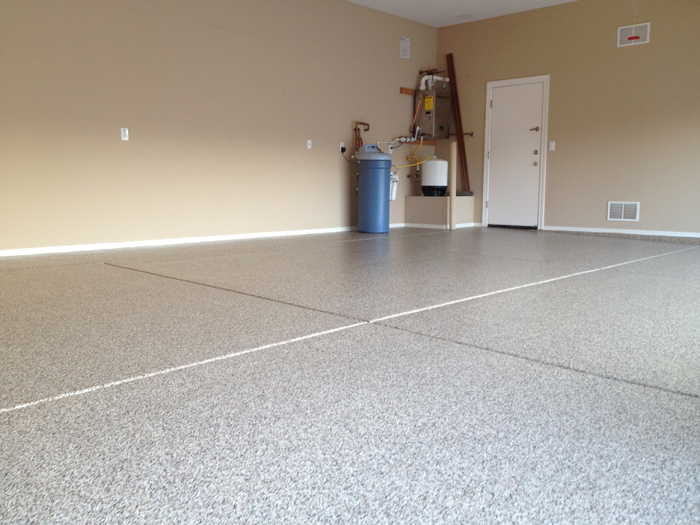 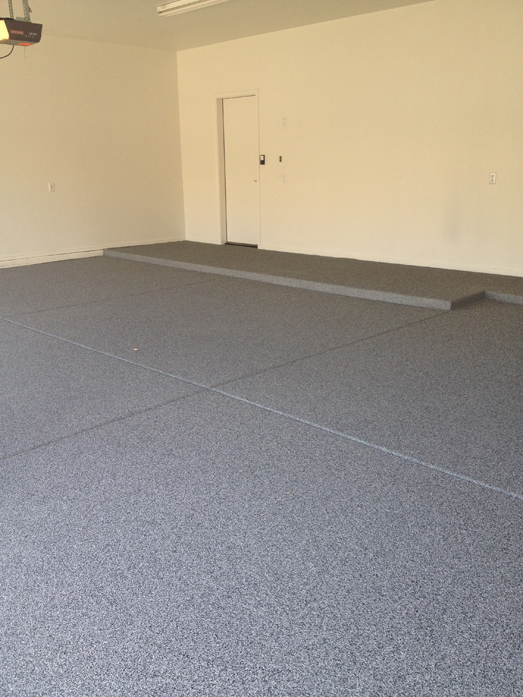 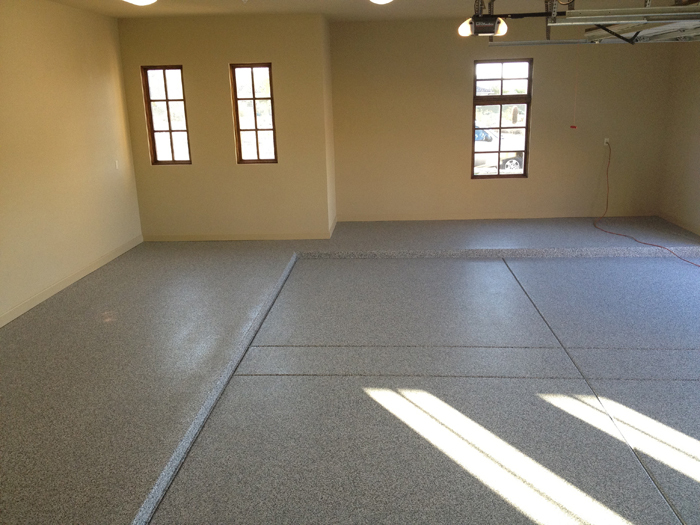 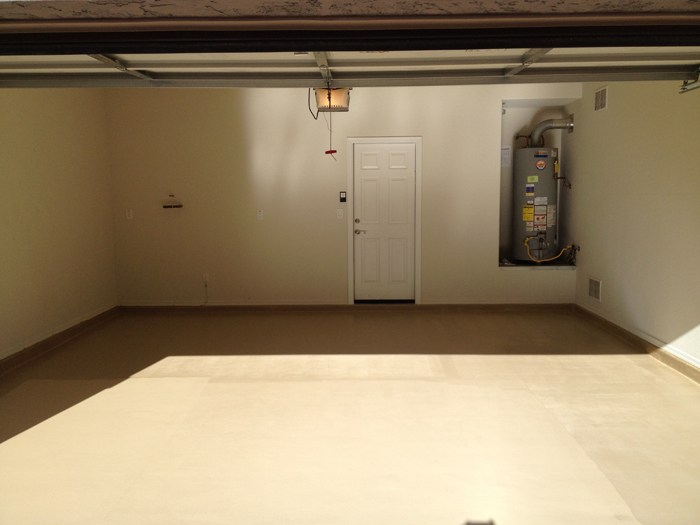 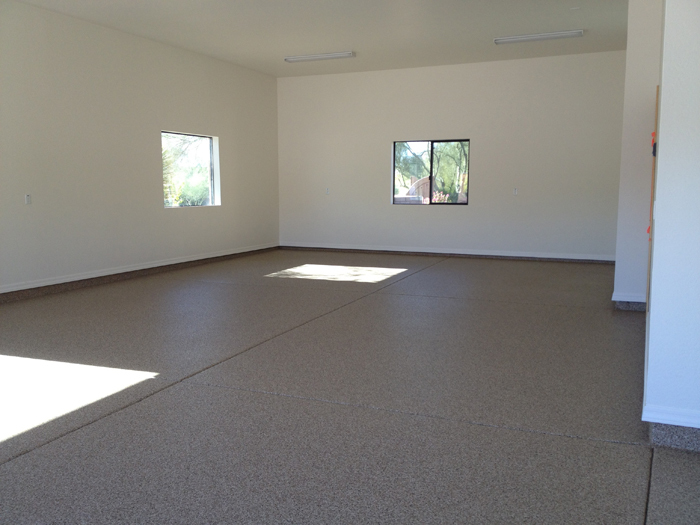 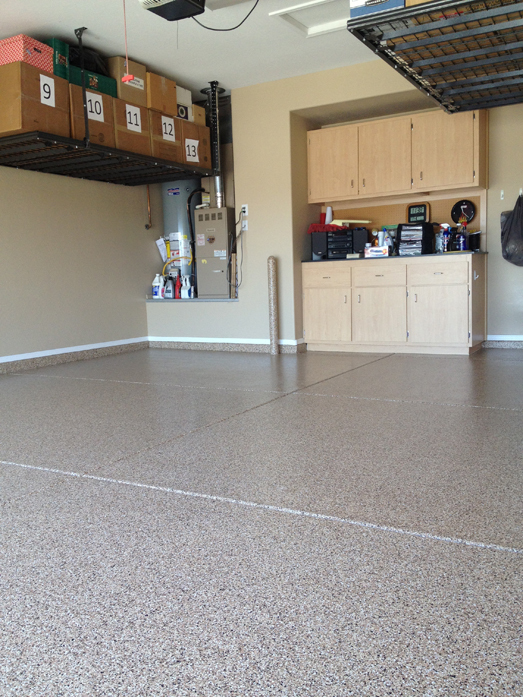 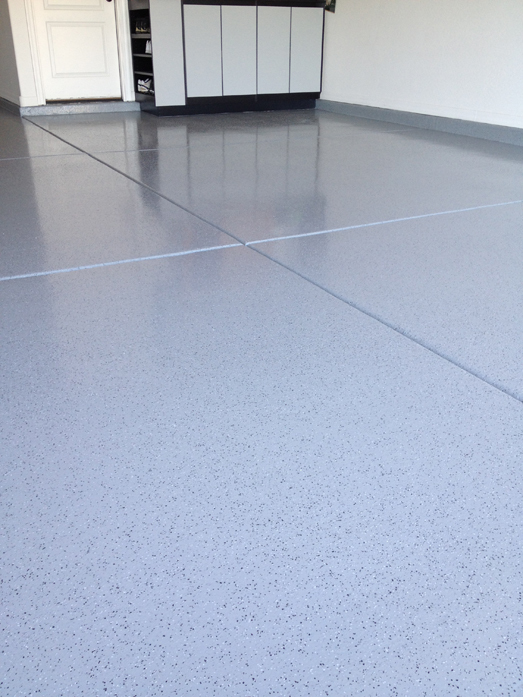 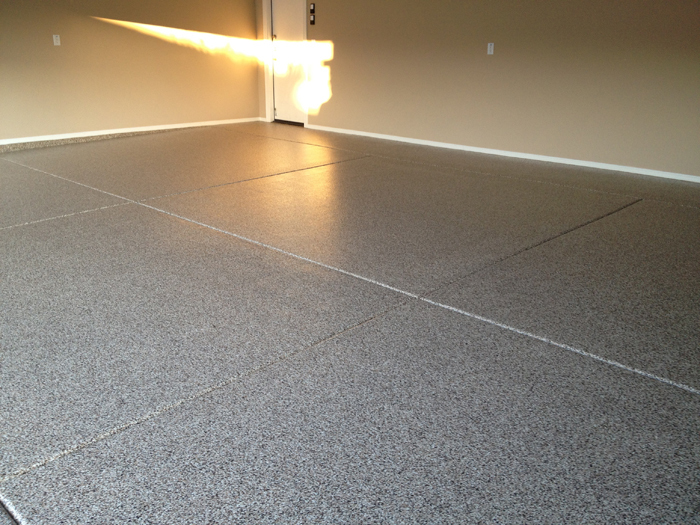 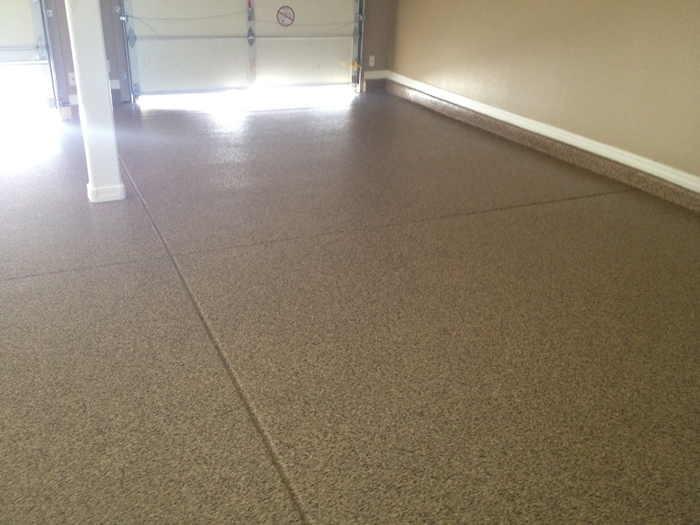 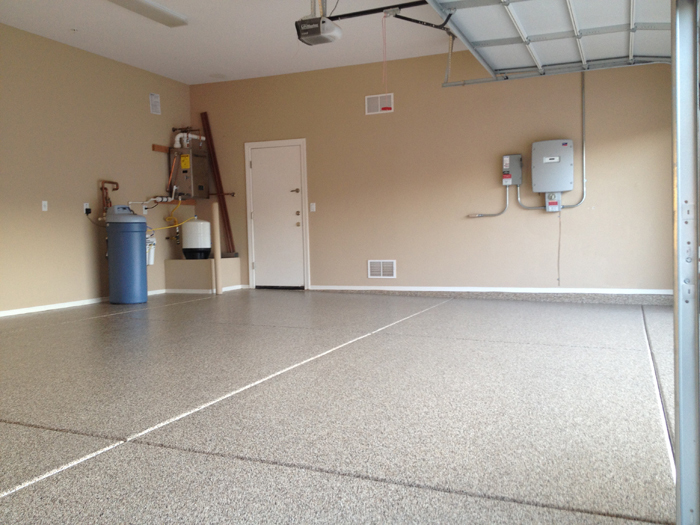 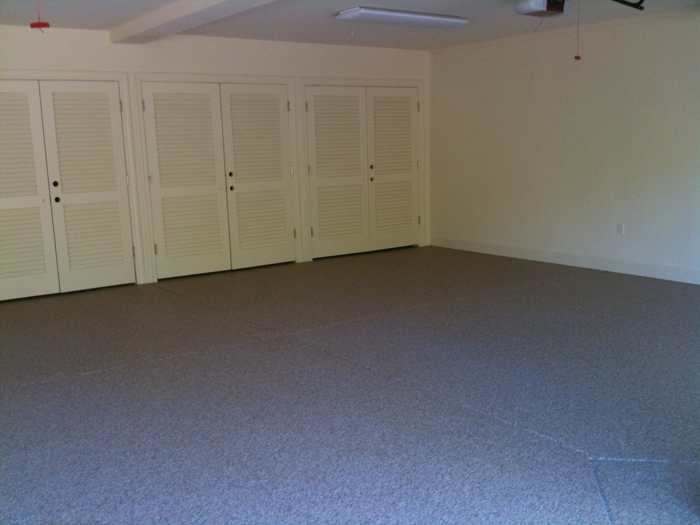 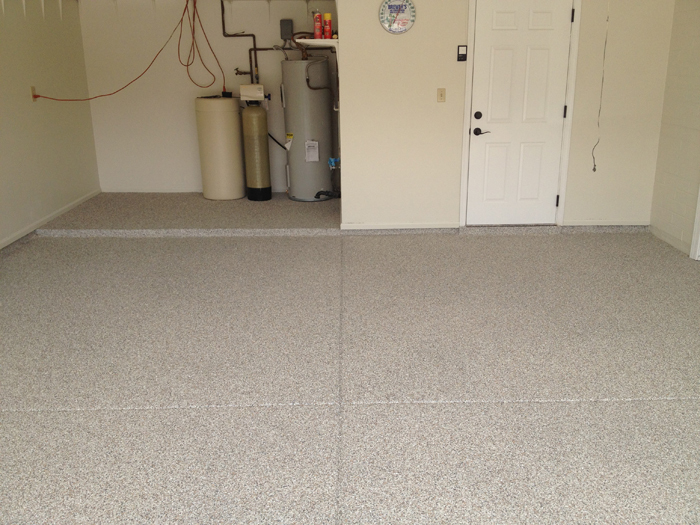 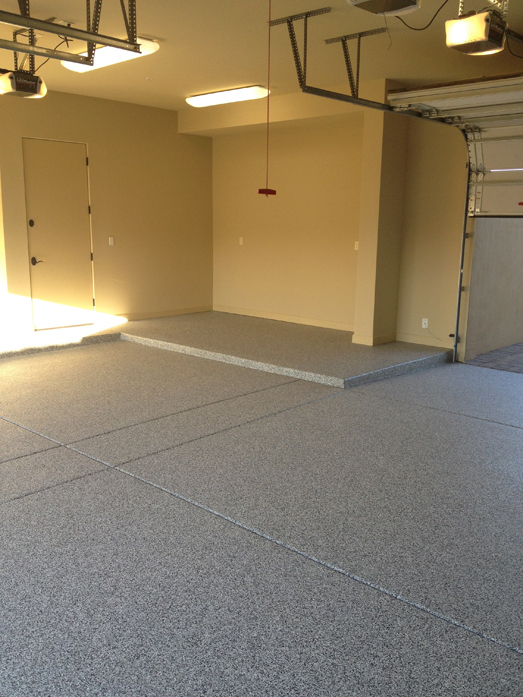 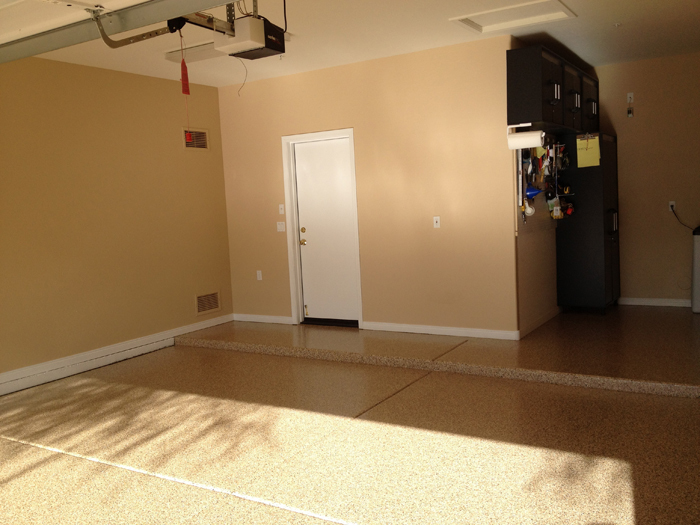 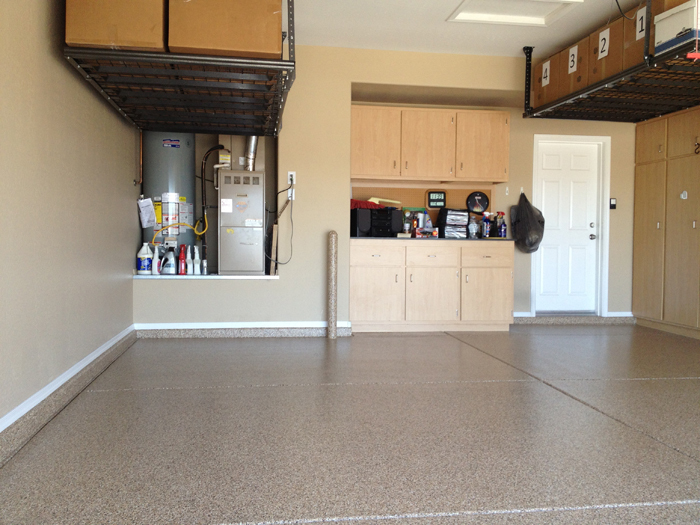 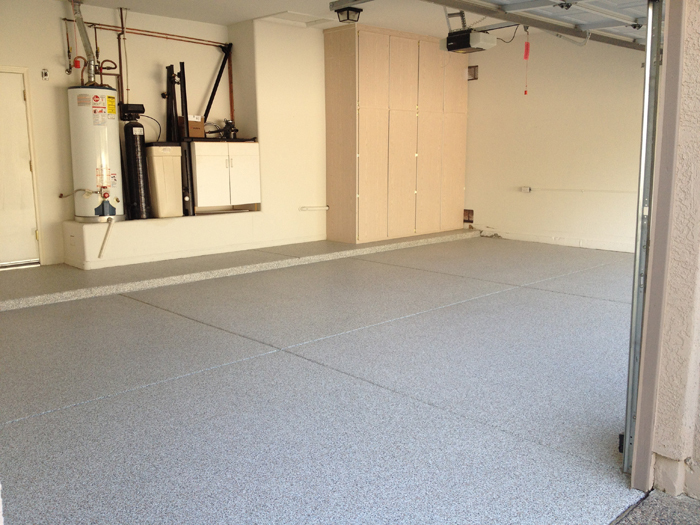 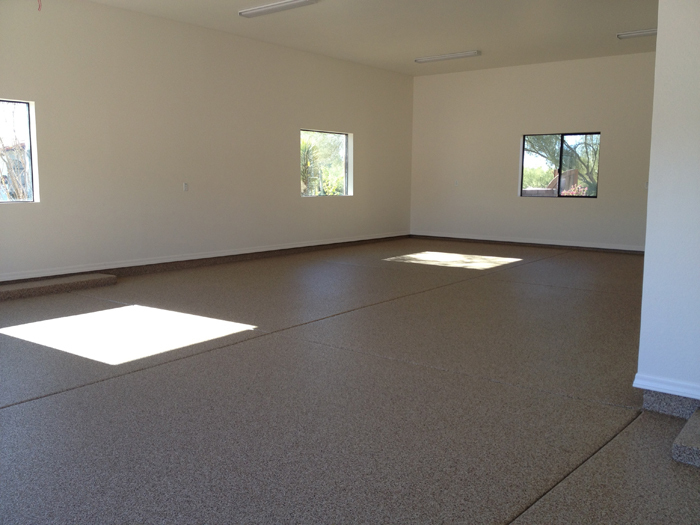 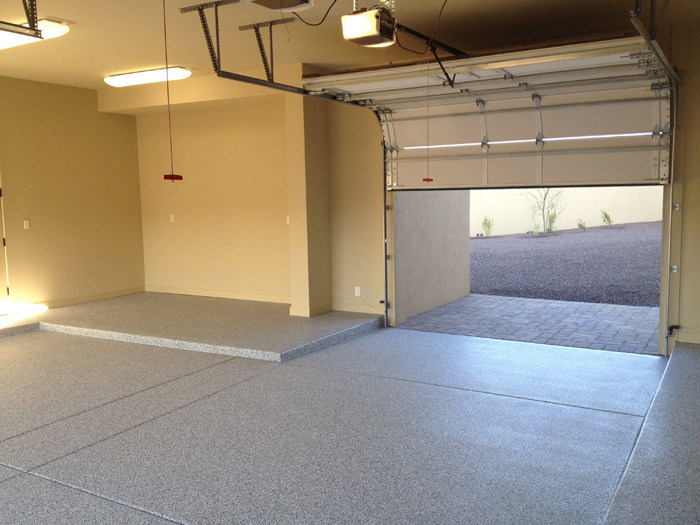 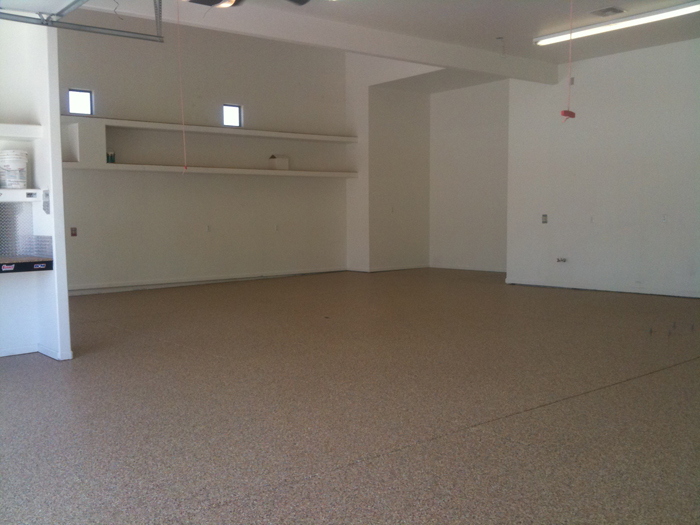 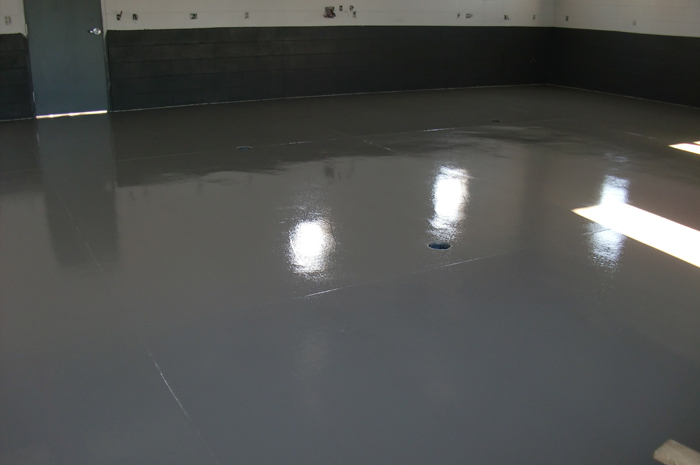 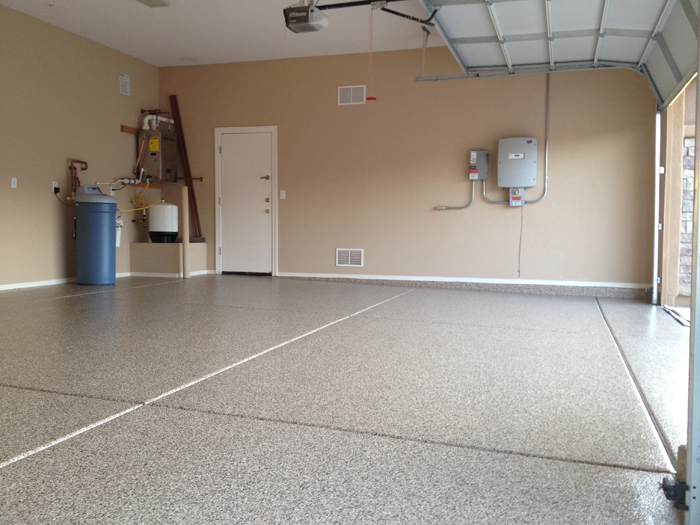 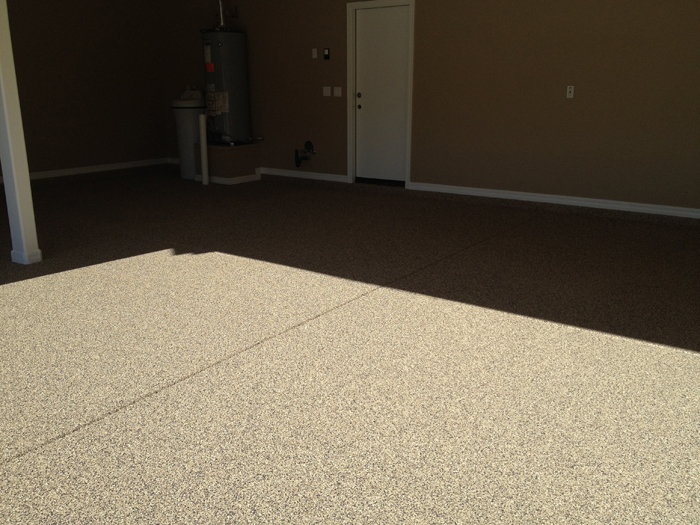 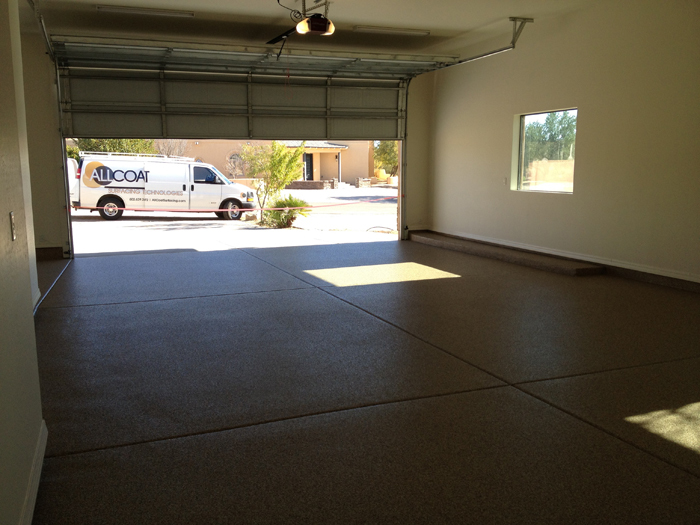 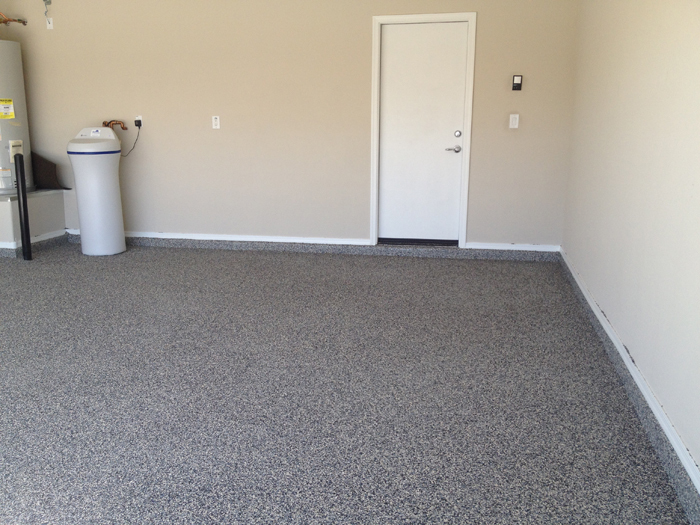 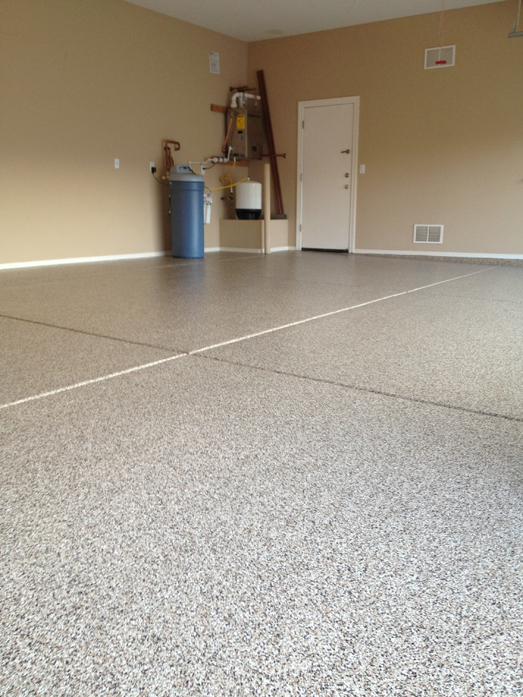 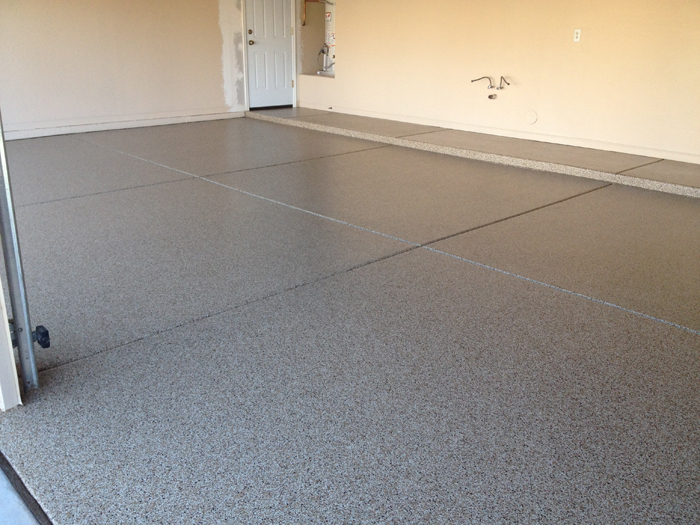 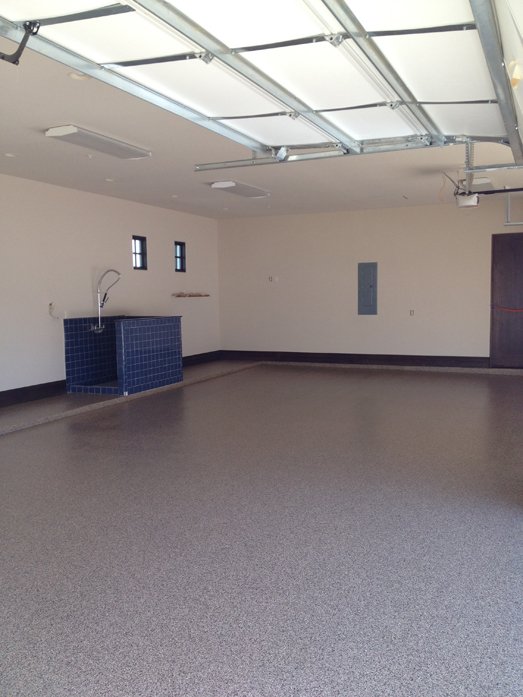 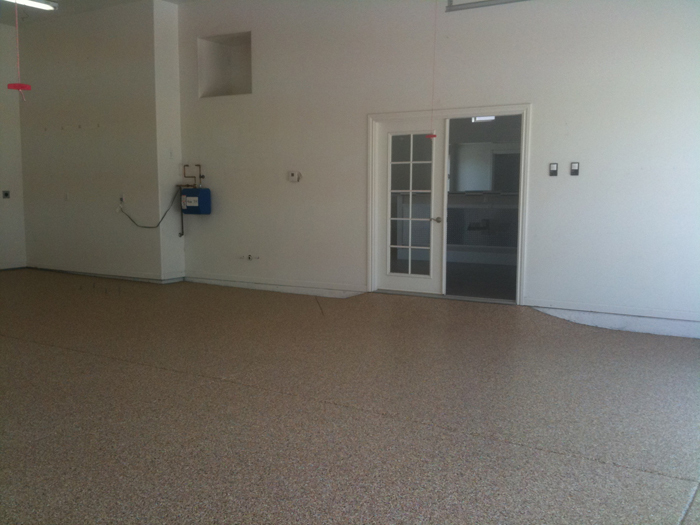 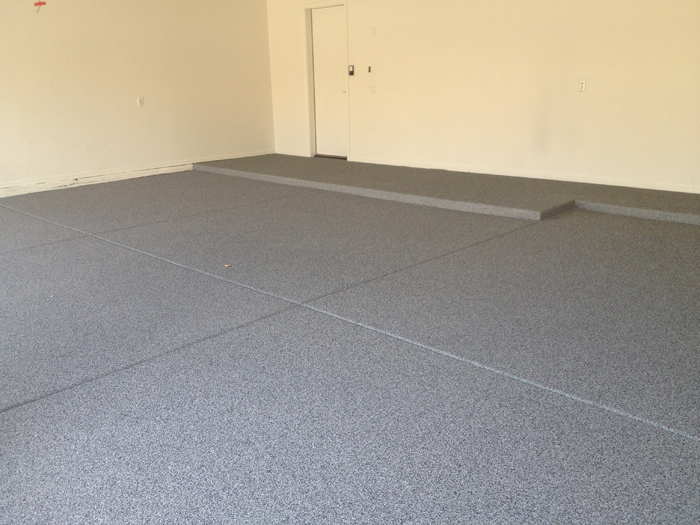 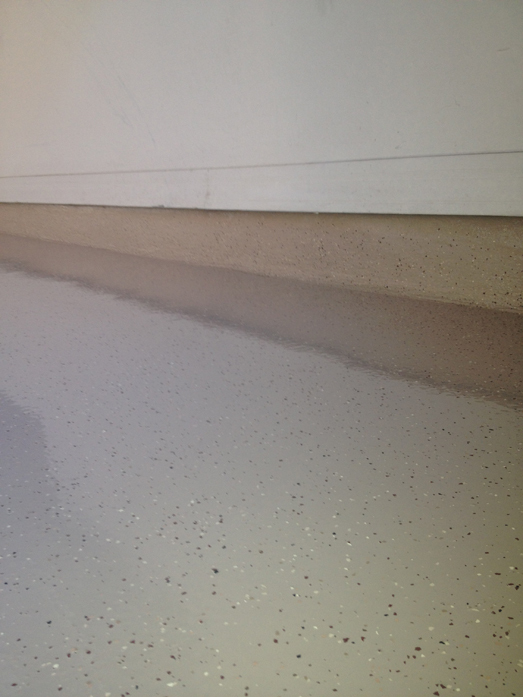 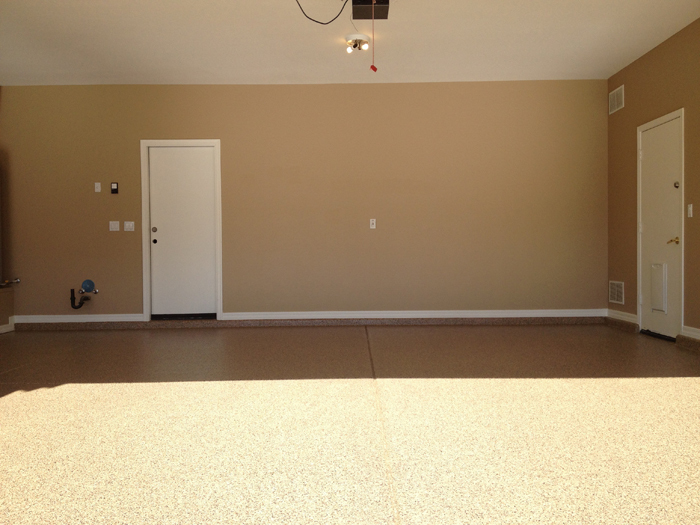 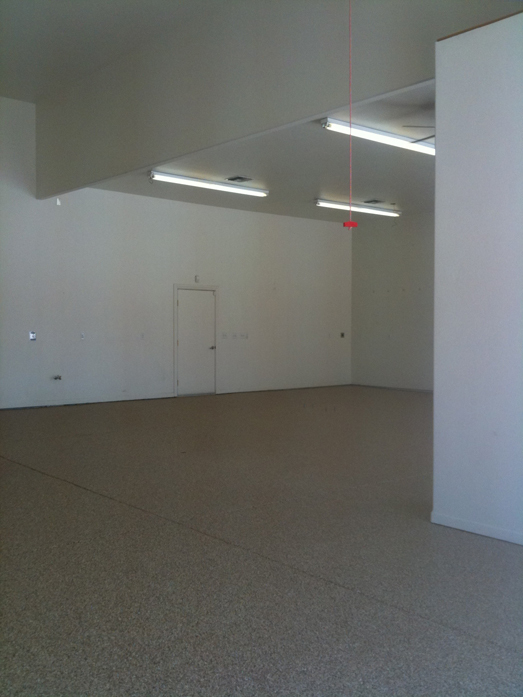 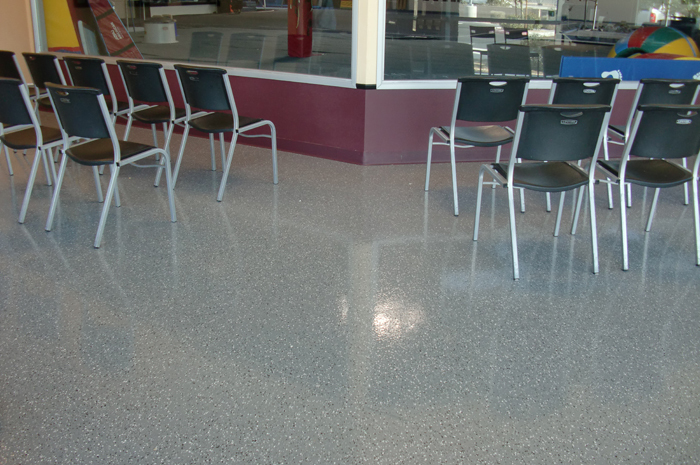 Prevention of concrete dusting, ease of cleaning, and enhanced appearance are just a few of the benefits of a resinous flooring system. 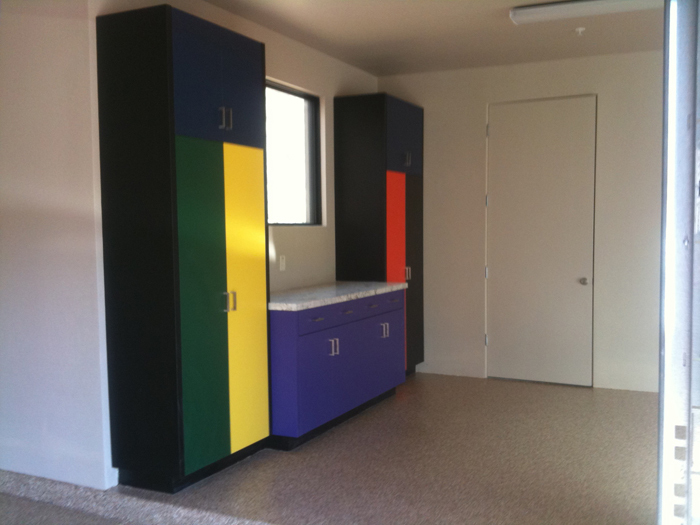 Custom colors available upon request. 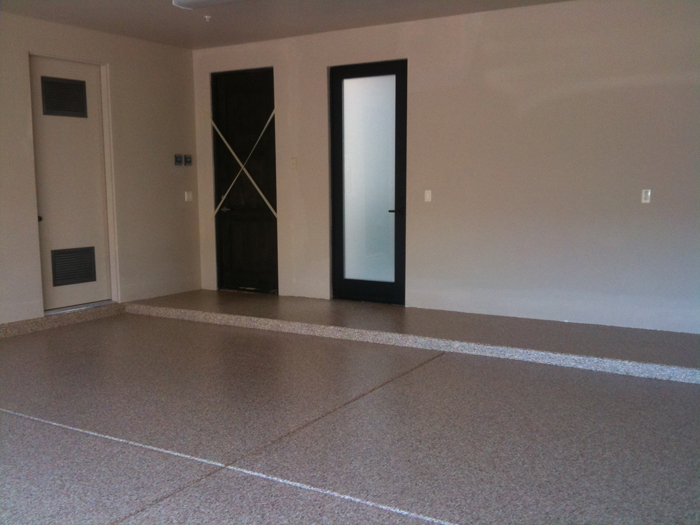 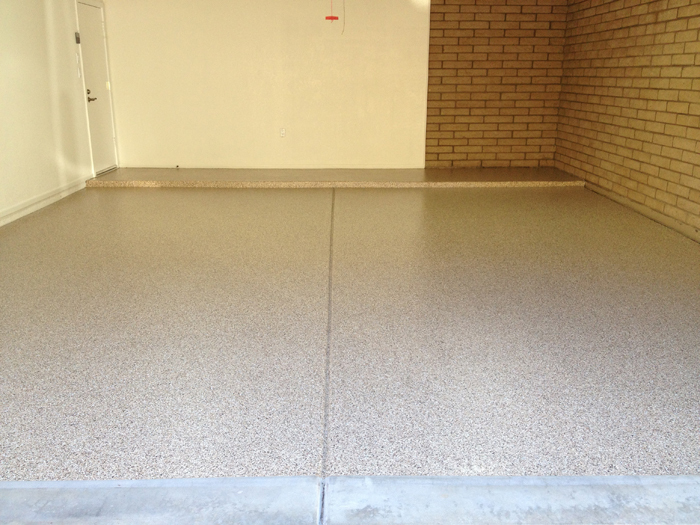 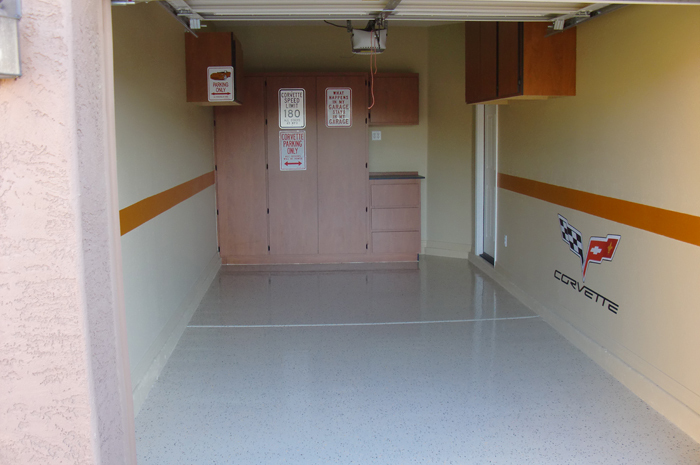 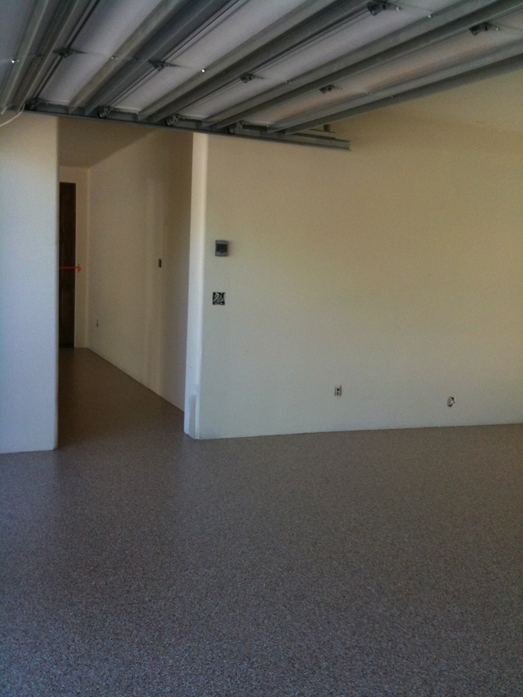 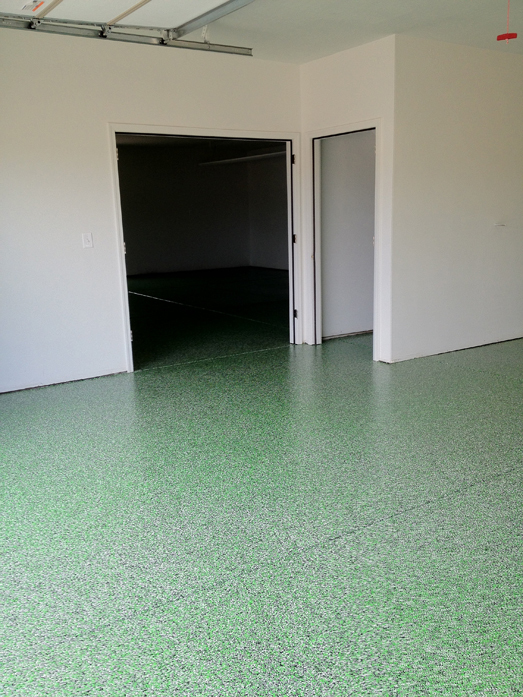 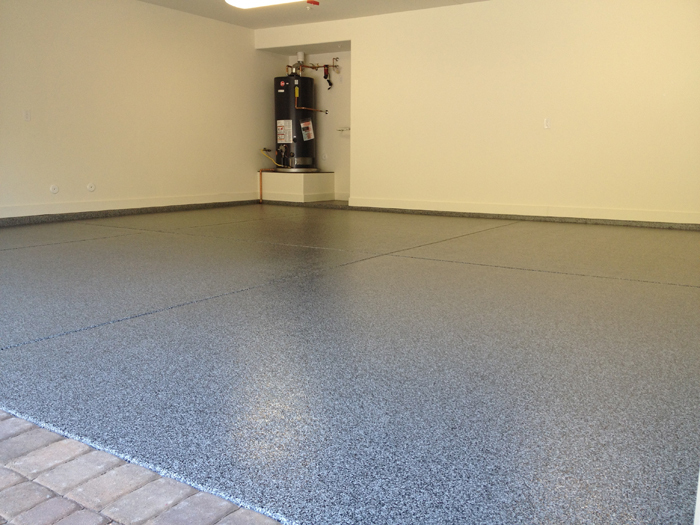 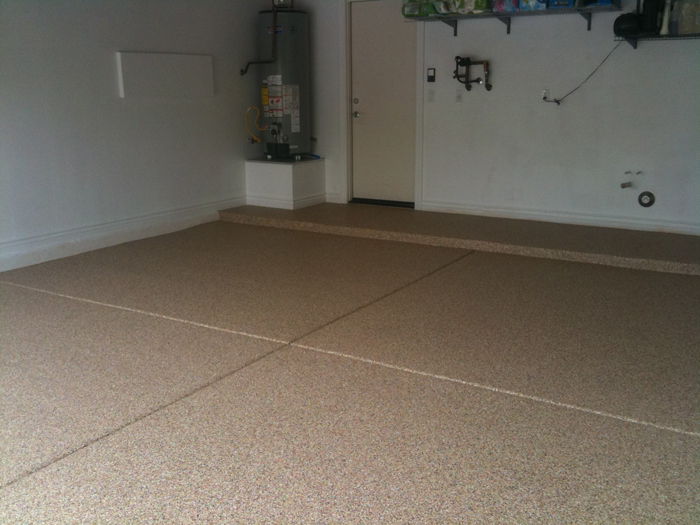 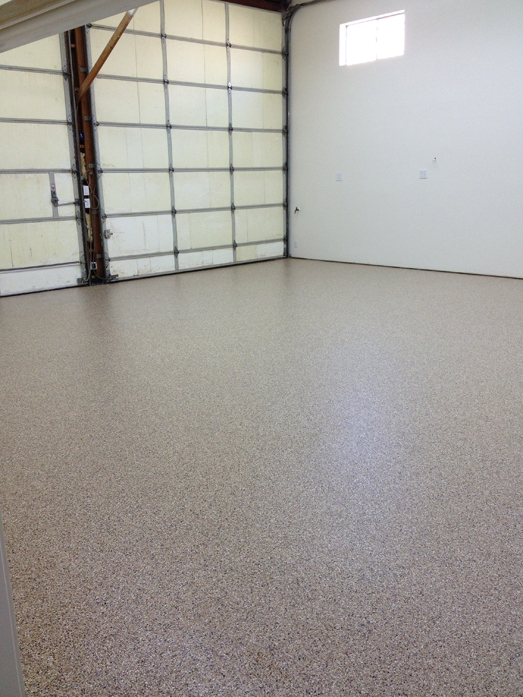 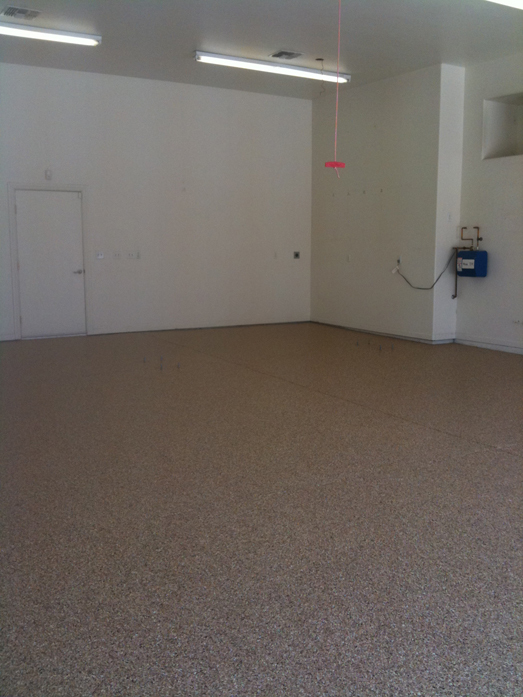 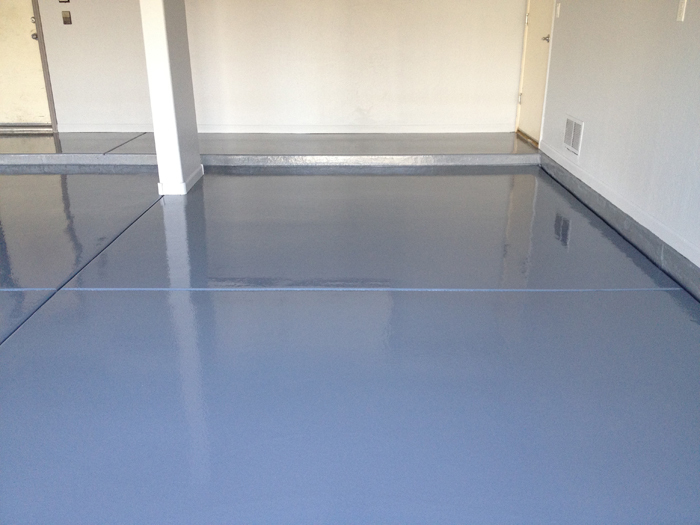 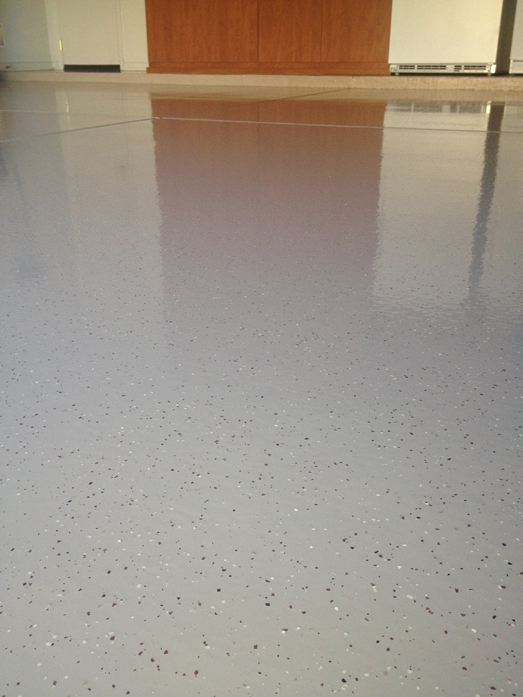 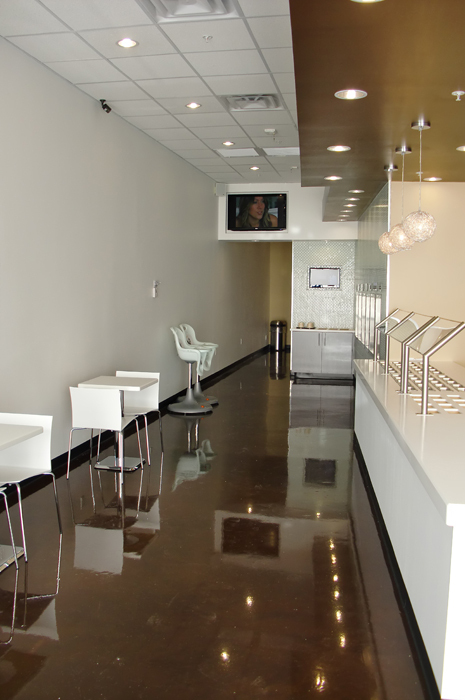 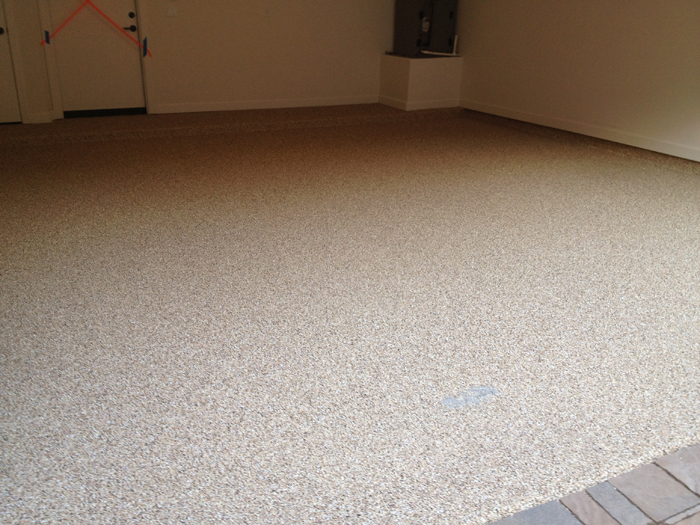 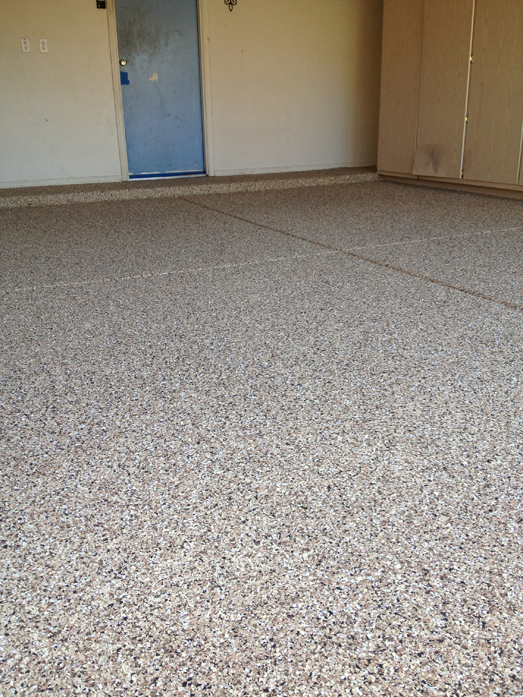 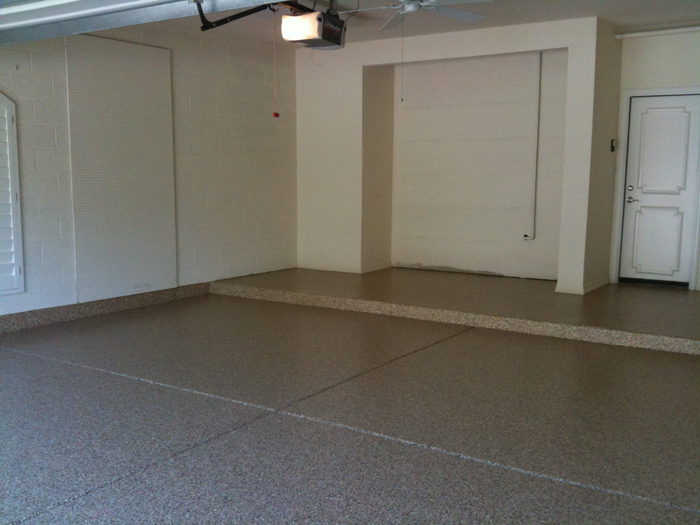 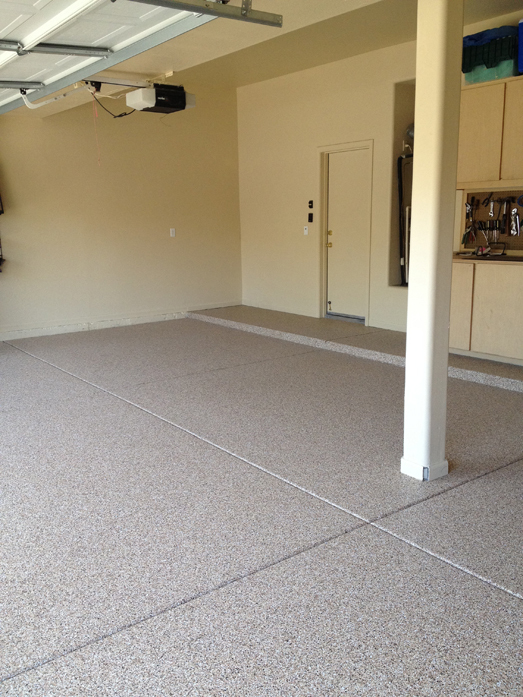 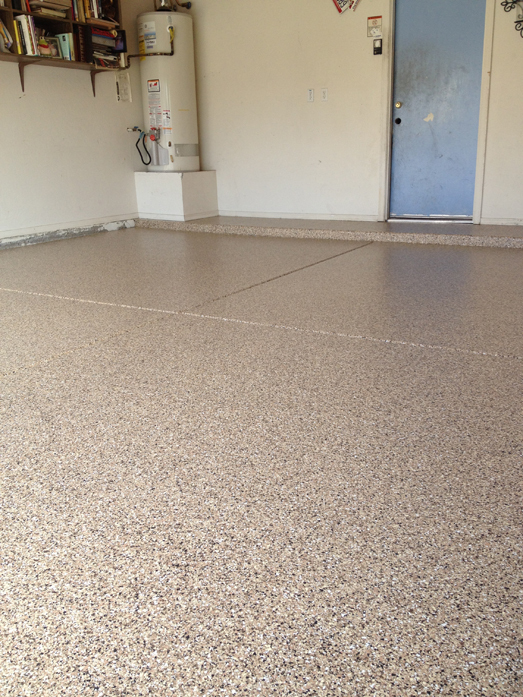 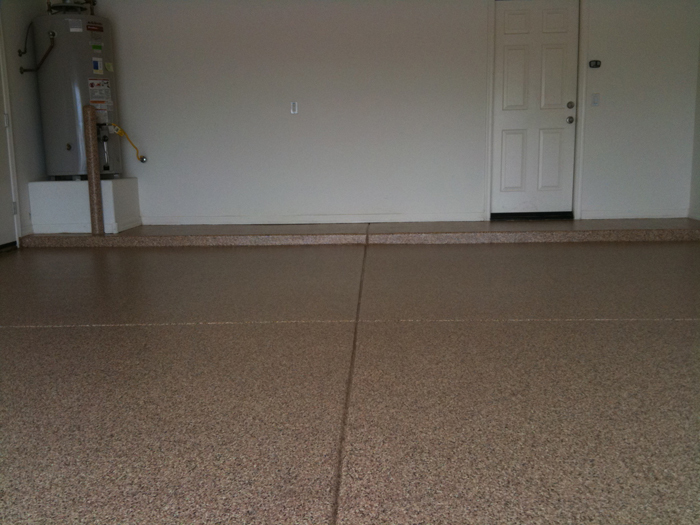 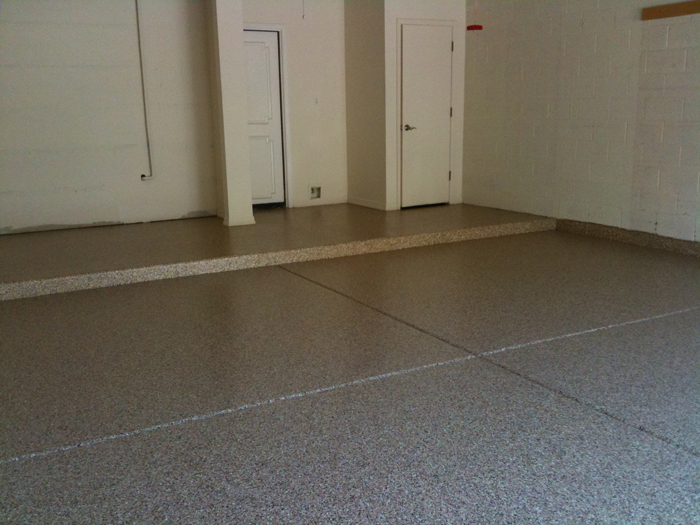 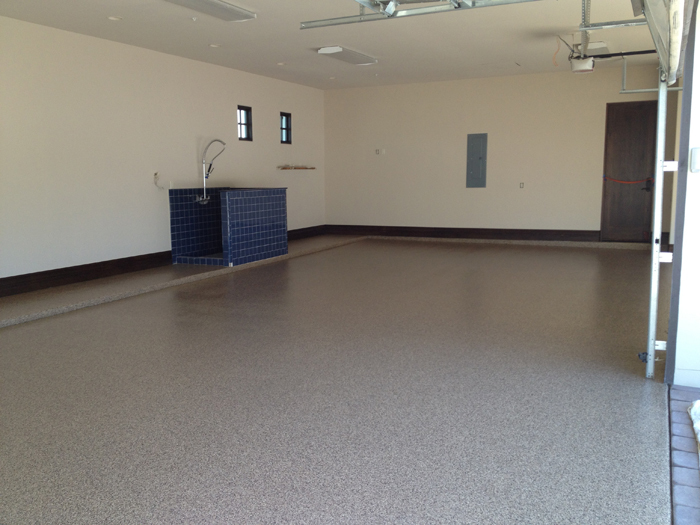 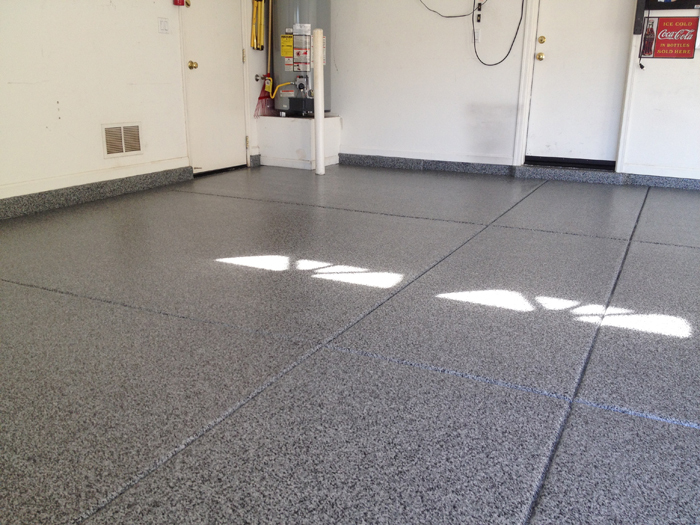 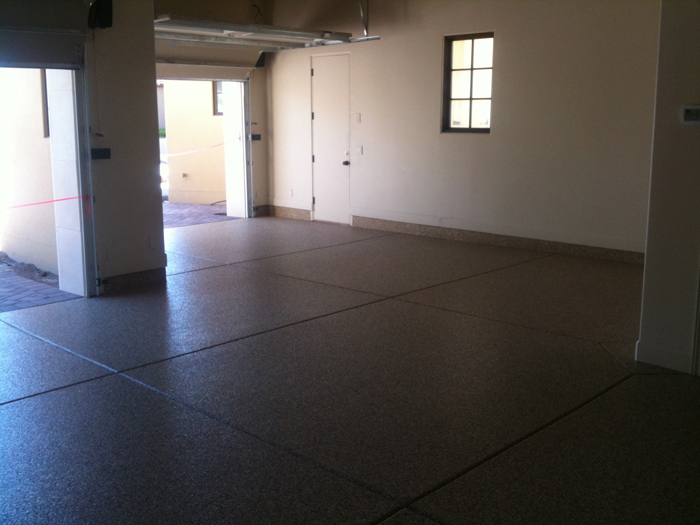 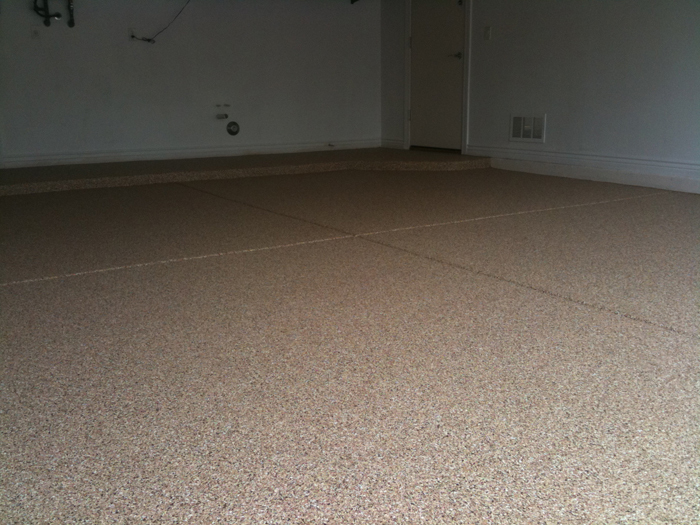 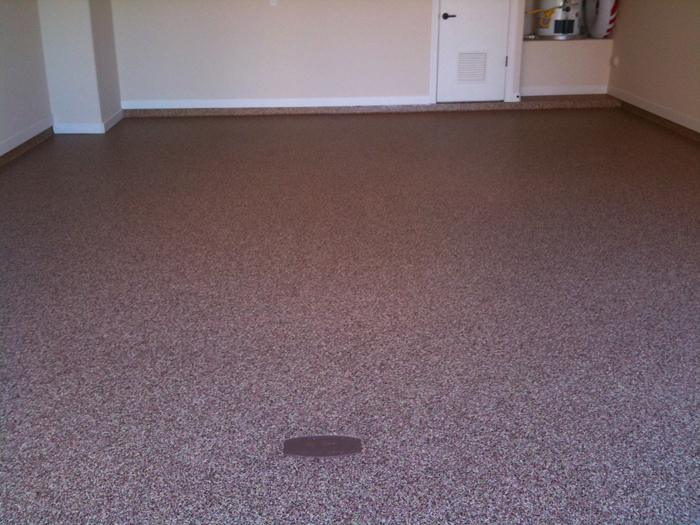 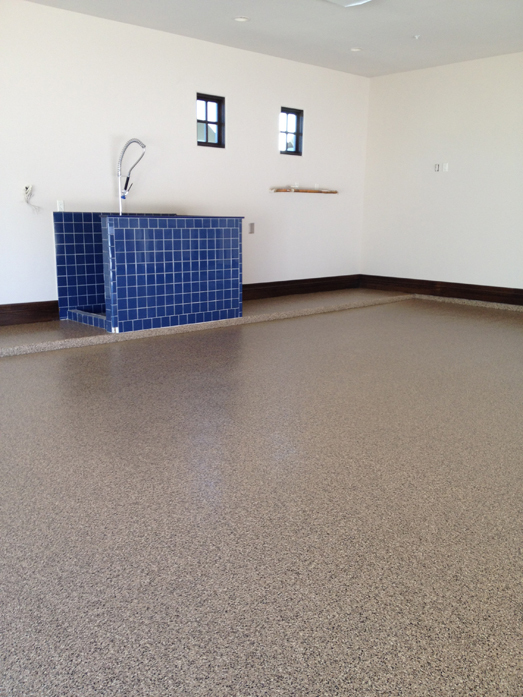 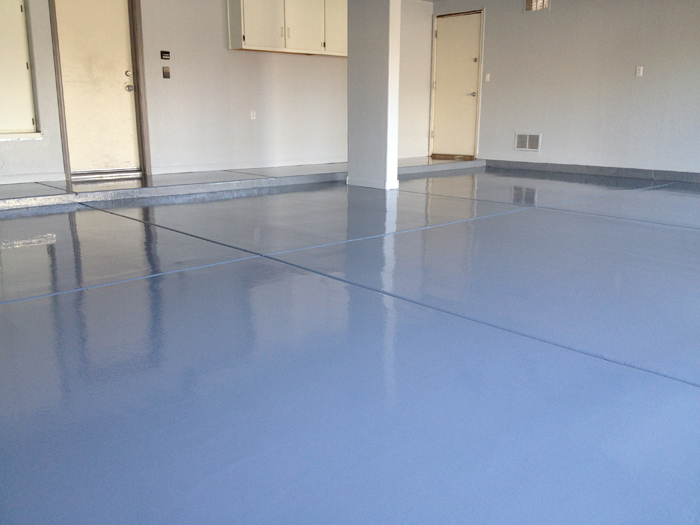 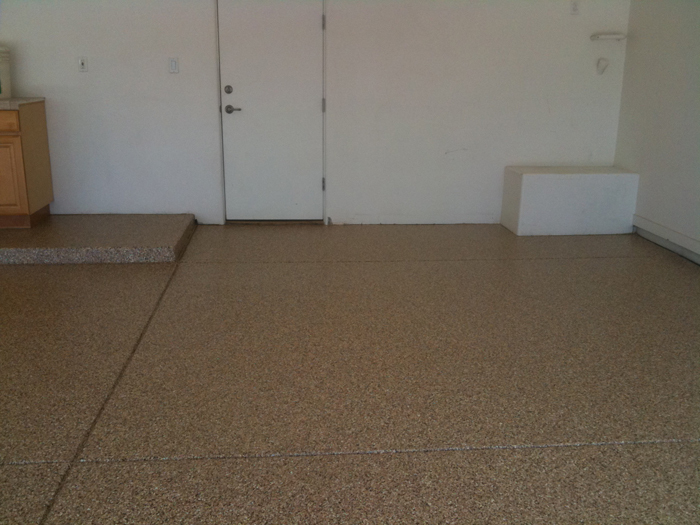 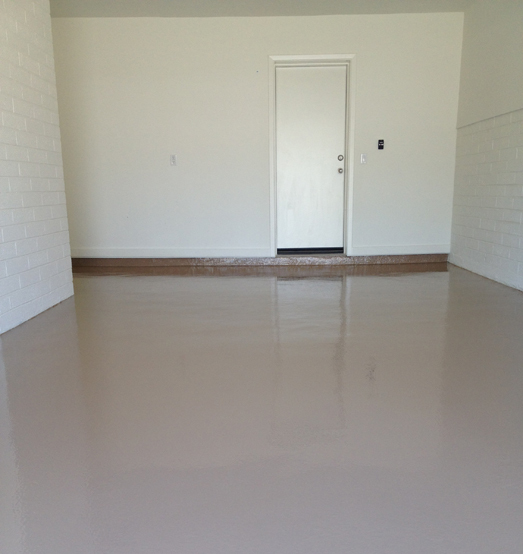 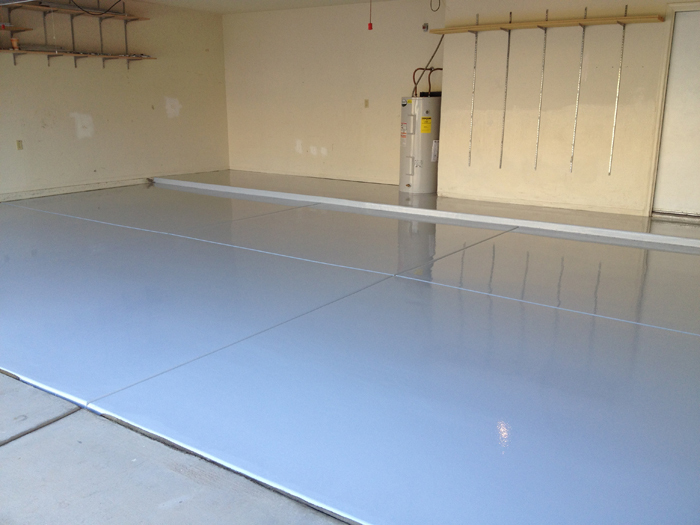 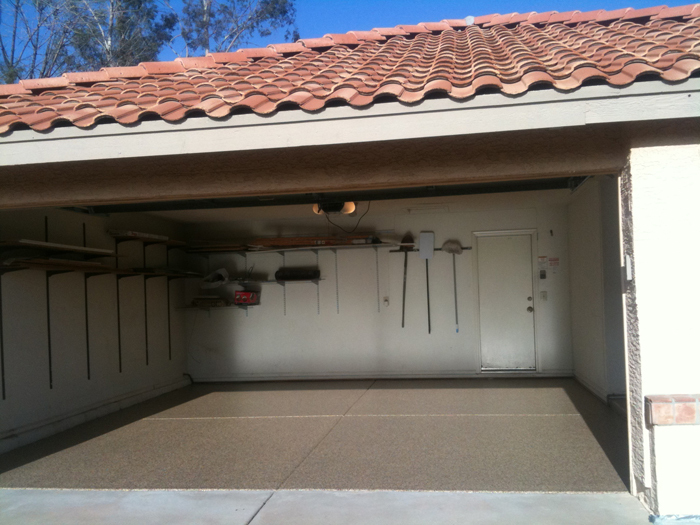 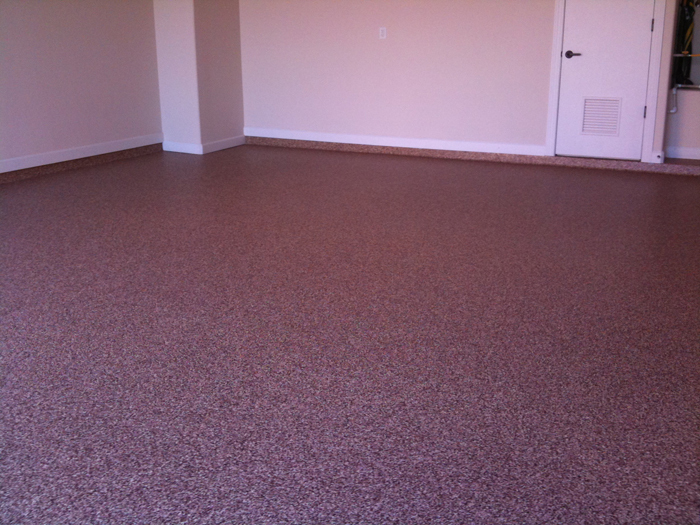 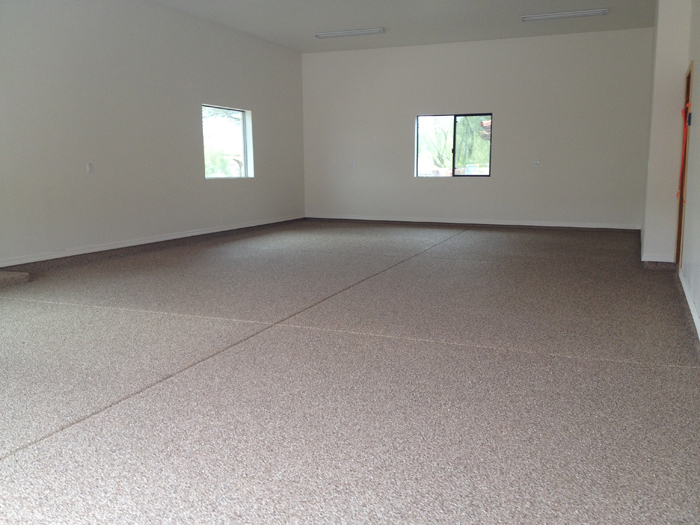 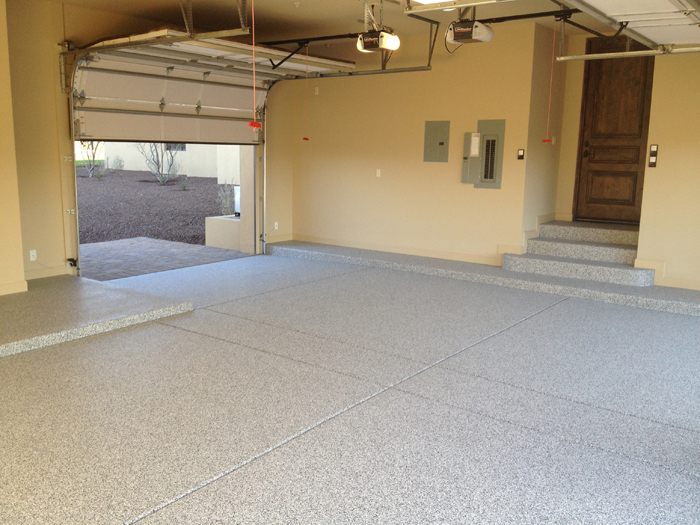 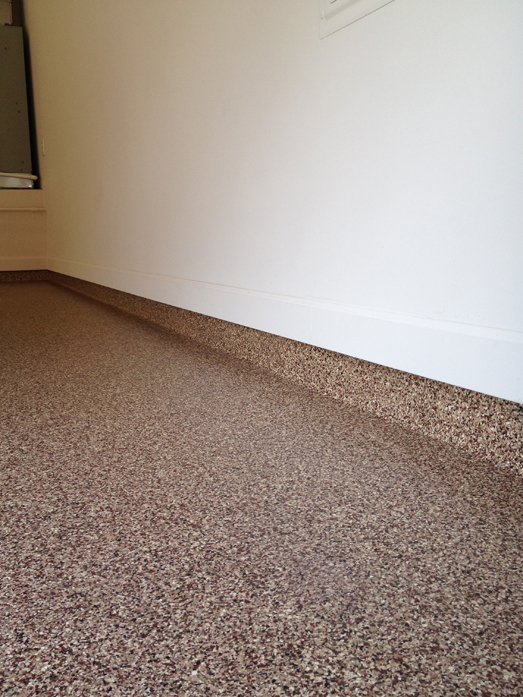 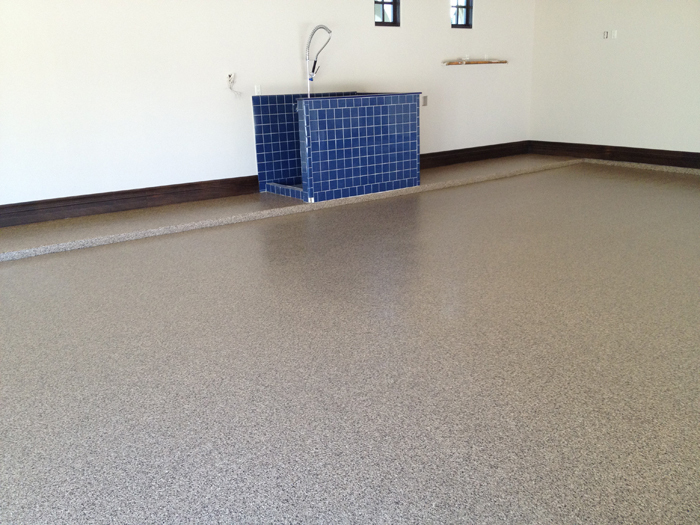 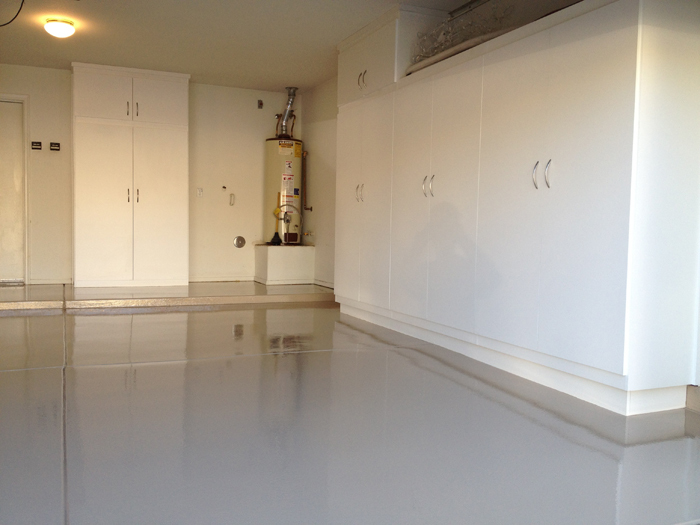 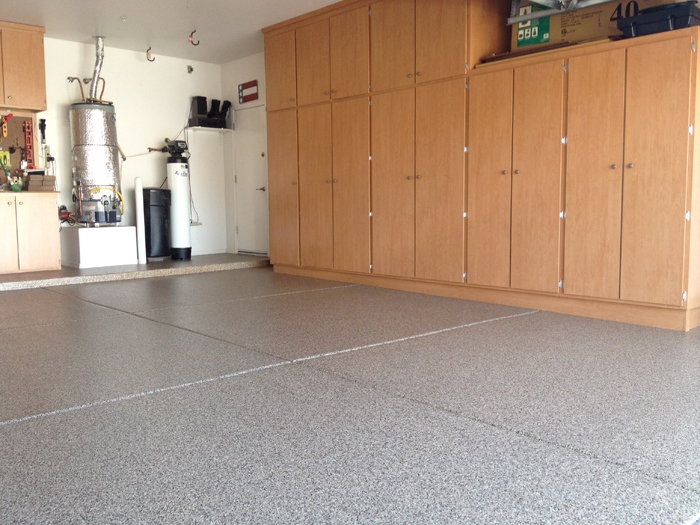 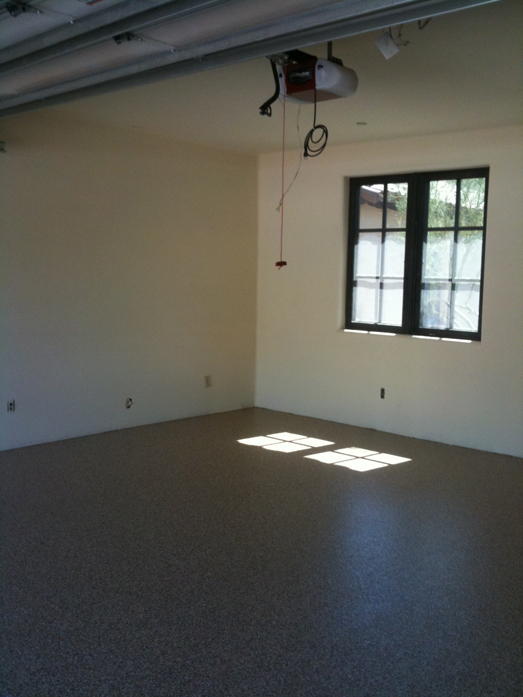 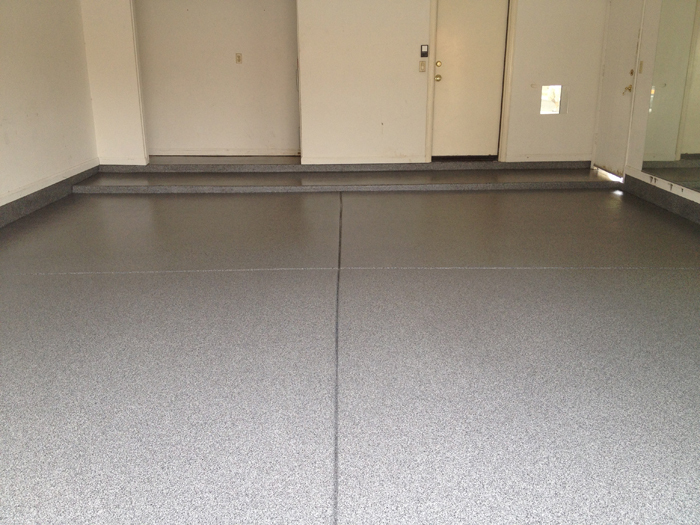 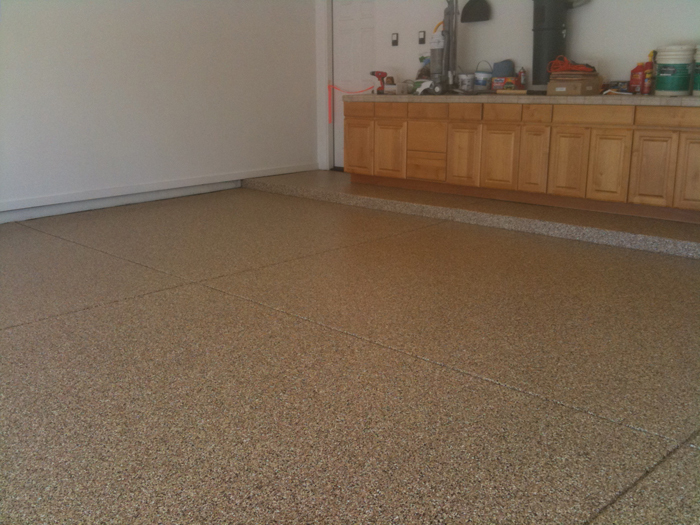 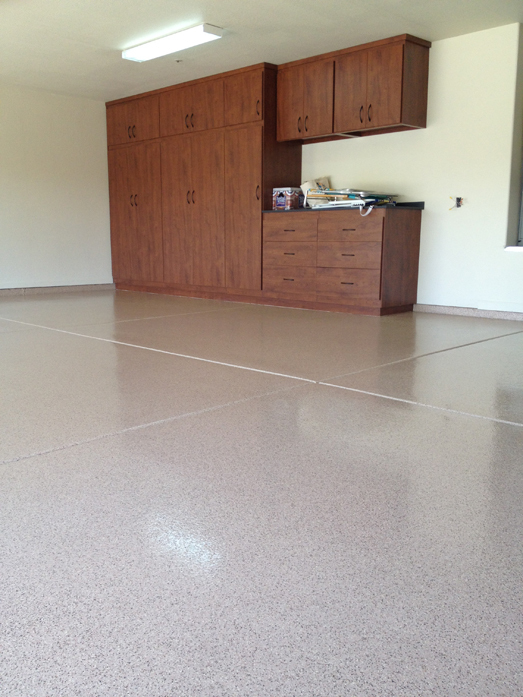 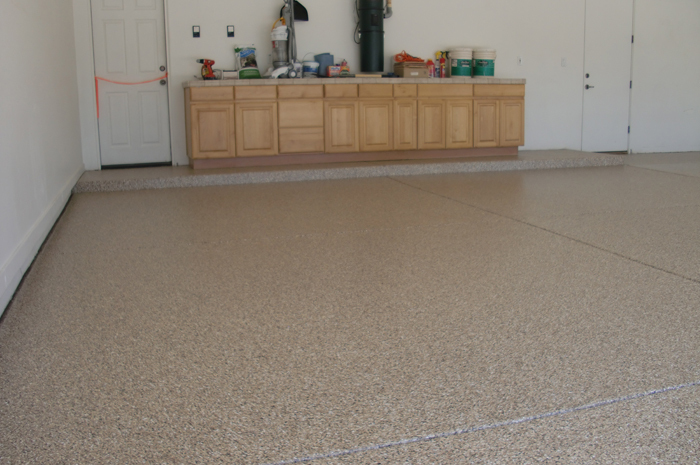 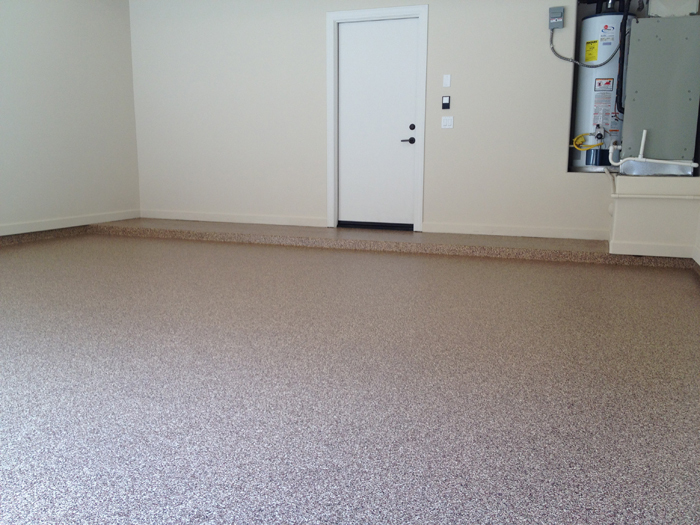 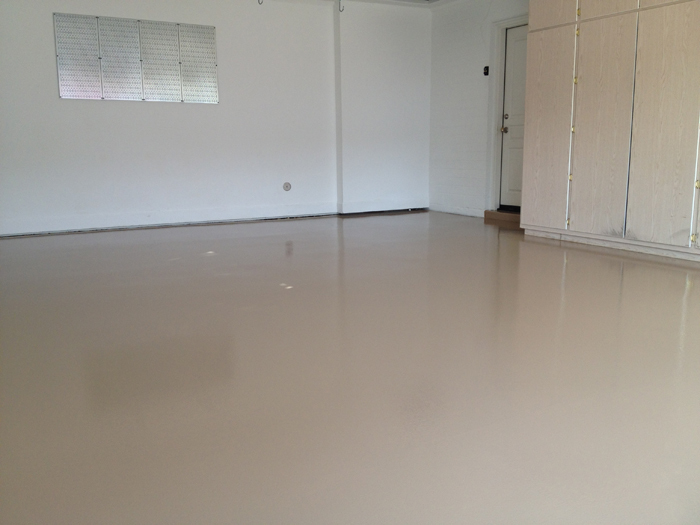 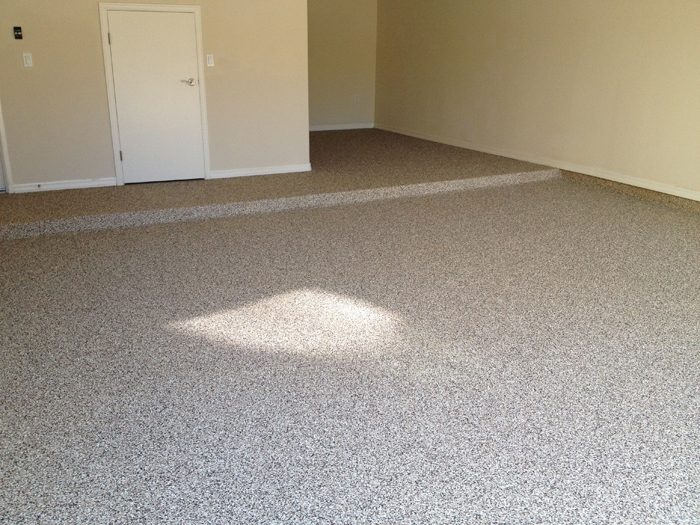 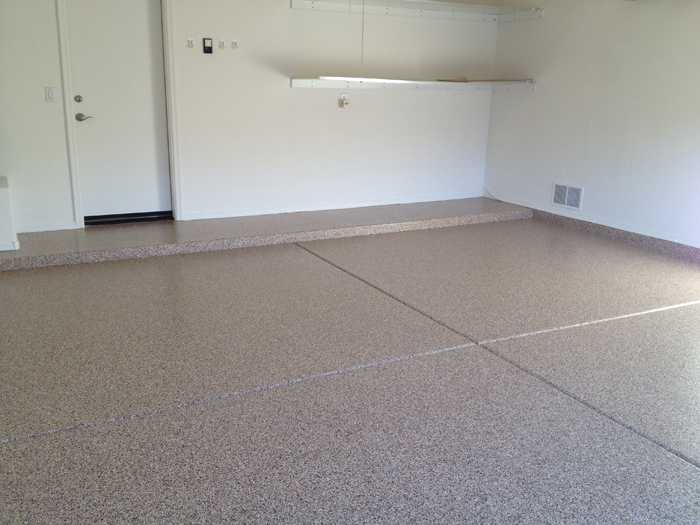 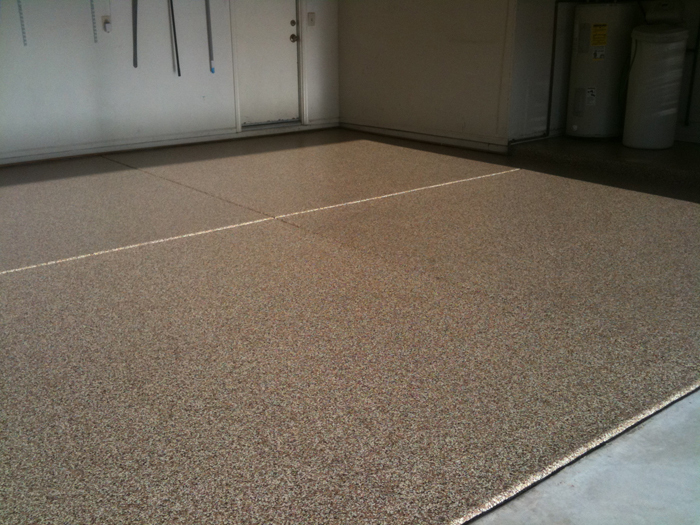 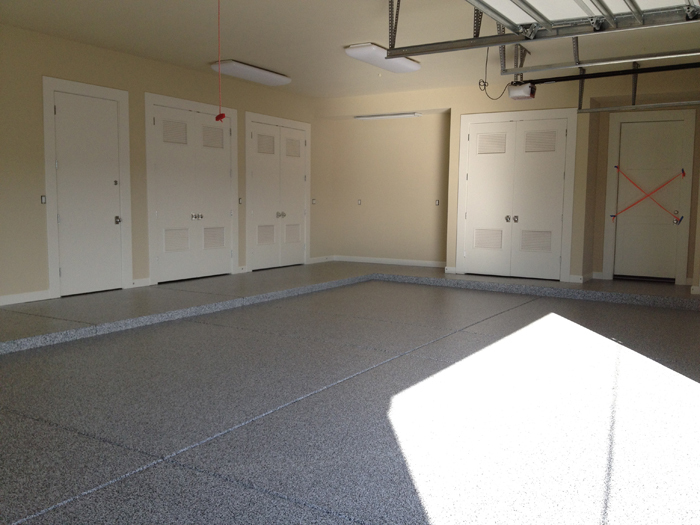 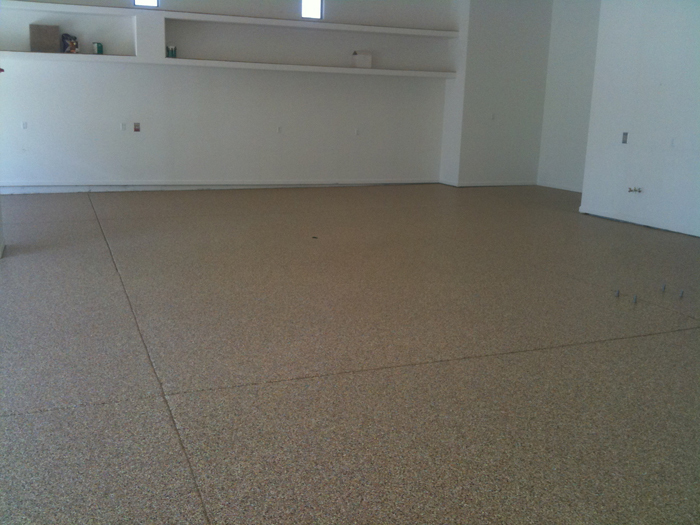 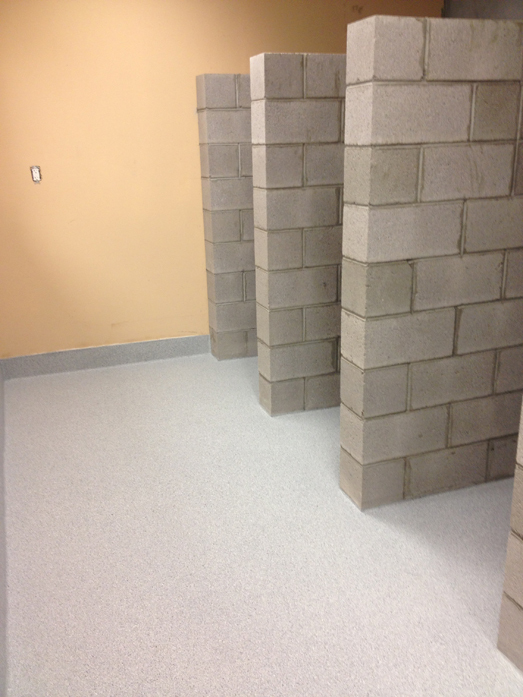 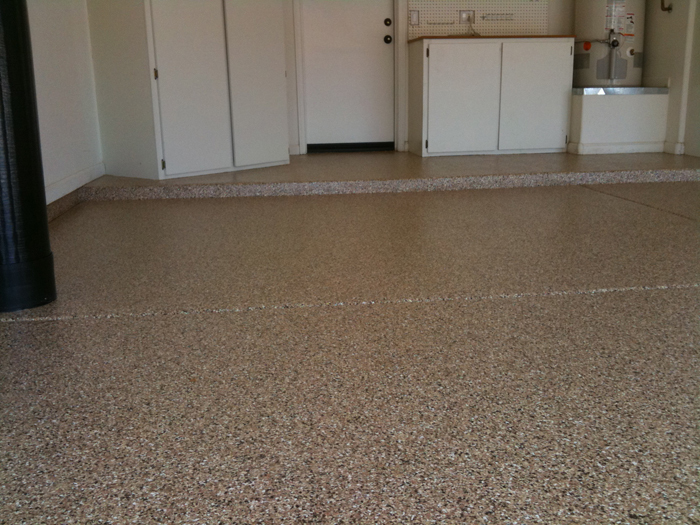 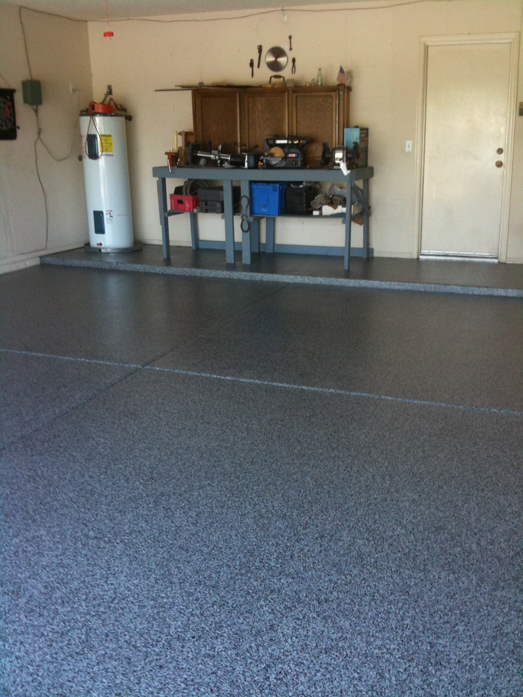 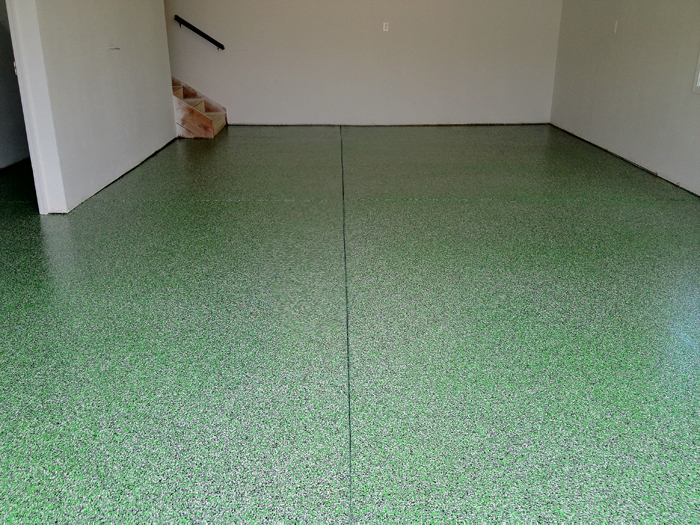 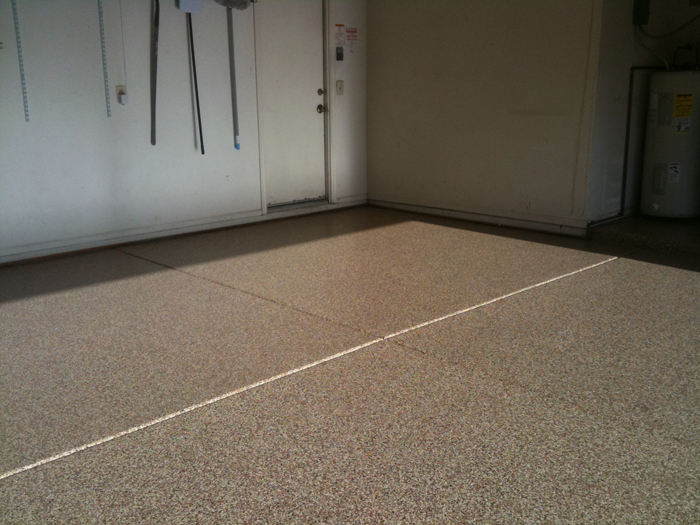 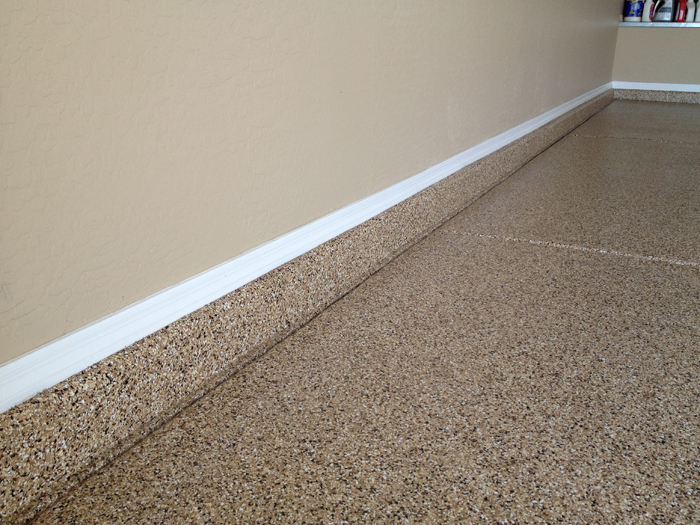 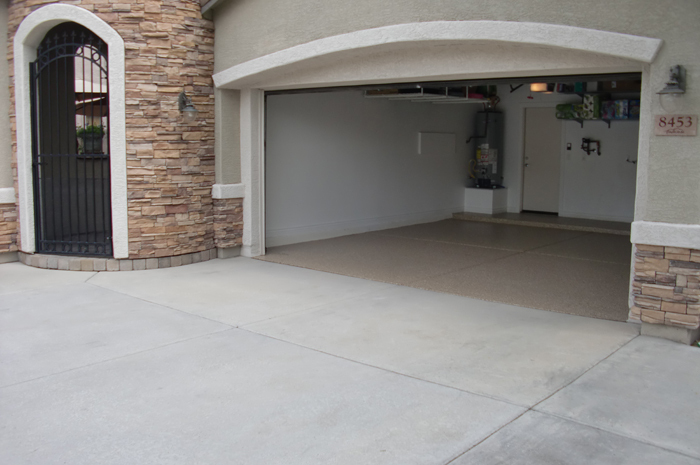 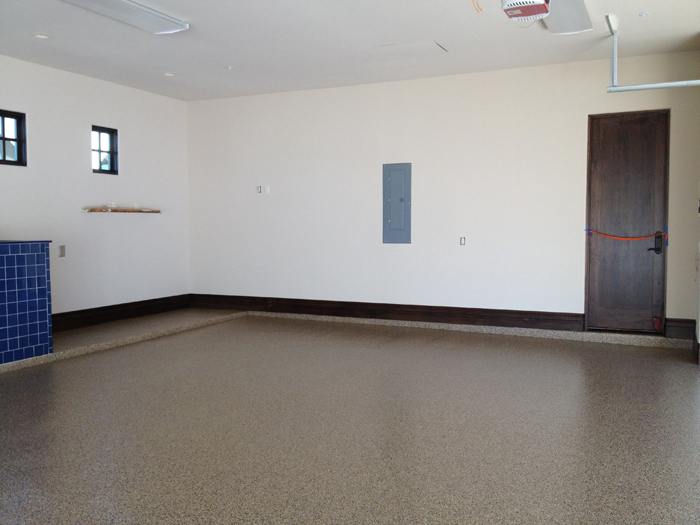 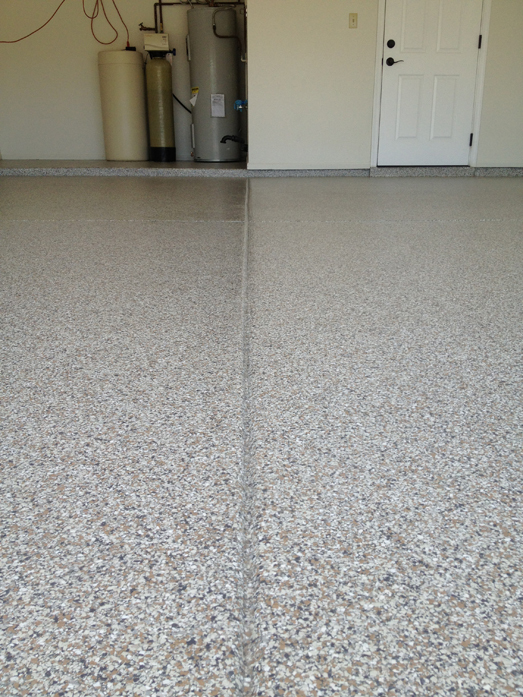 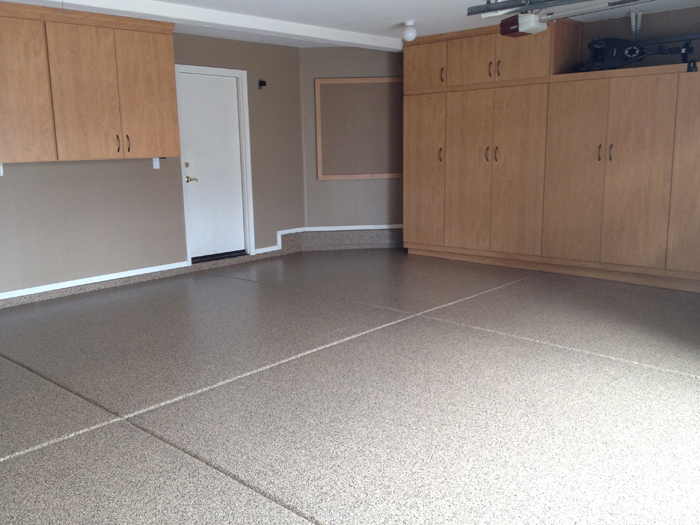 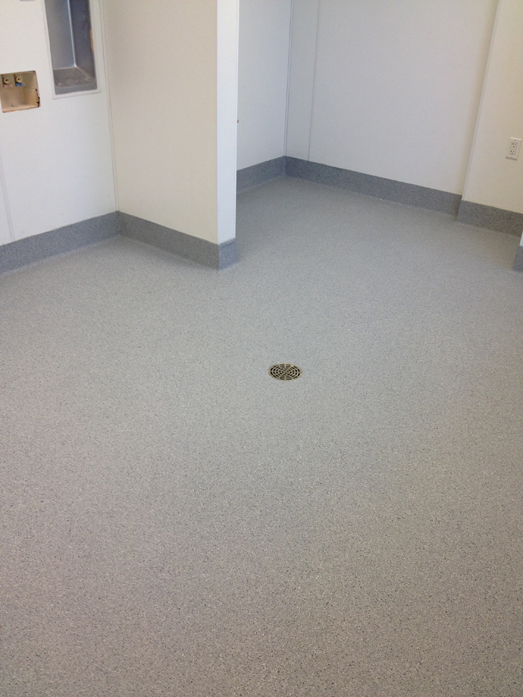 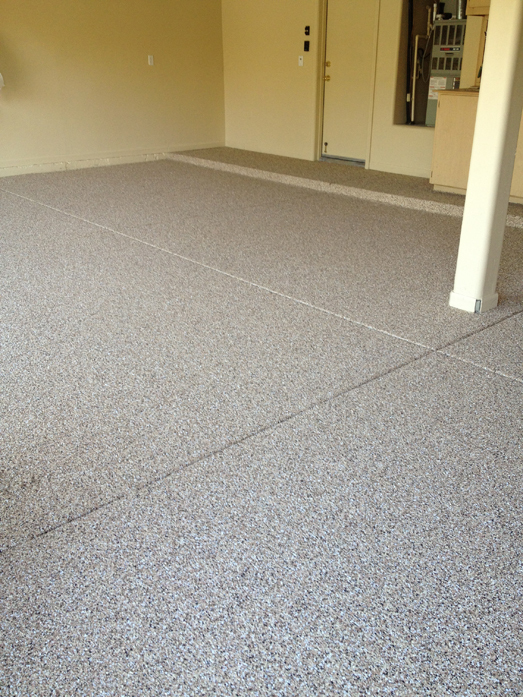 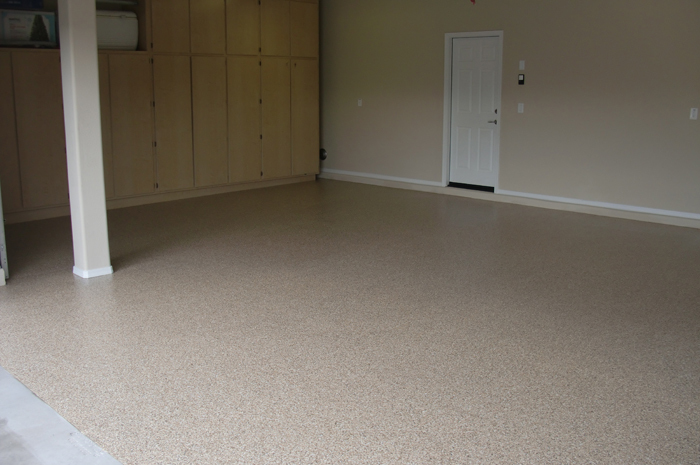 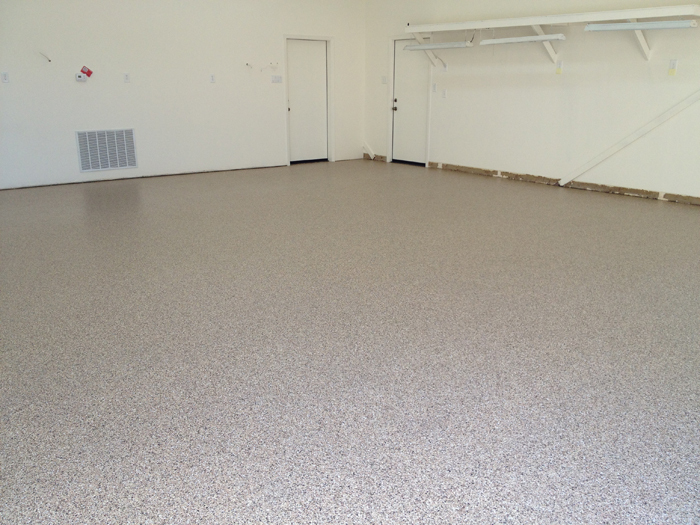 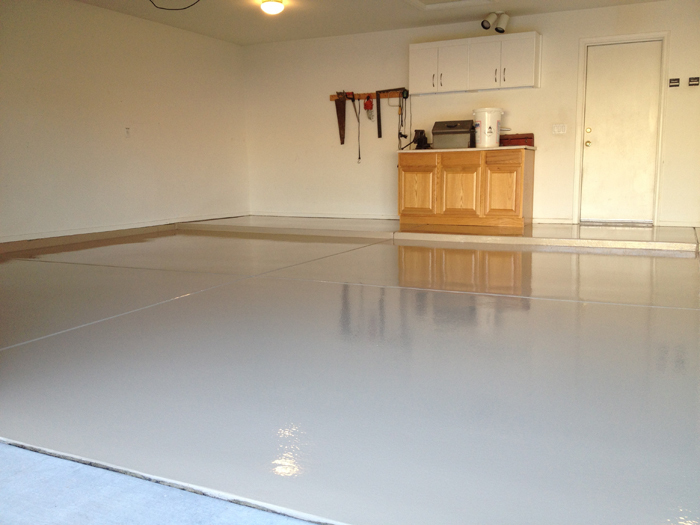 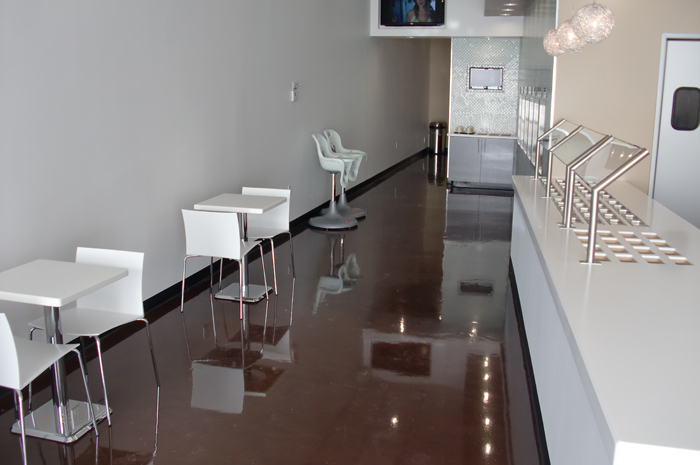 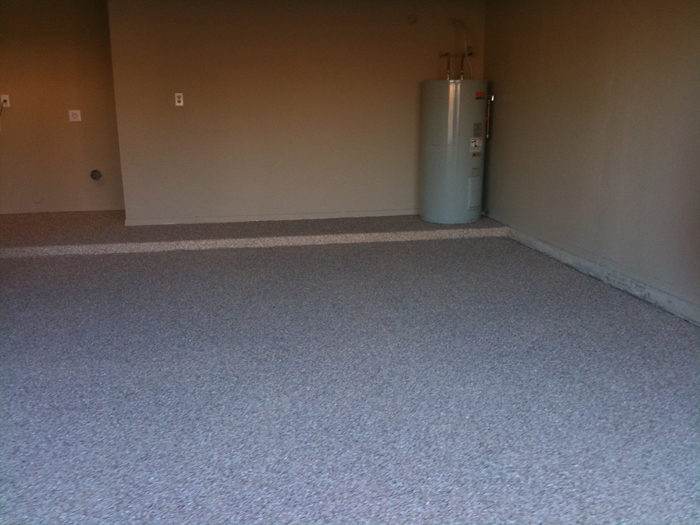 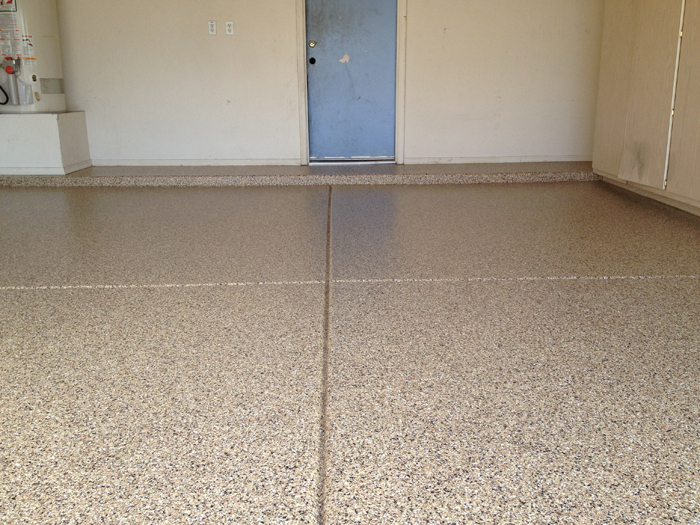 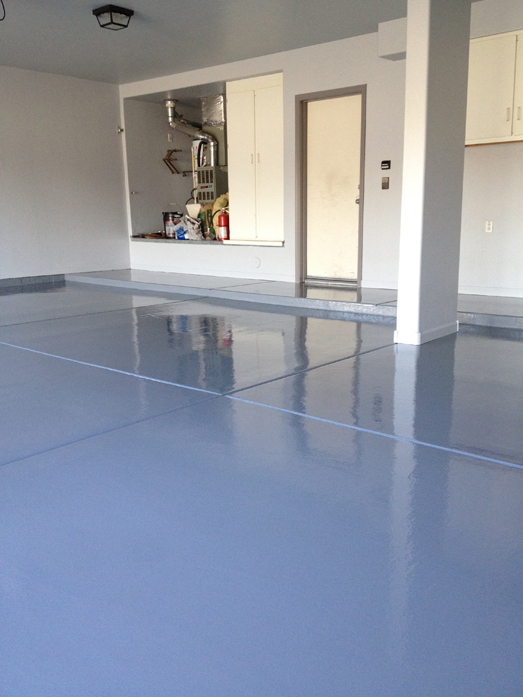 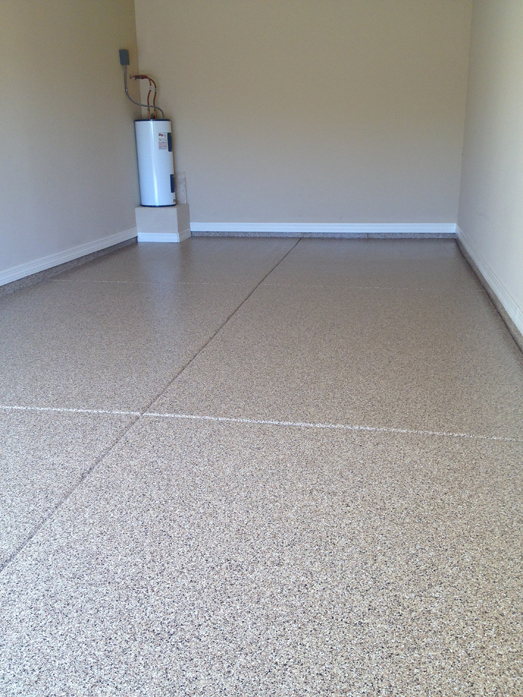 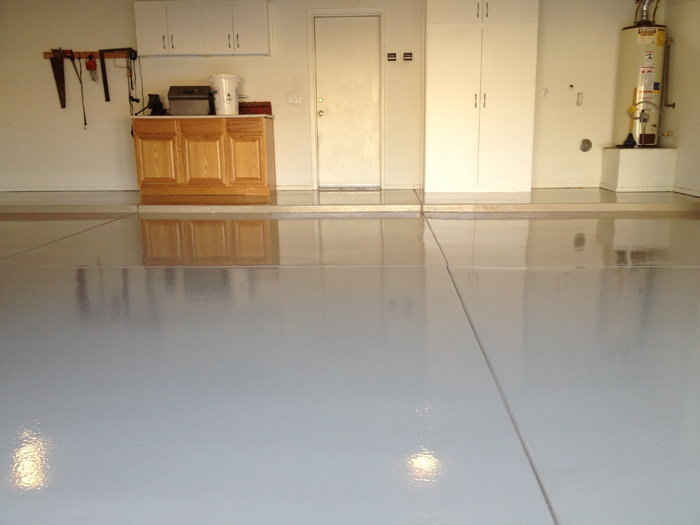 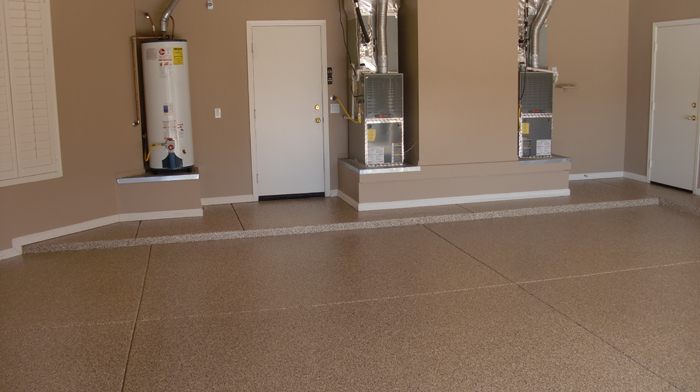 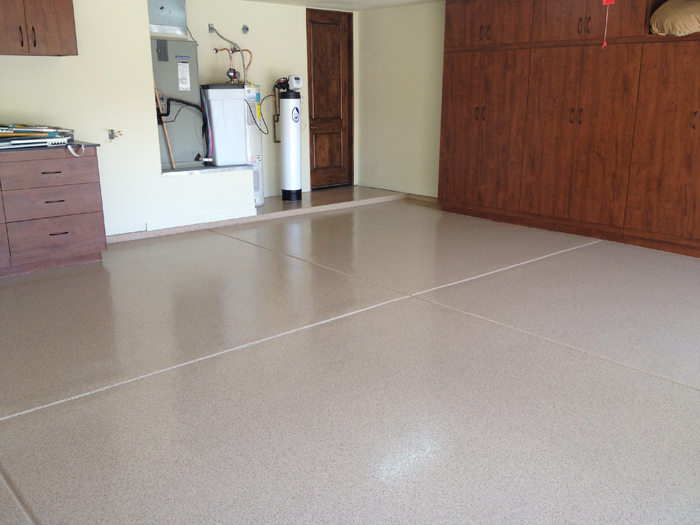 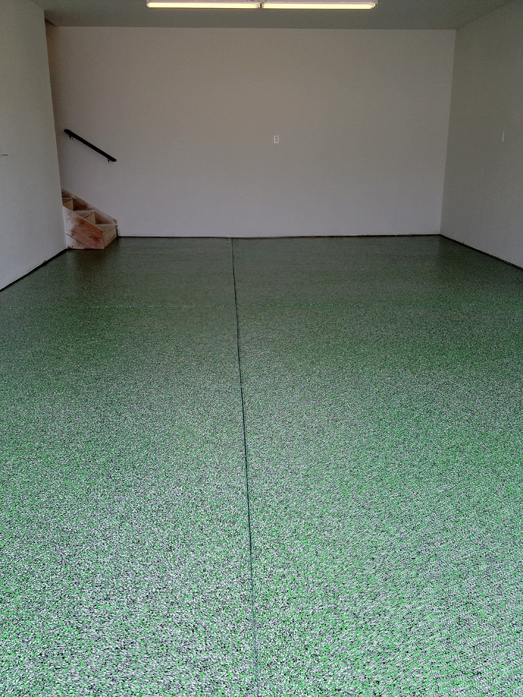 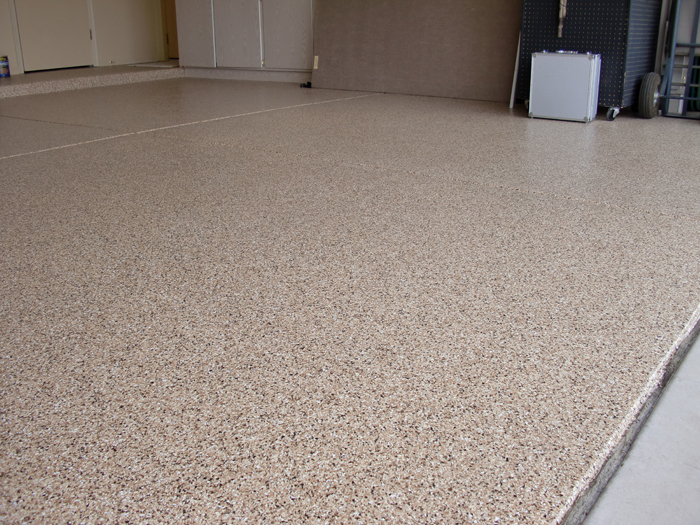 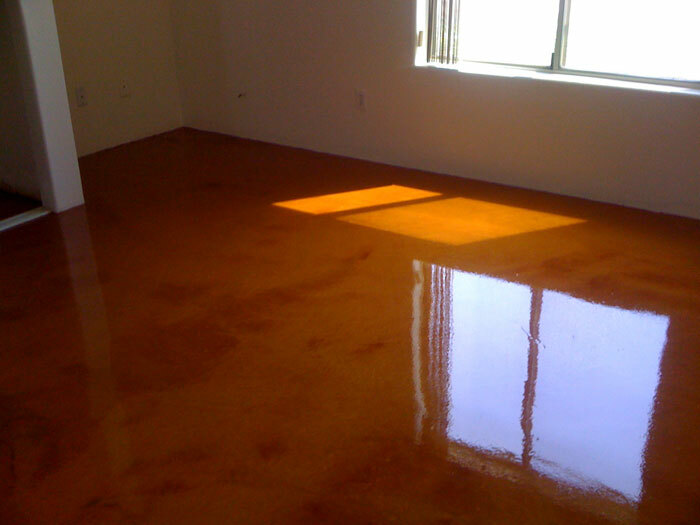 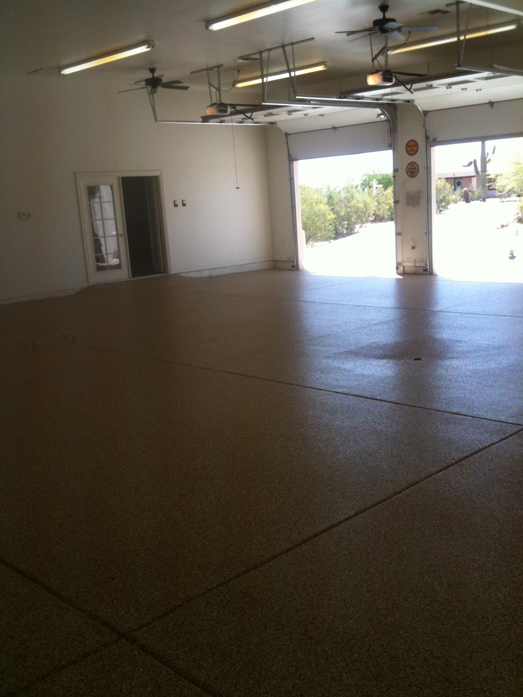 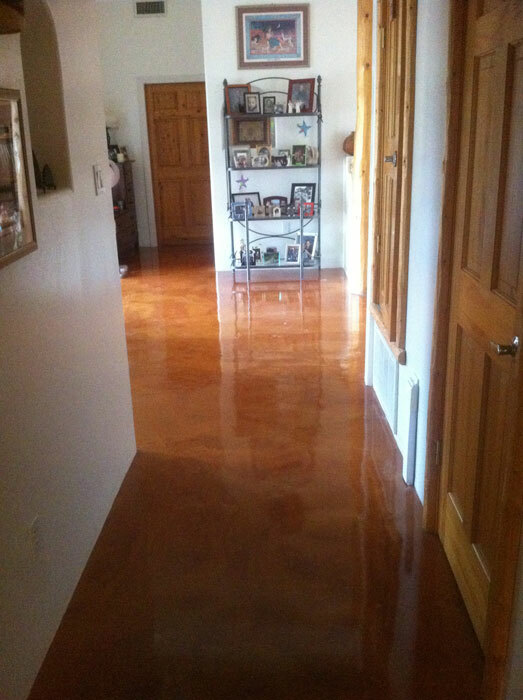 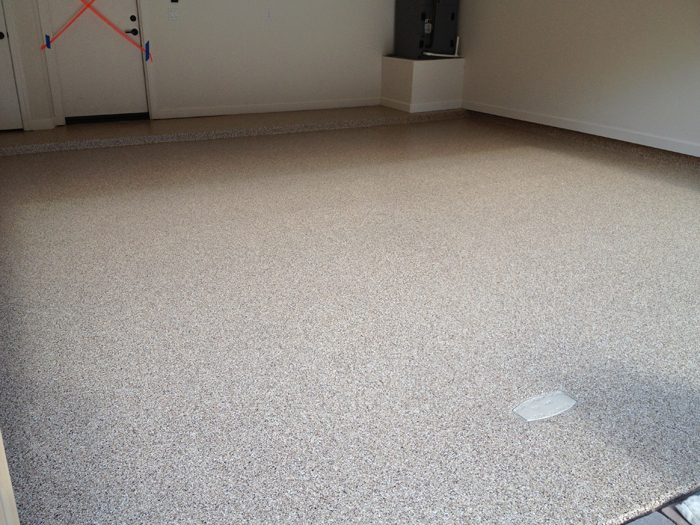 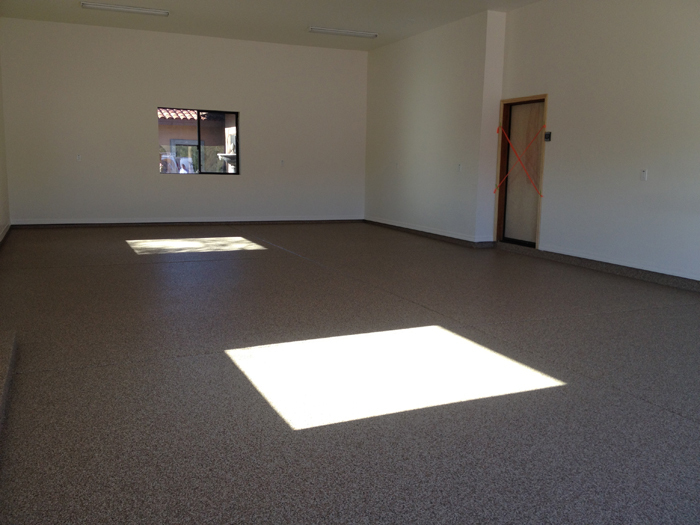 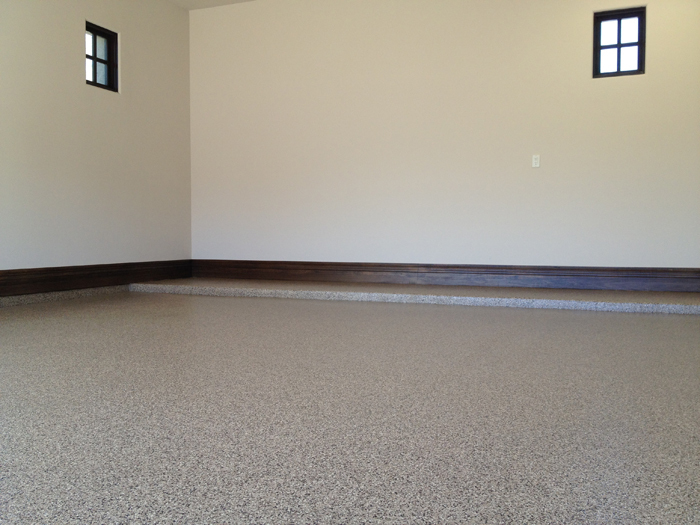 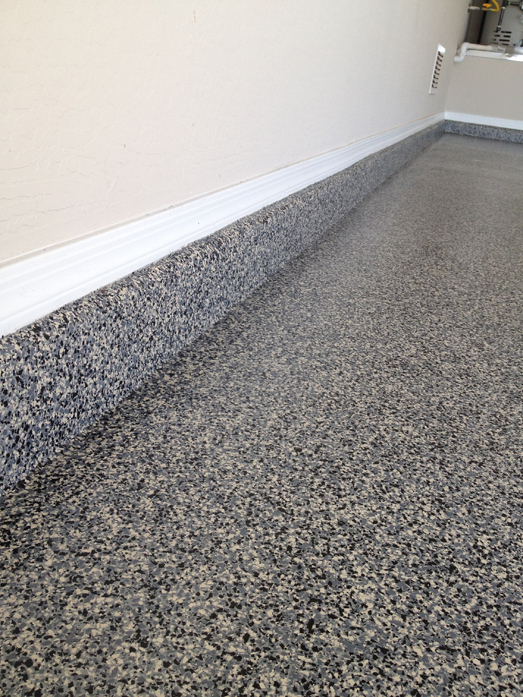 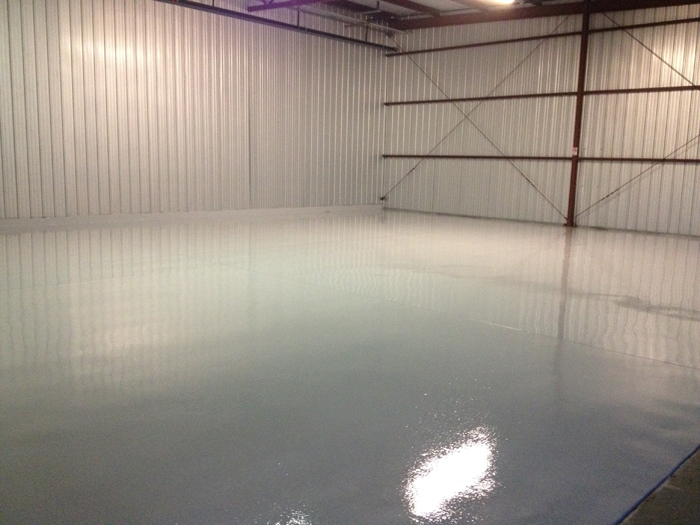 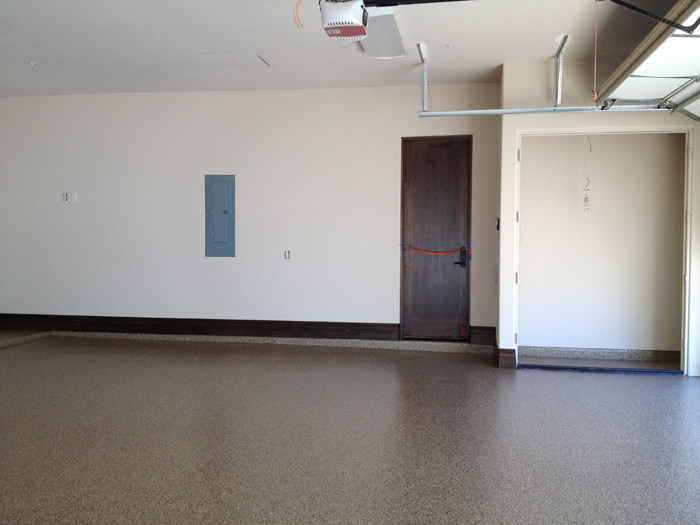 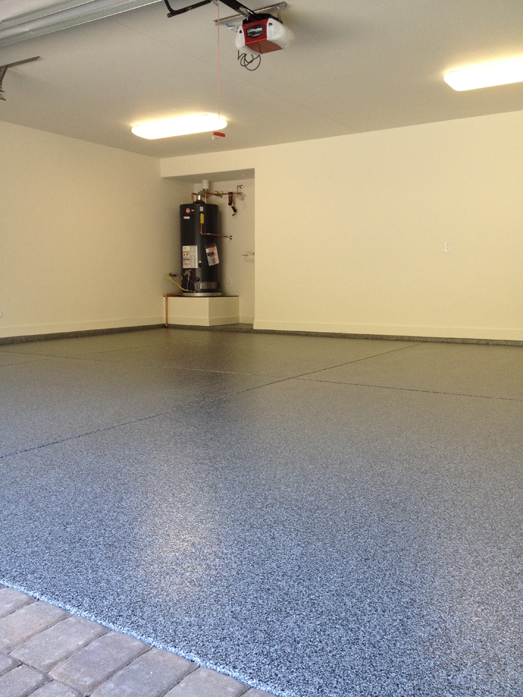 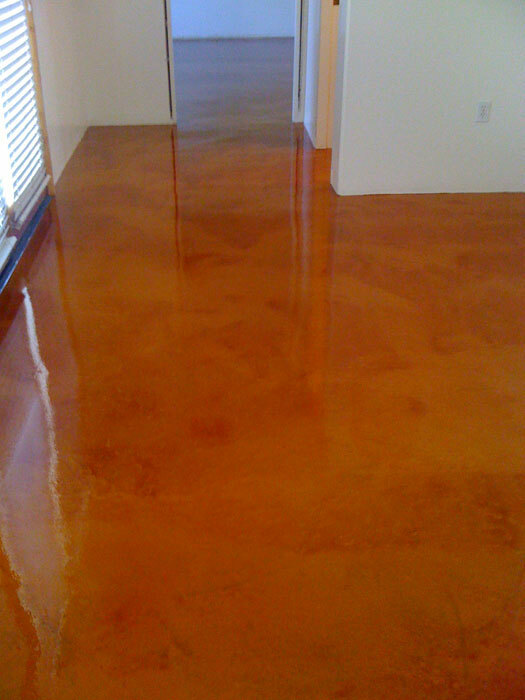 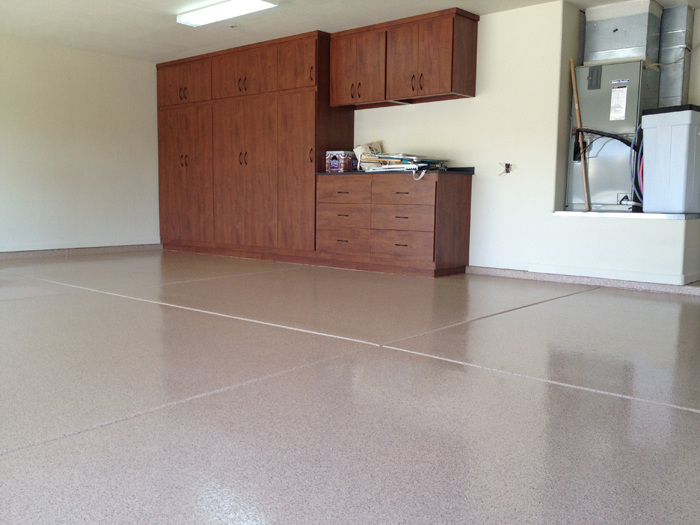 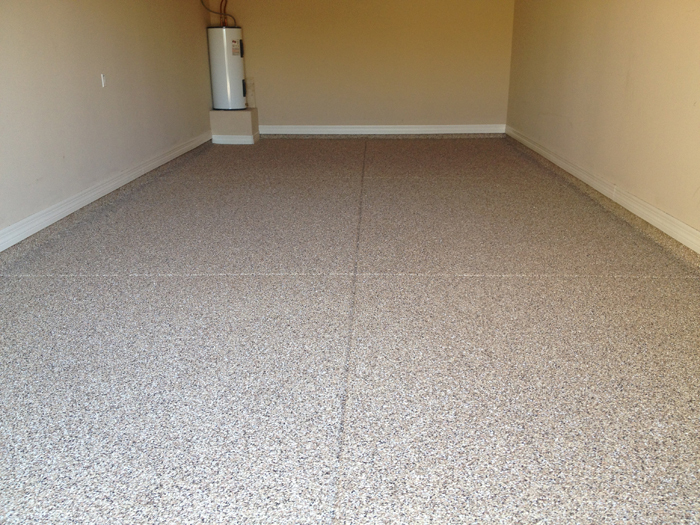 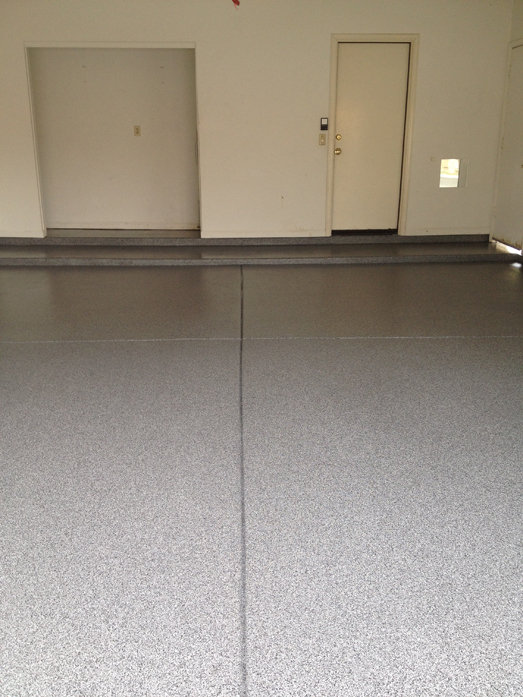 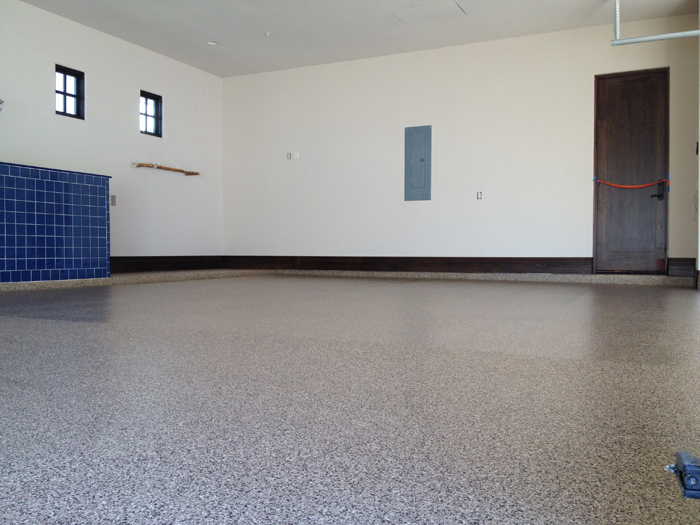 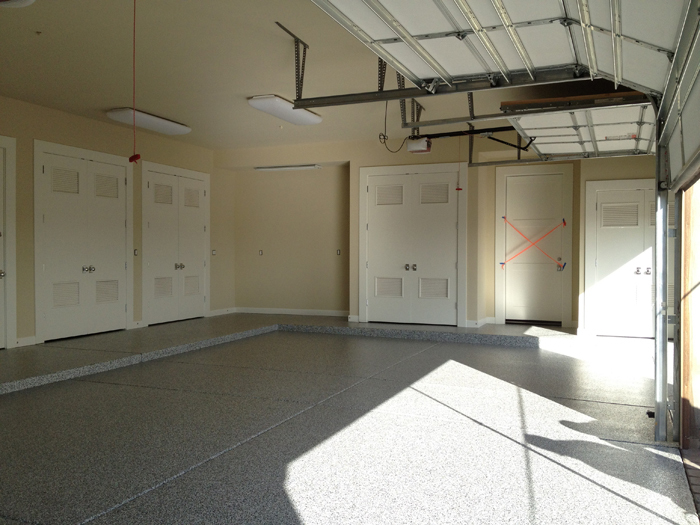 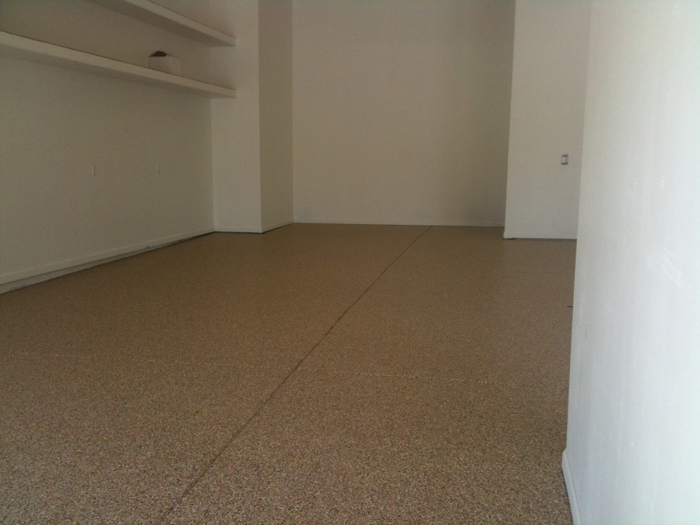 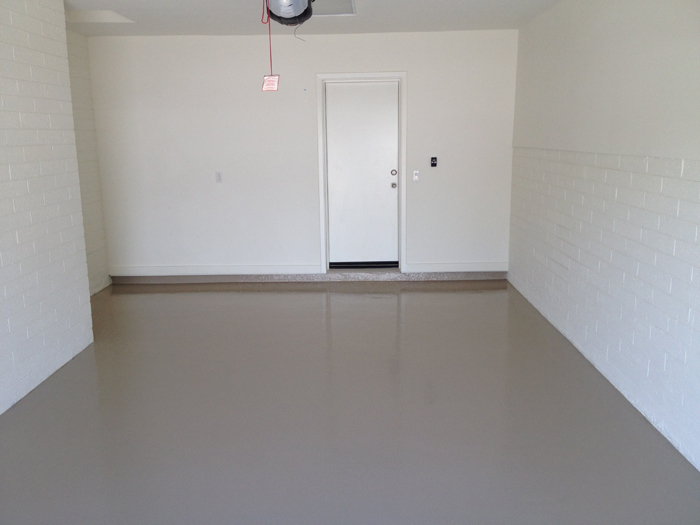 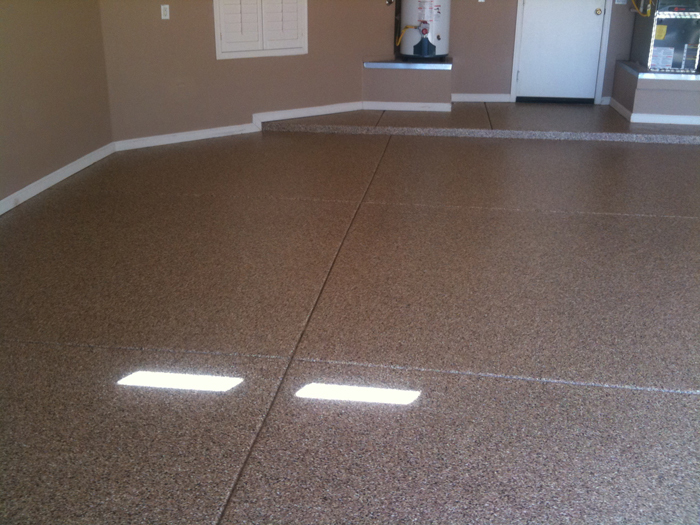 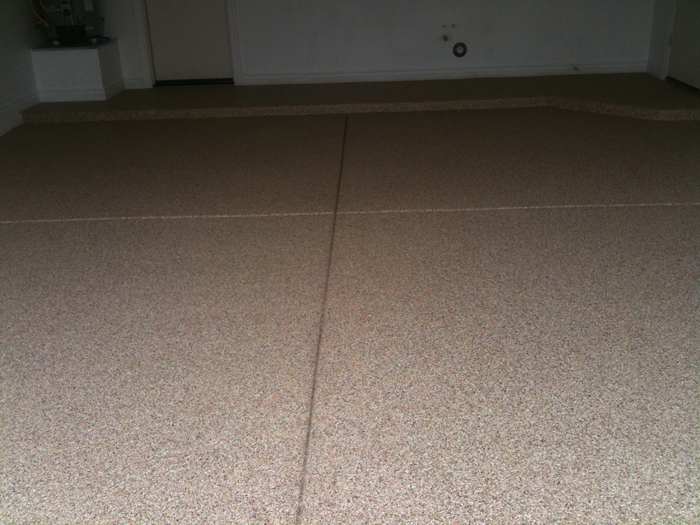 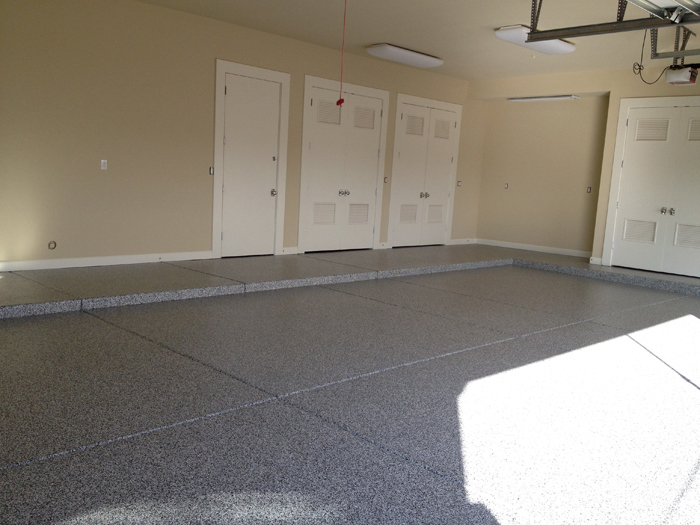 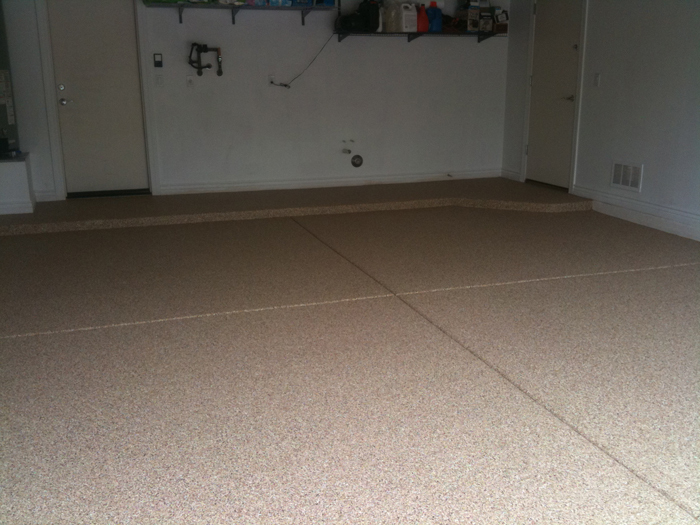 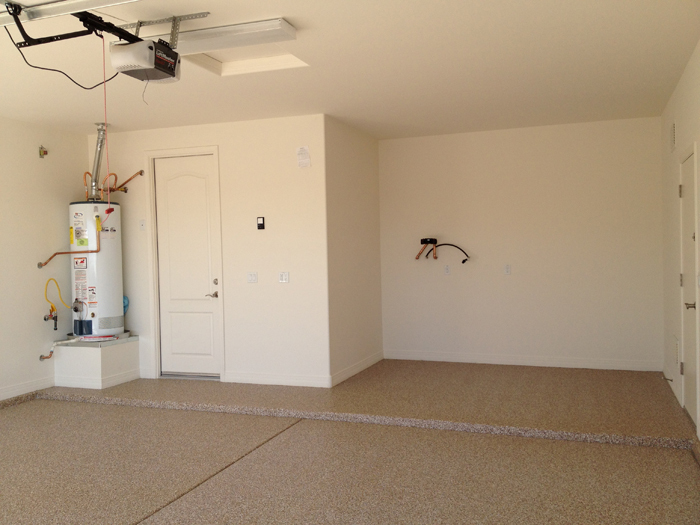 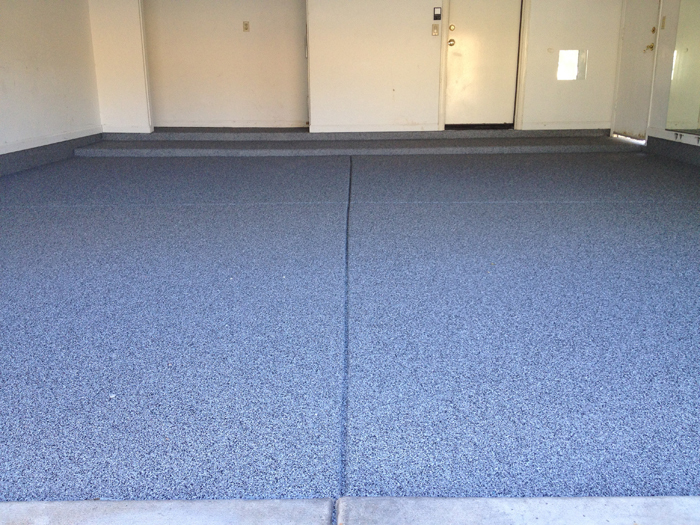 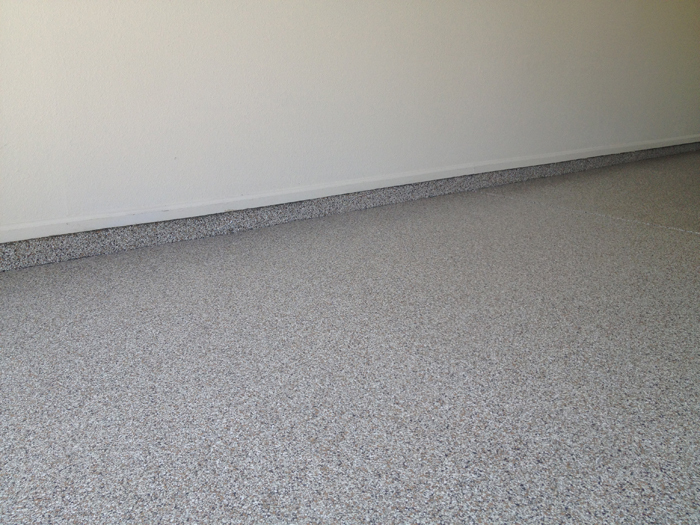 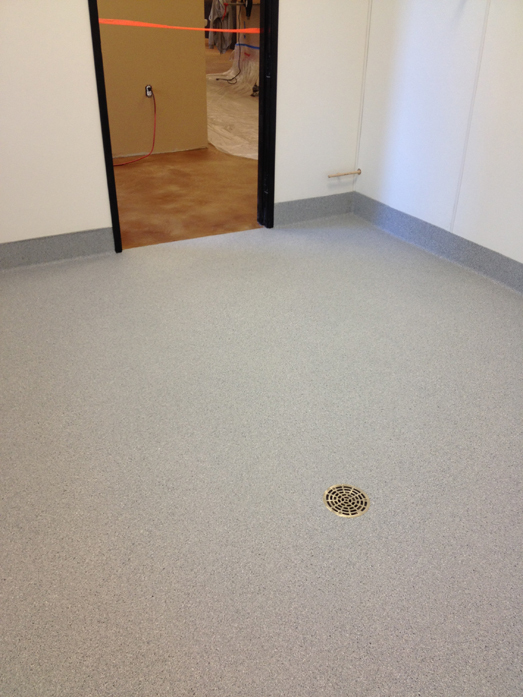 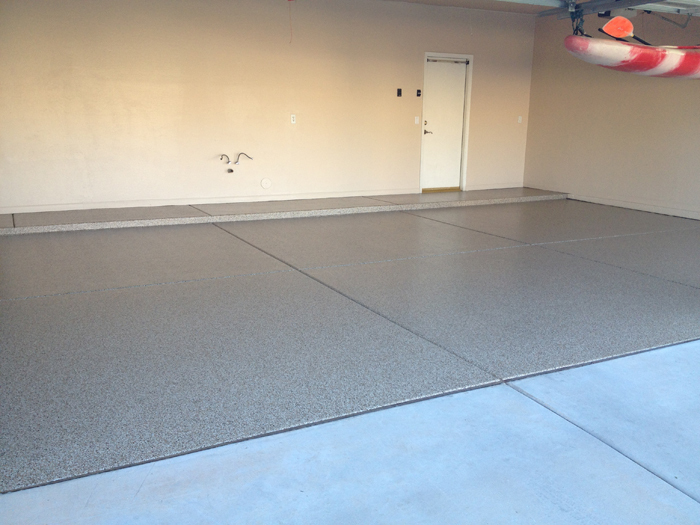 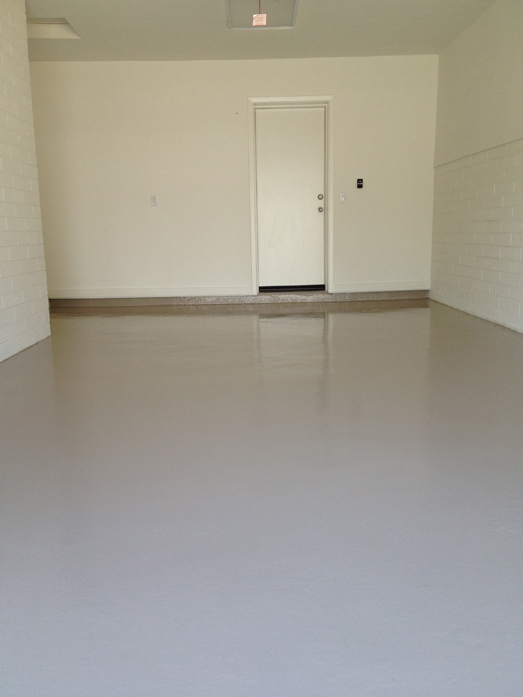 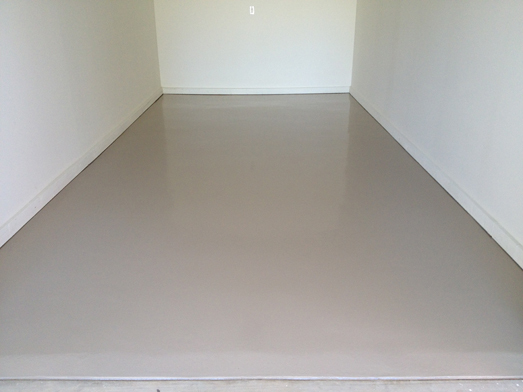 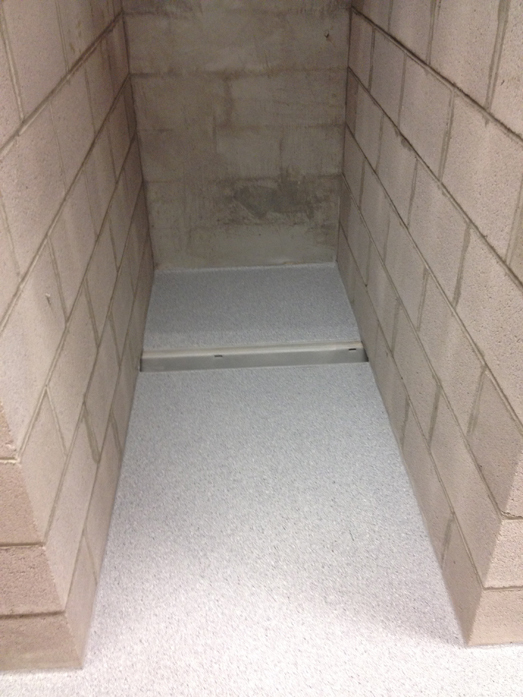 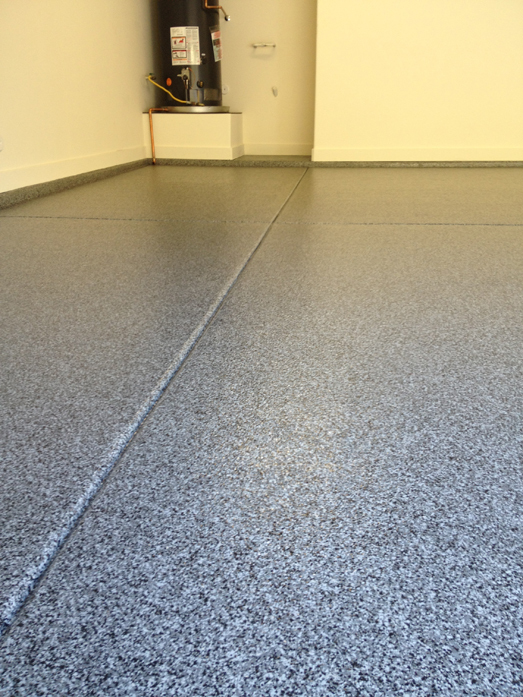 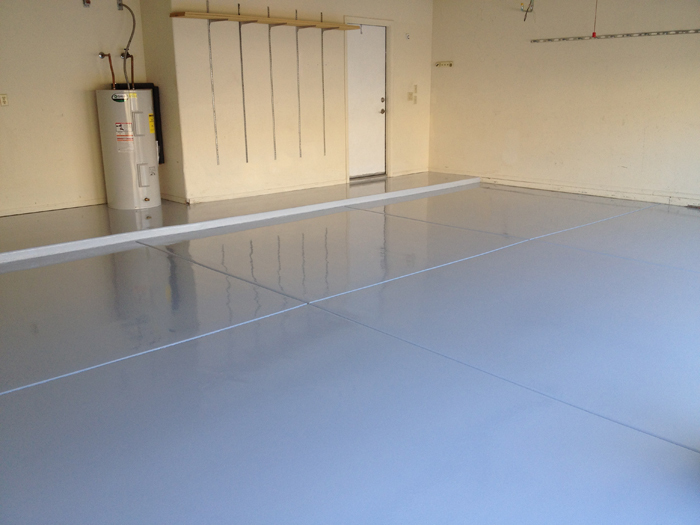 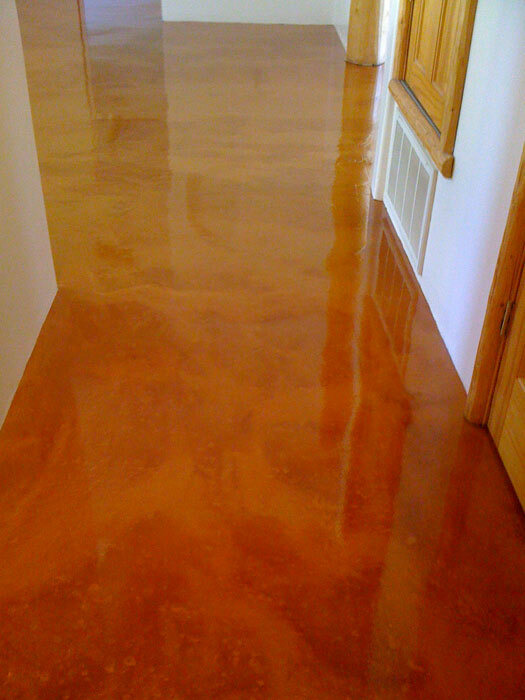 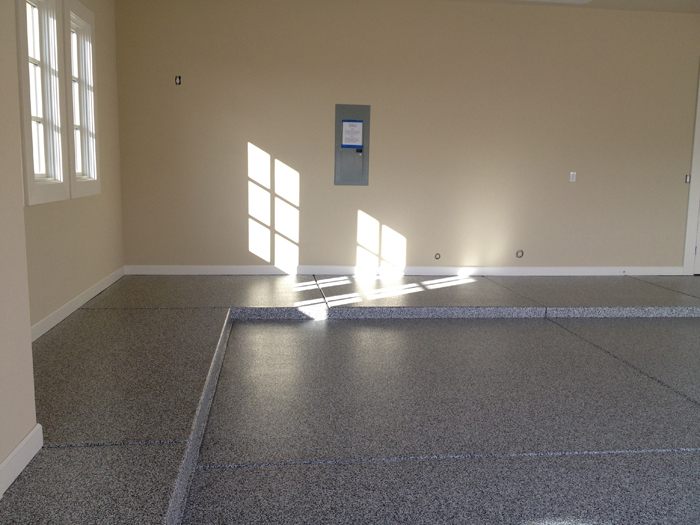 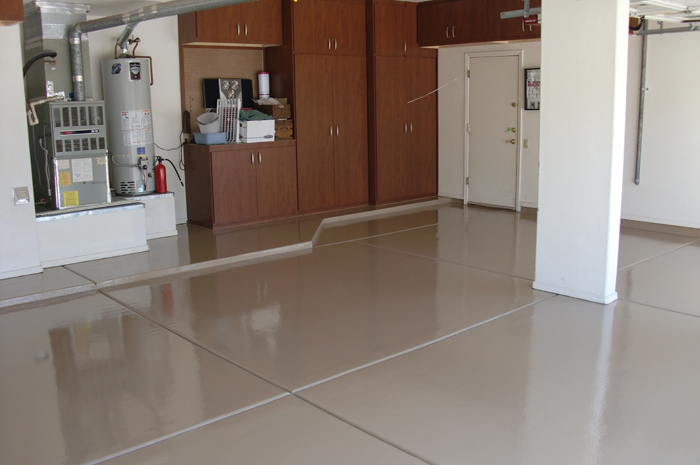 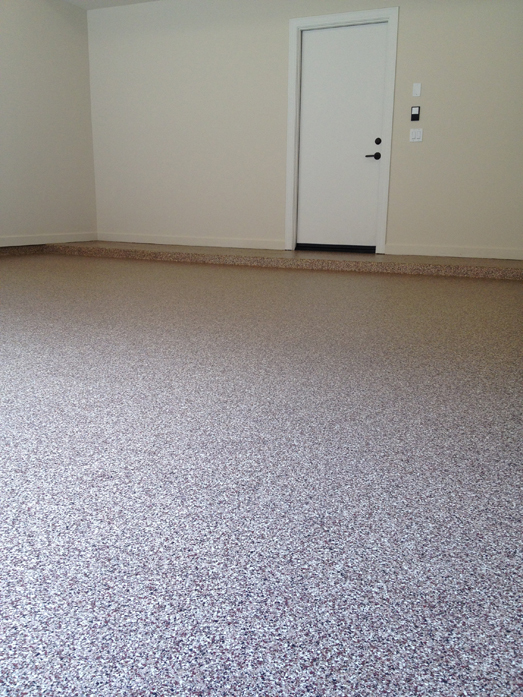 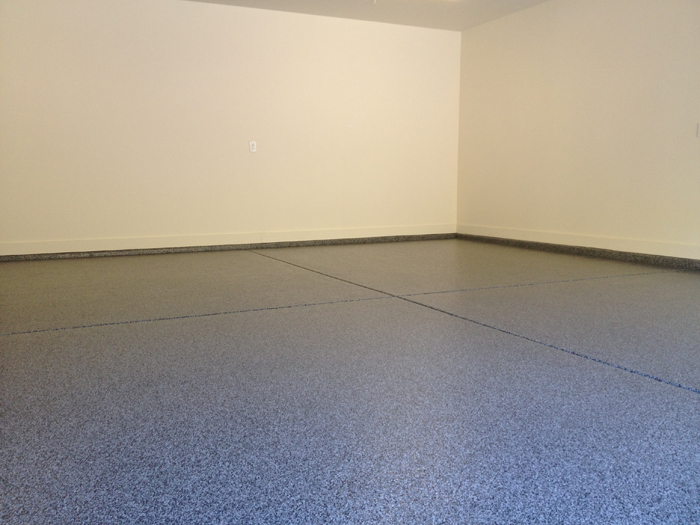 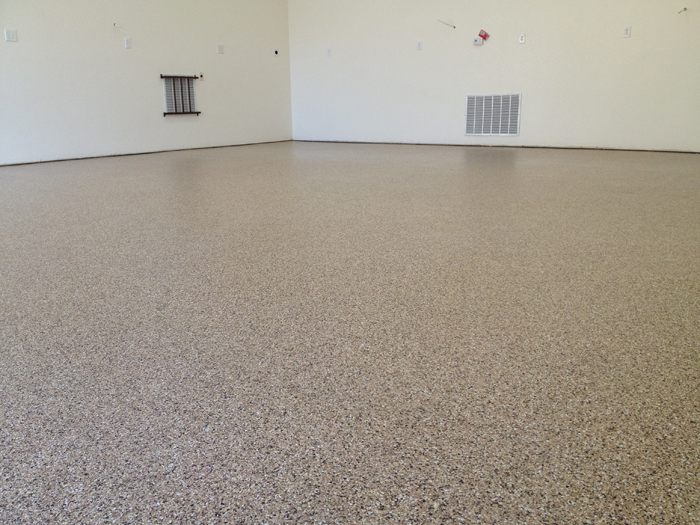 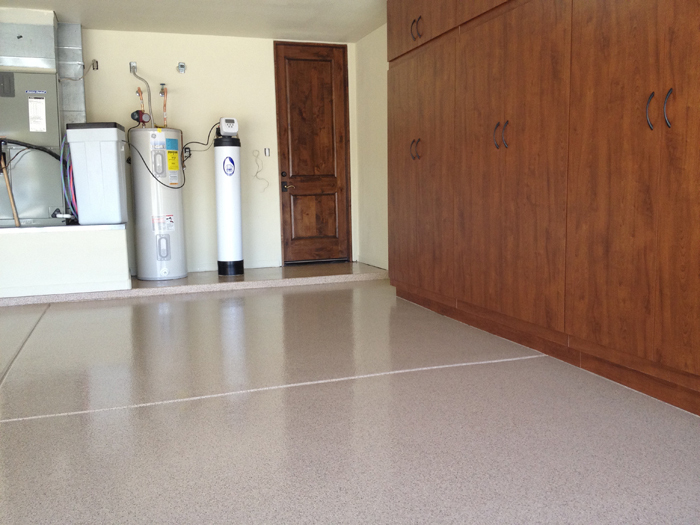 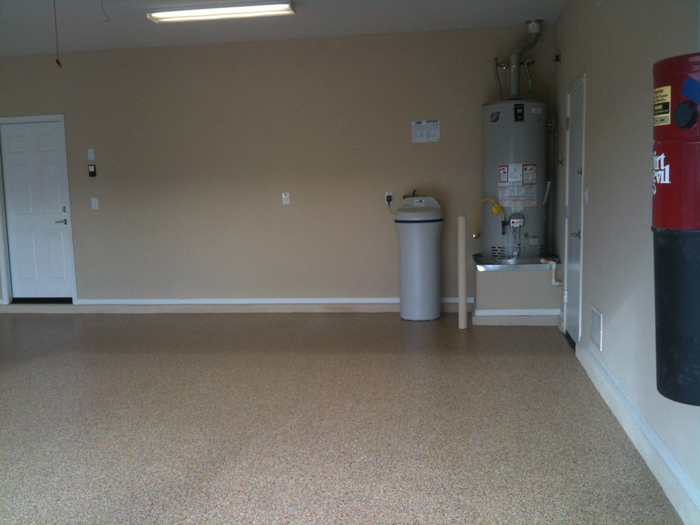 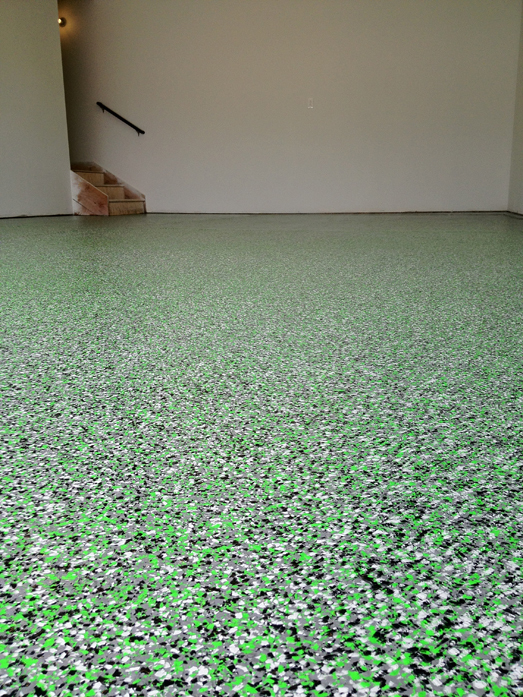 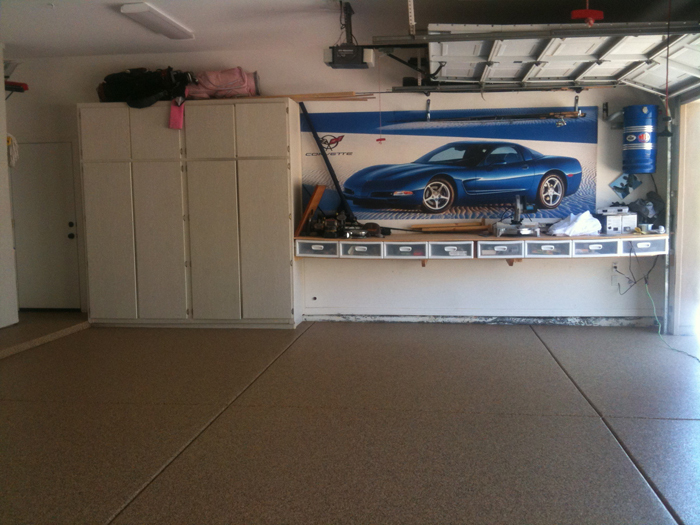 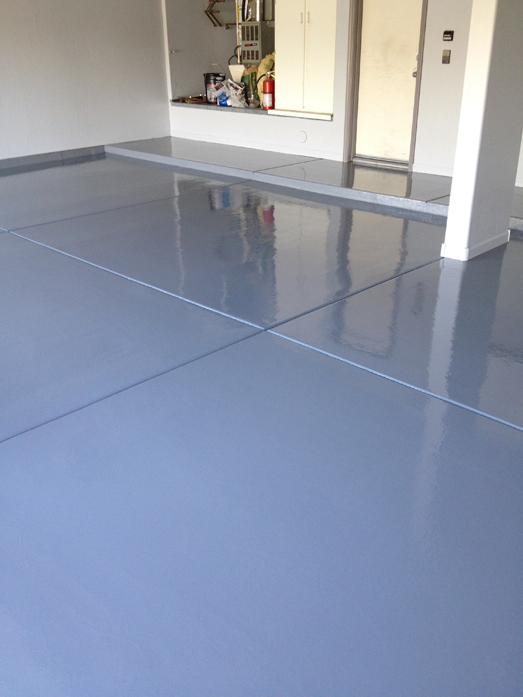 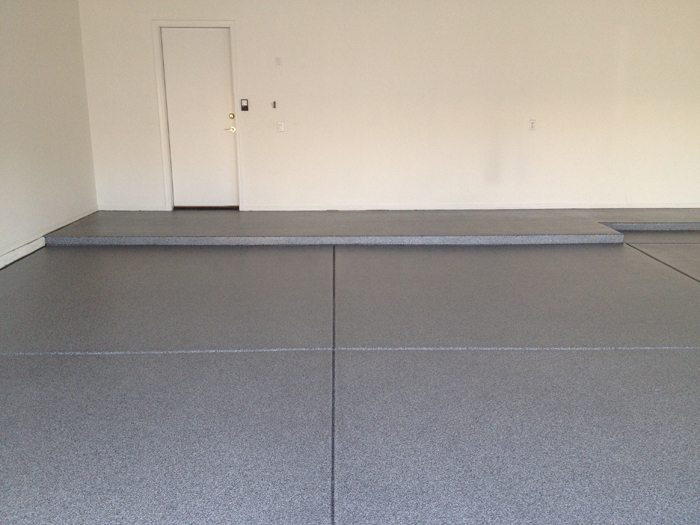 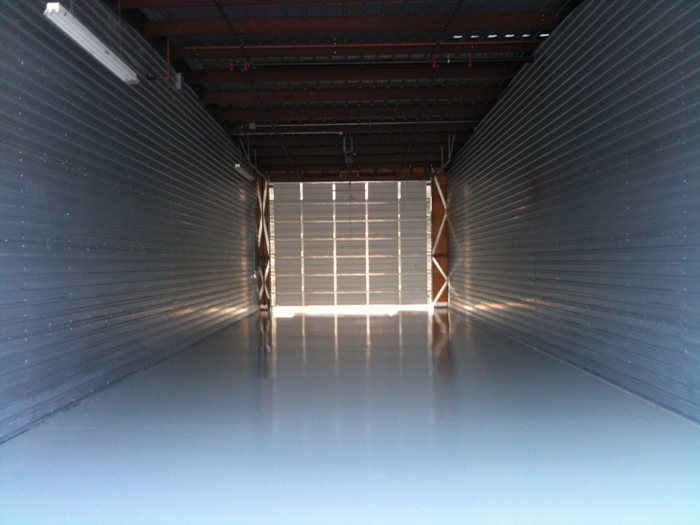 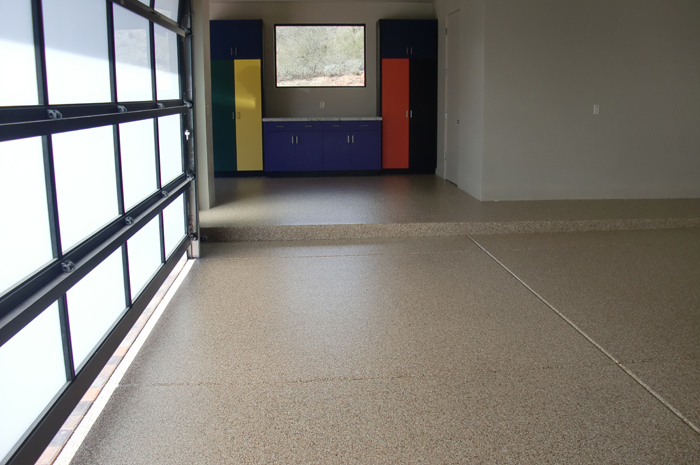 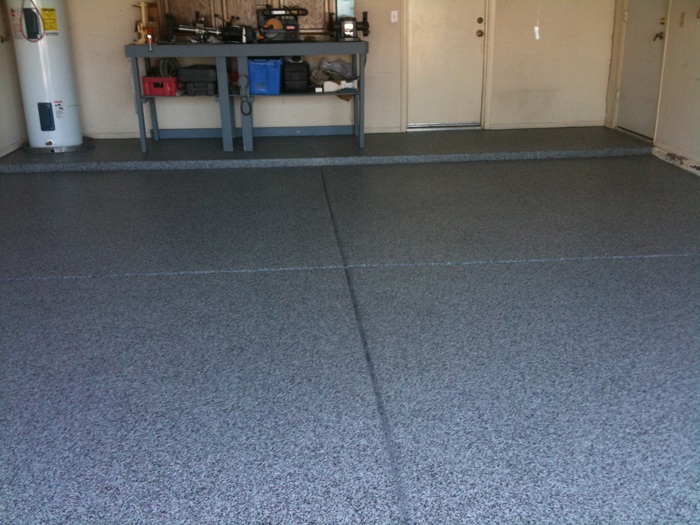 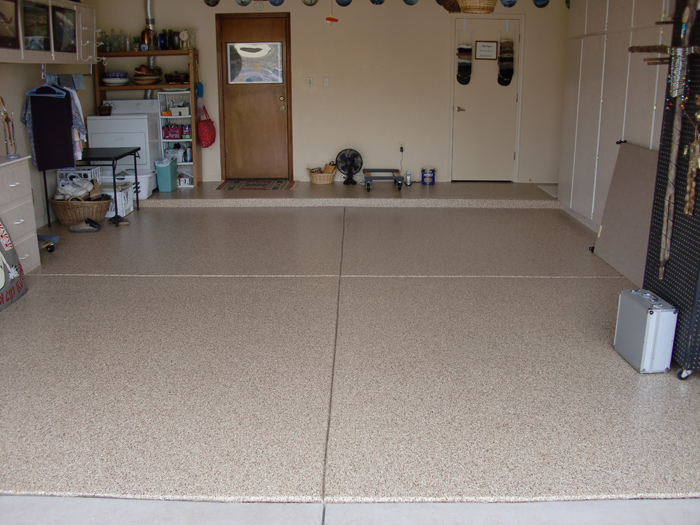 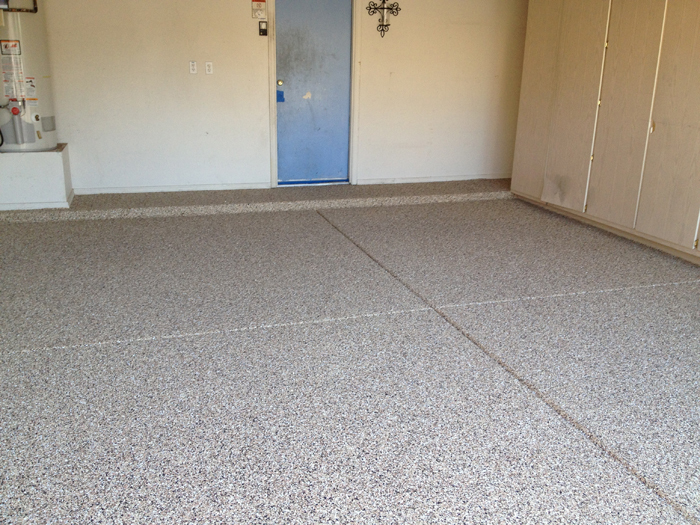 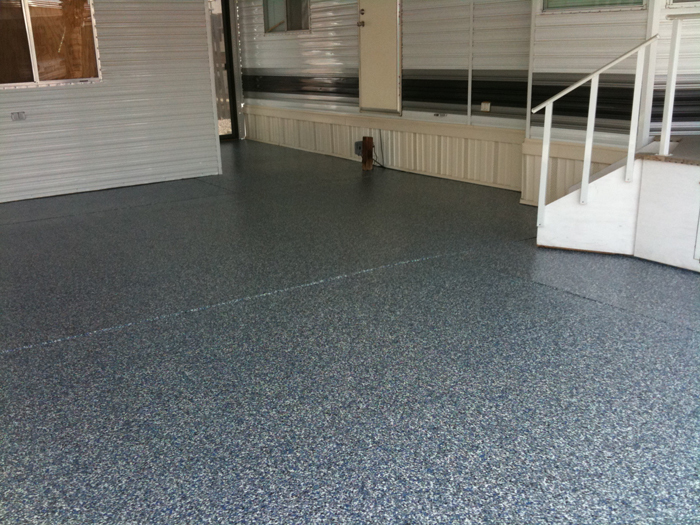 Chip floors consist of a blend of multi-colored vinyl chips embedded into a solid color resinous base coat and then top coated with clear polyurethane or polyaspartic top coats. 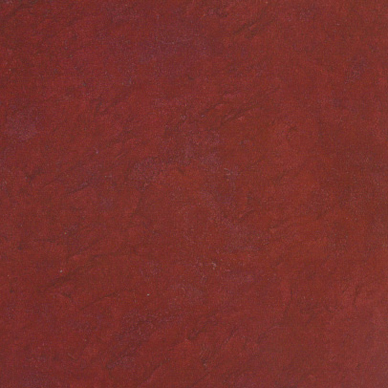 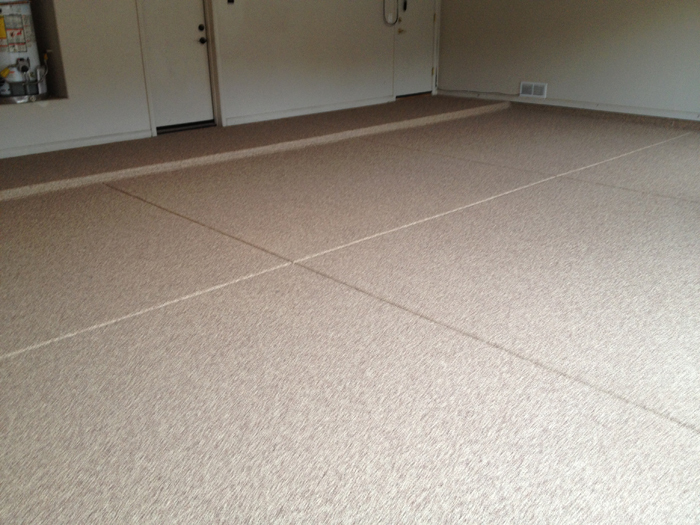 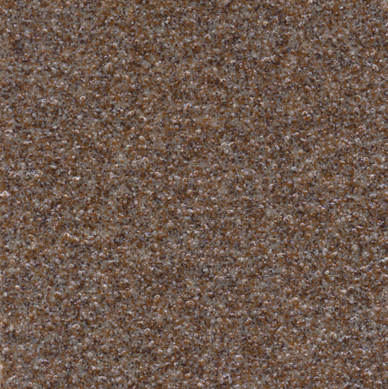 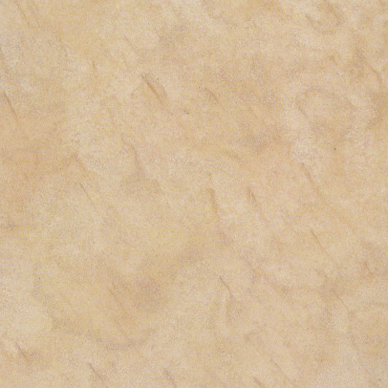 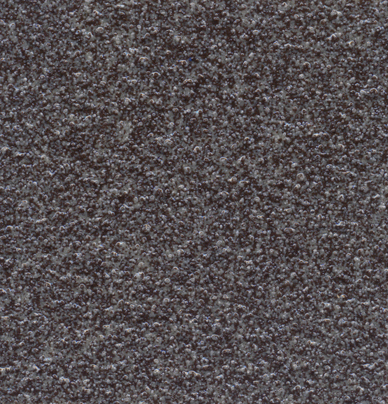 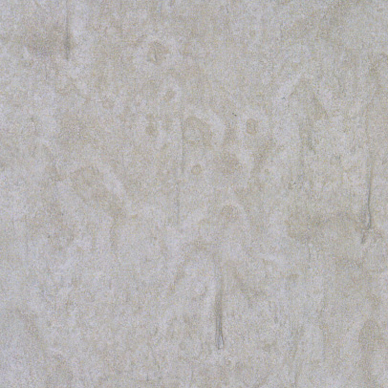 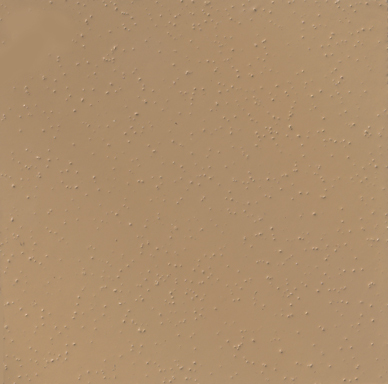 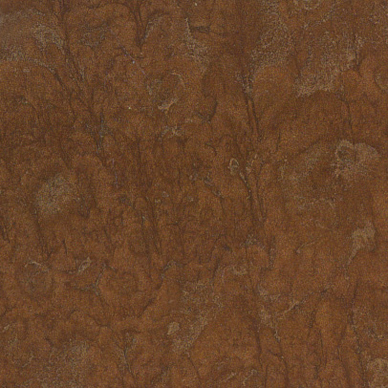 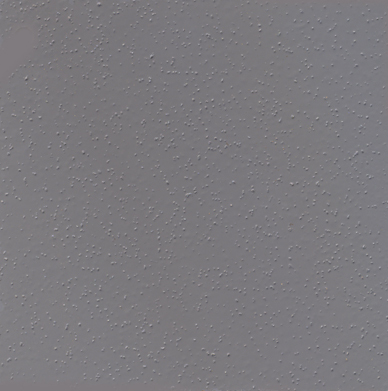 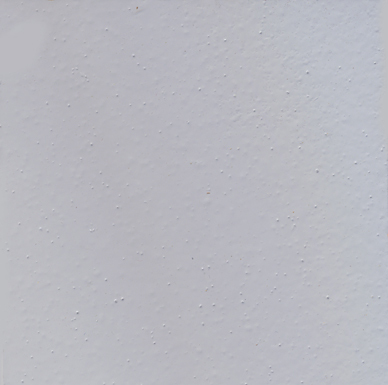 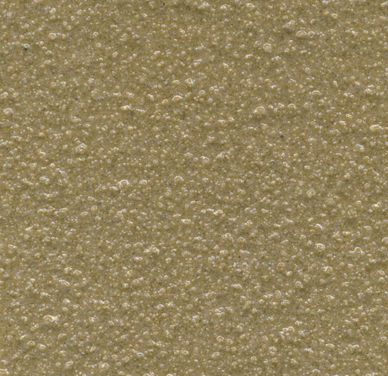 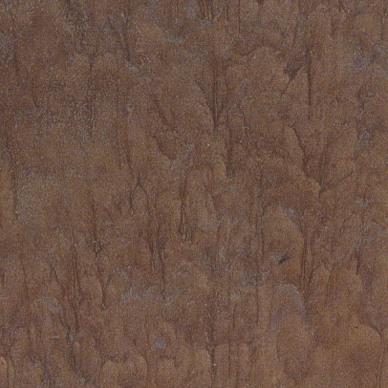 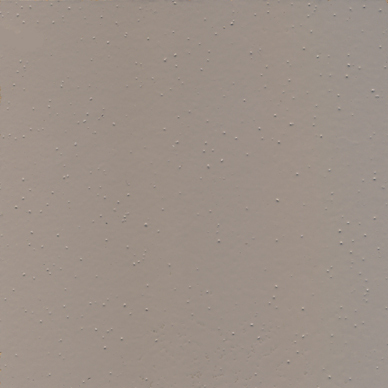 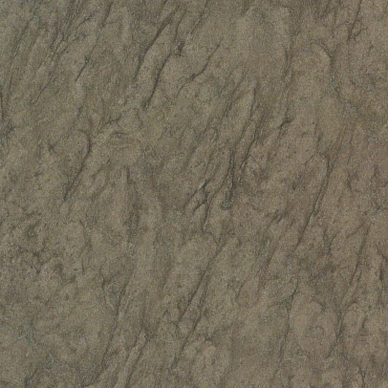 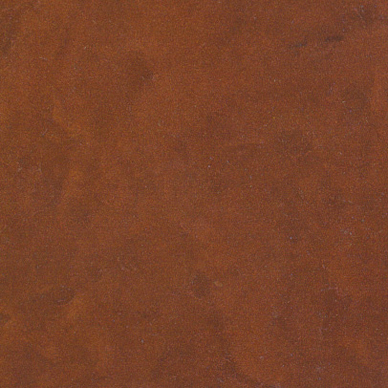 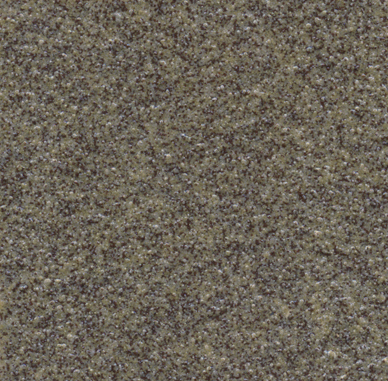 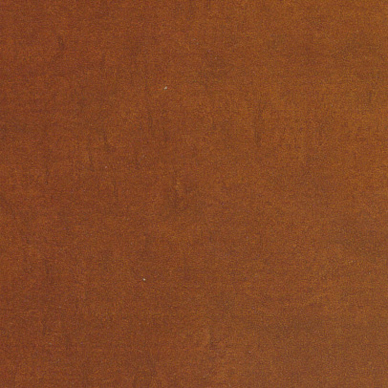 Available in 14 standard blends and sizes 1/8”, 1/4”, and 1/2” you can choose the color and size to match your décor. 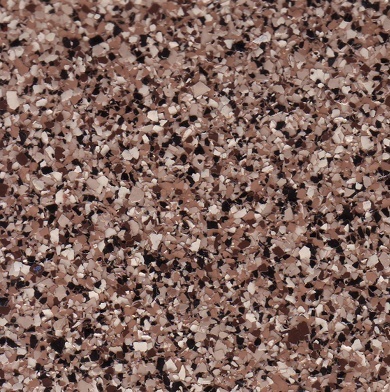 Additional and custom chip blends available upon request. 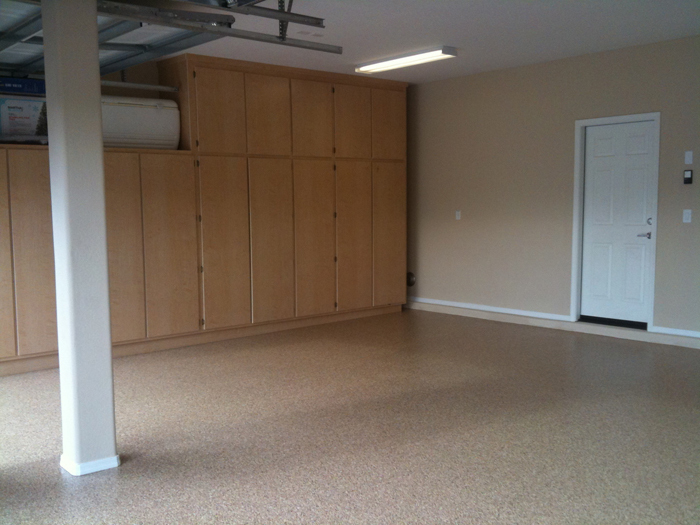 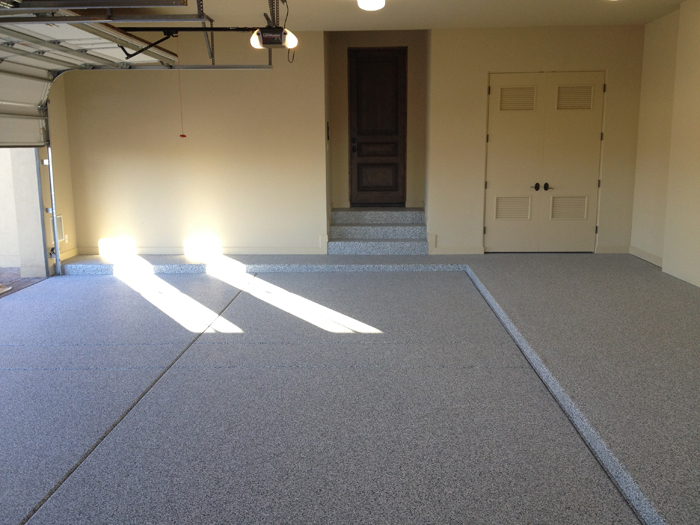 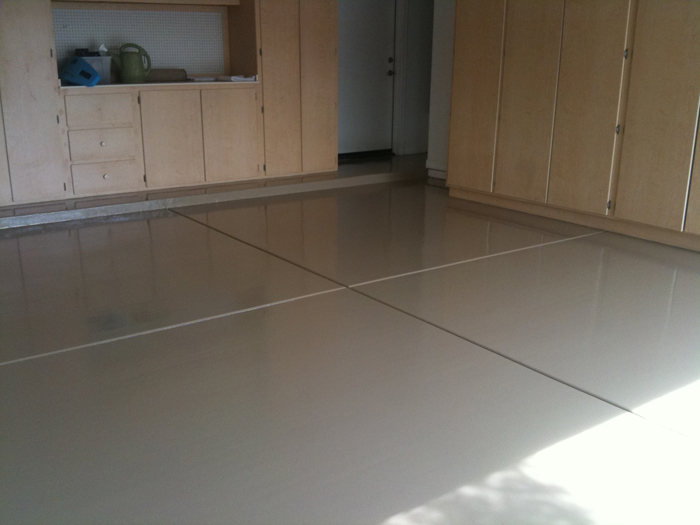 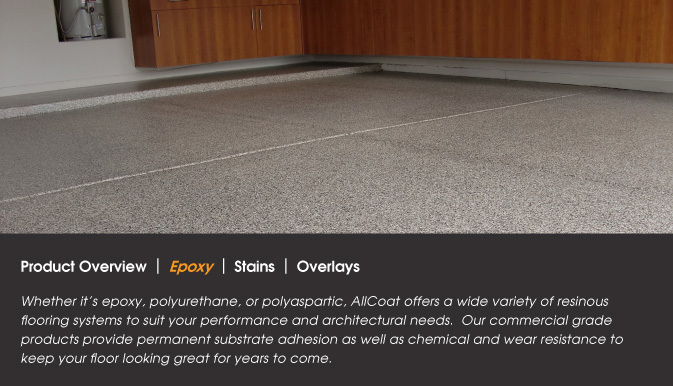 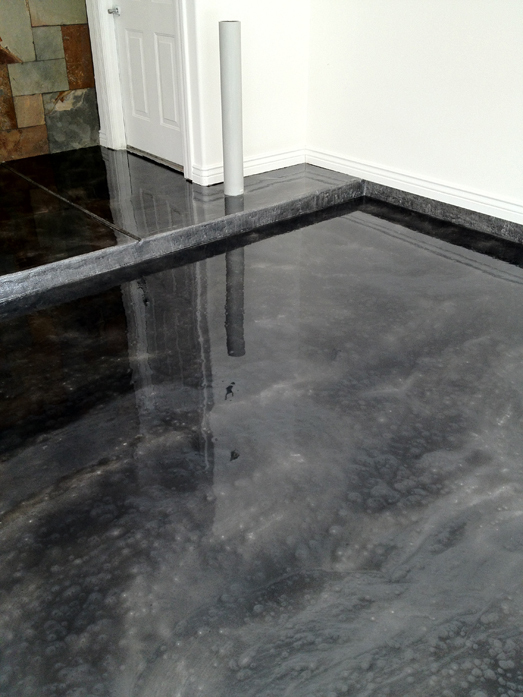 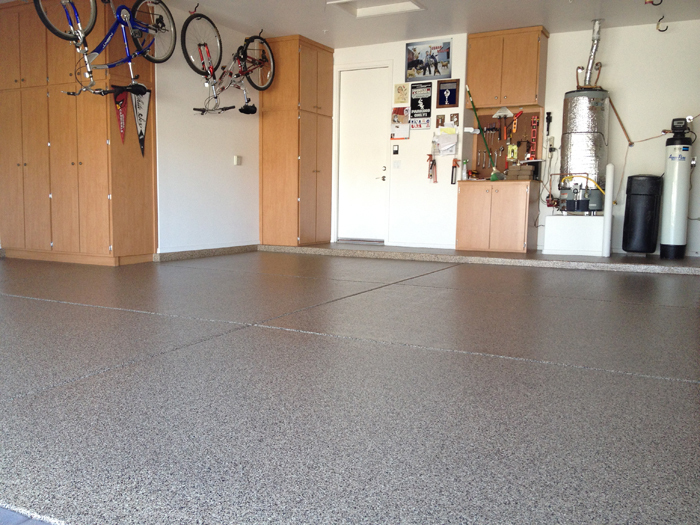 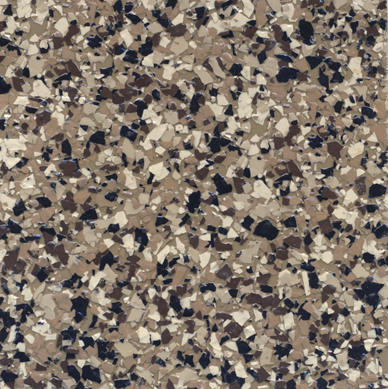 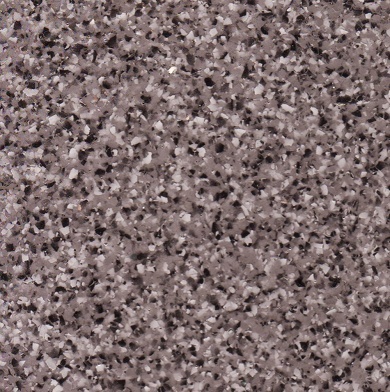 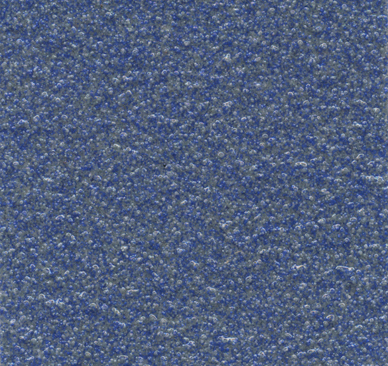 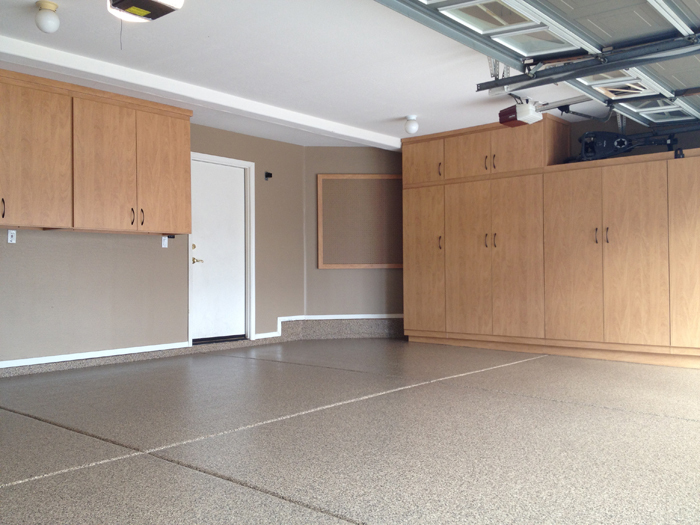 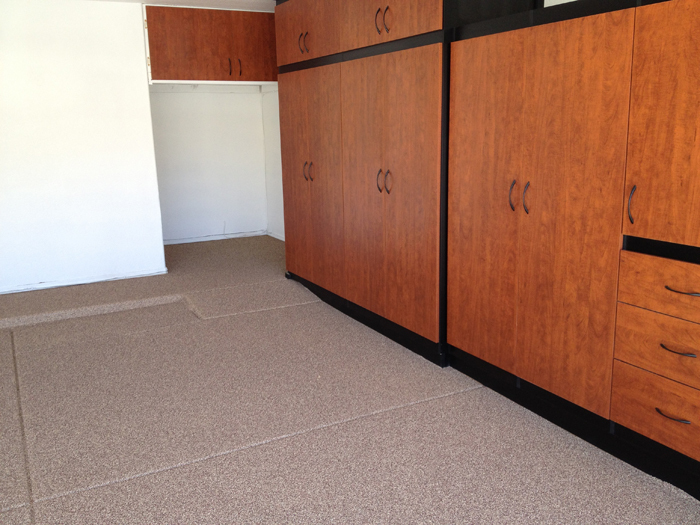 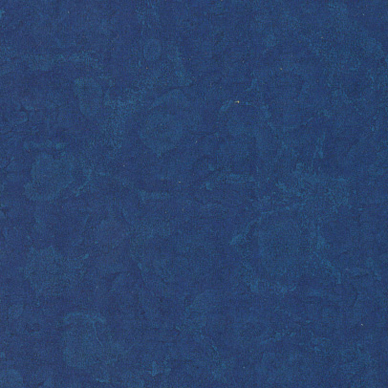 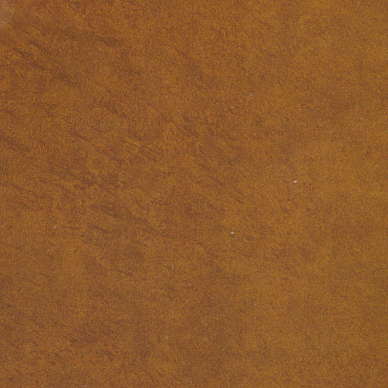 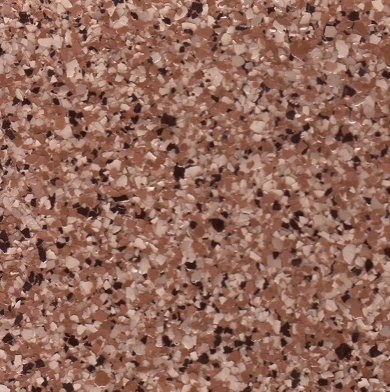 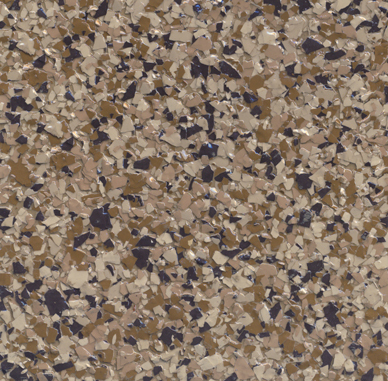 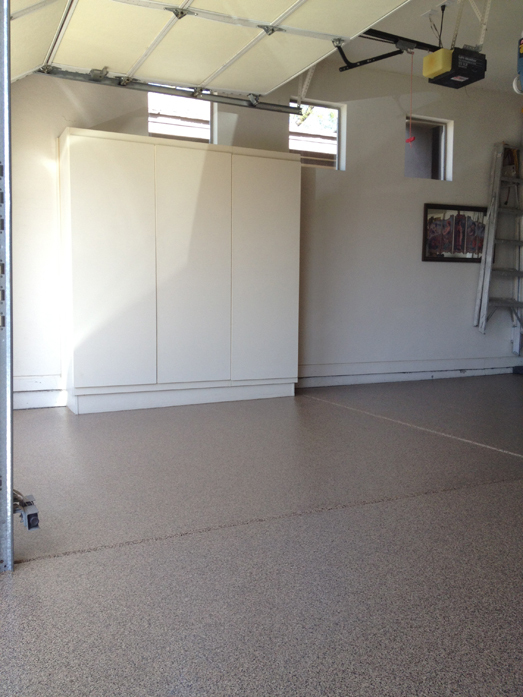 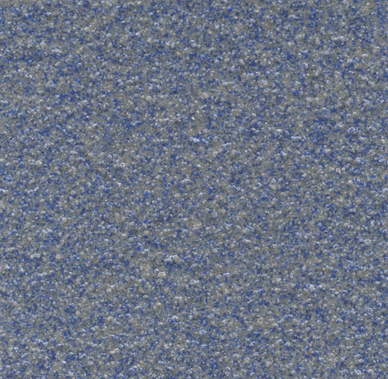 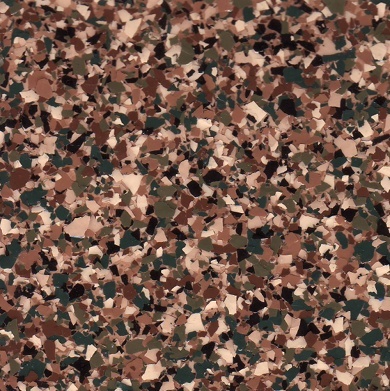 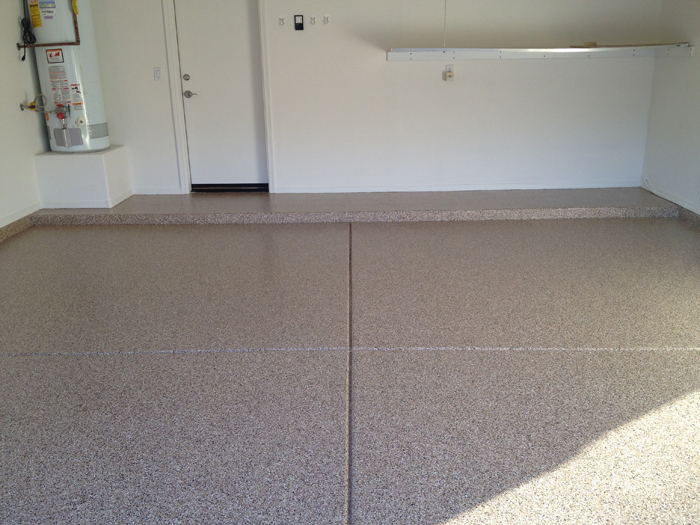 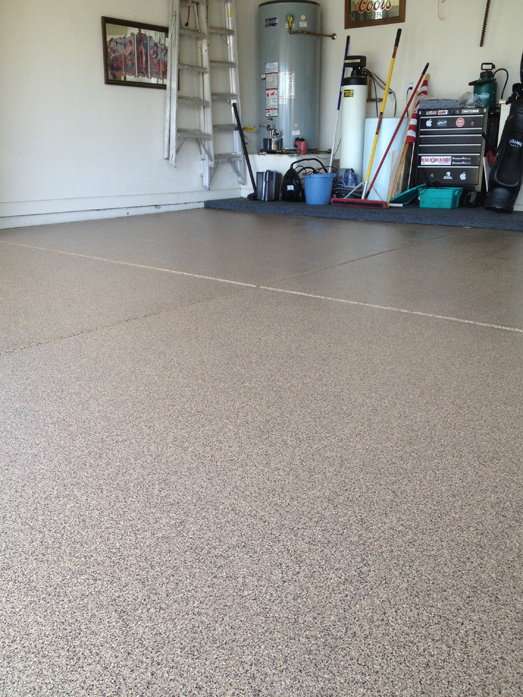 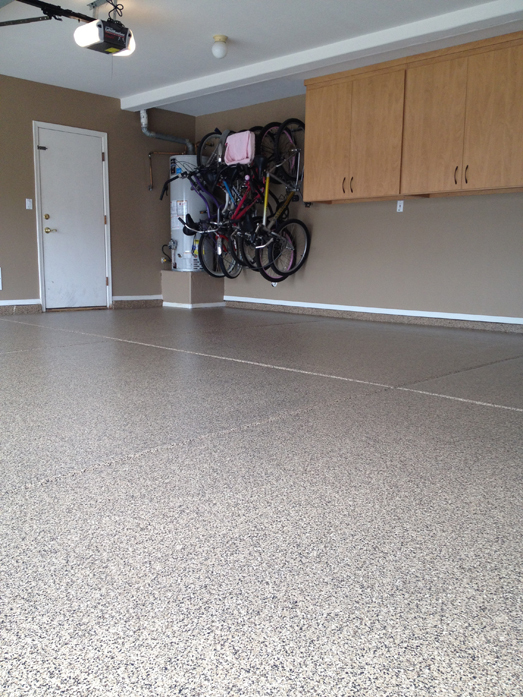 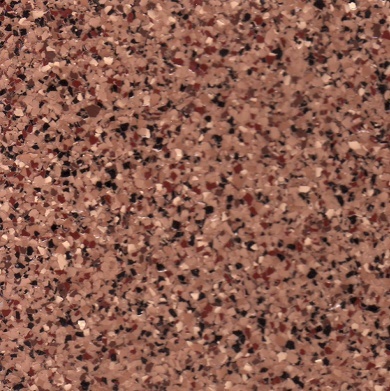 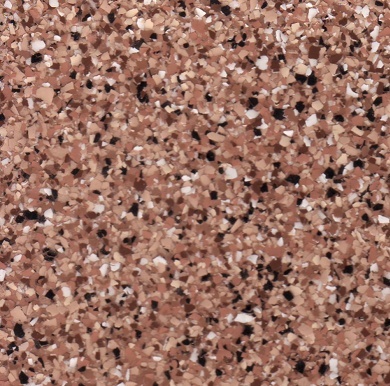 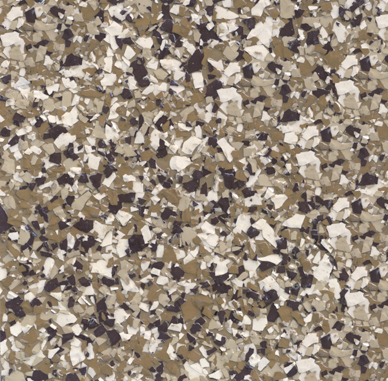 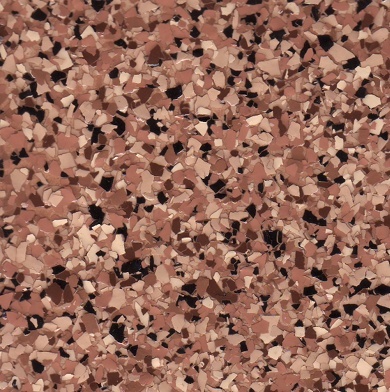 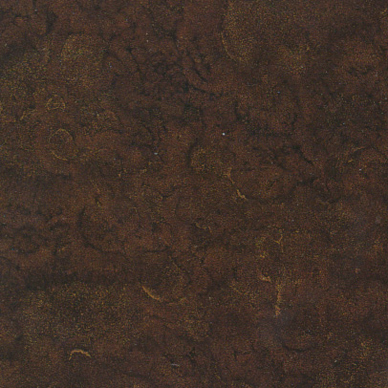 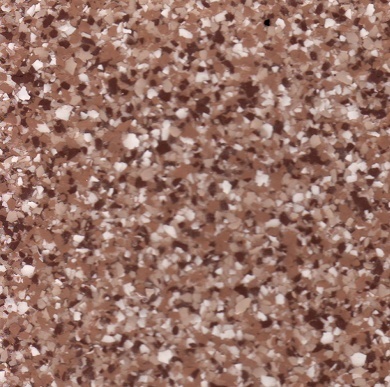 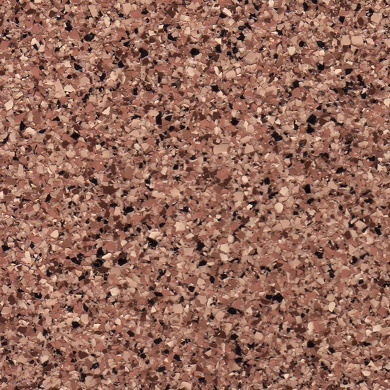 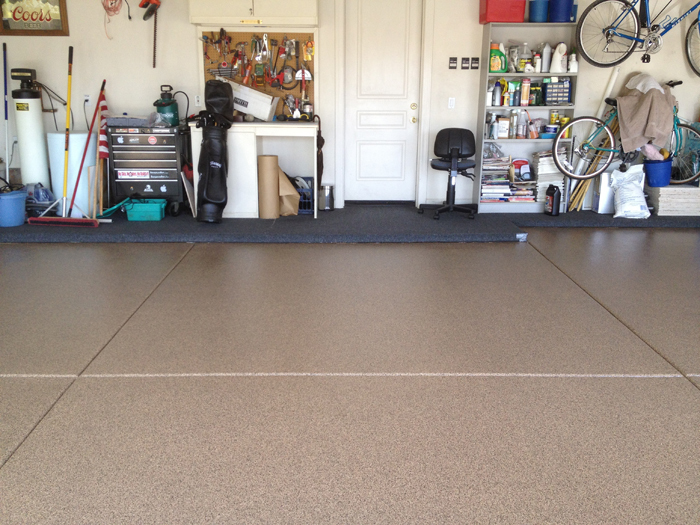 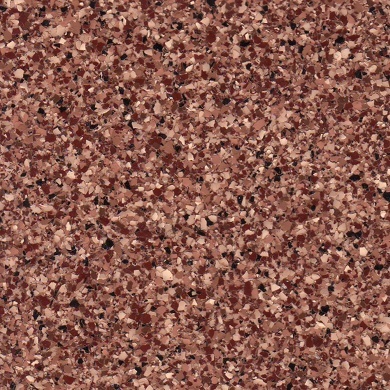 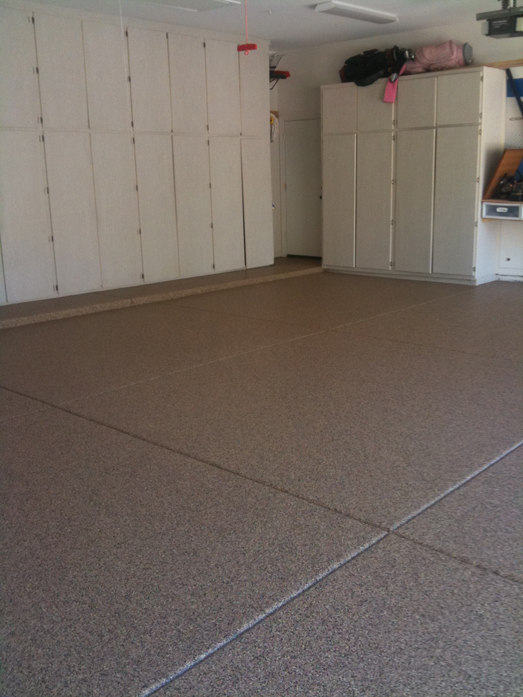 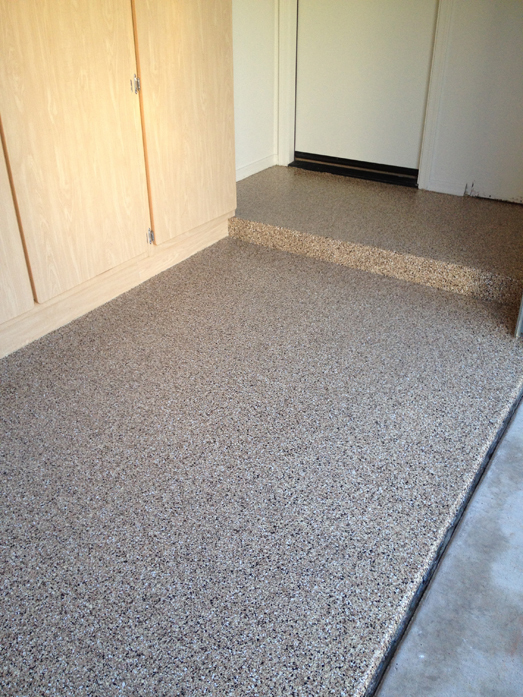 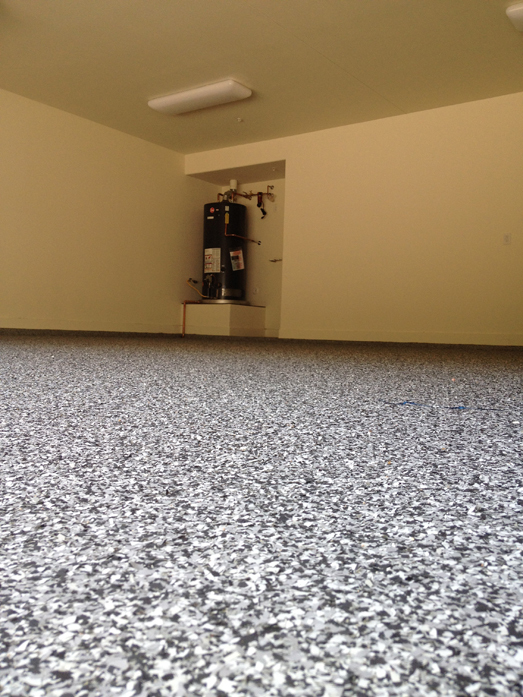 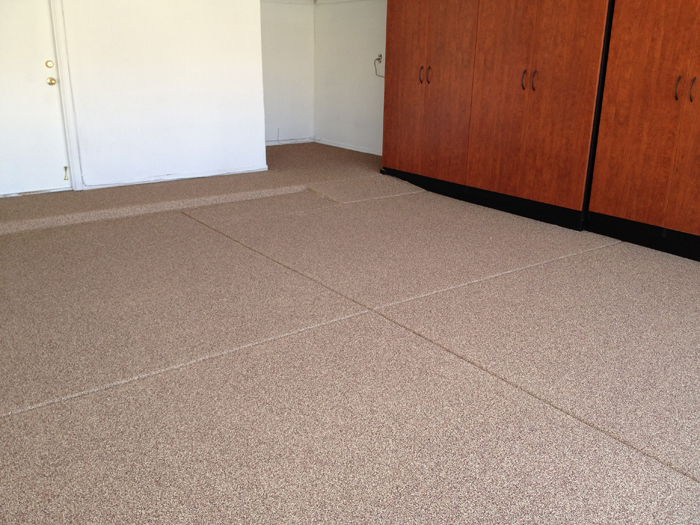 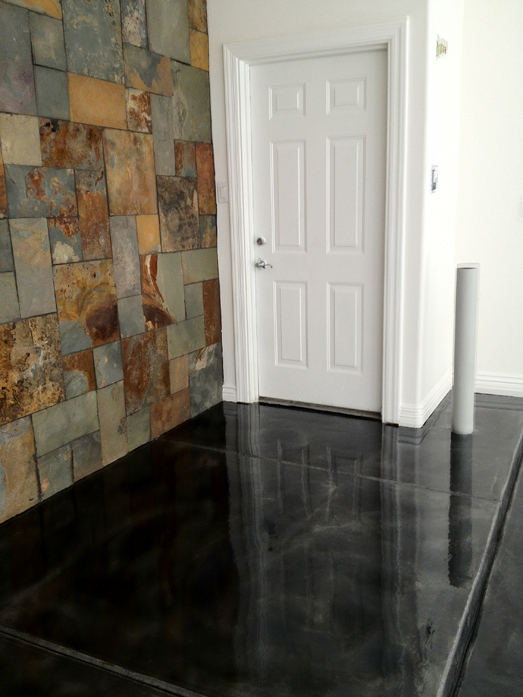 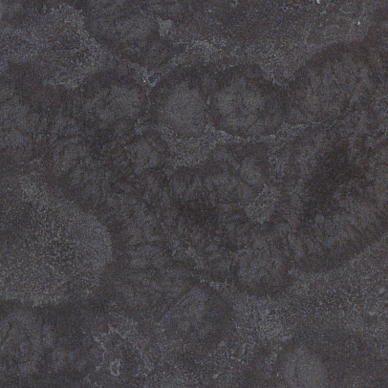 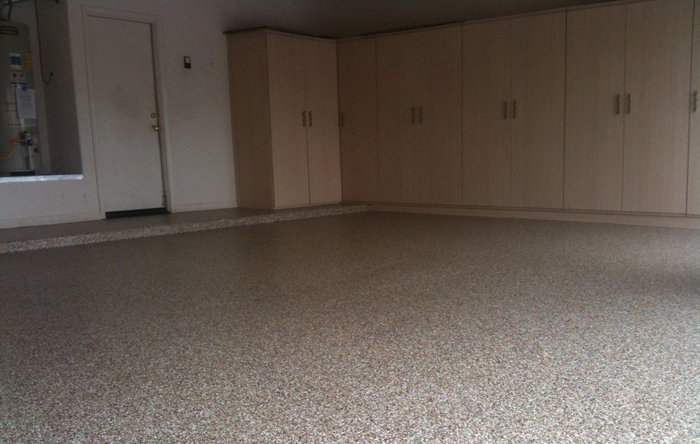 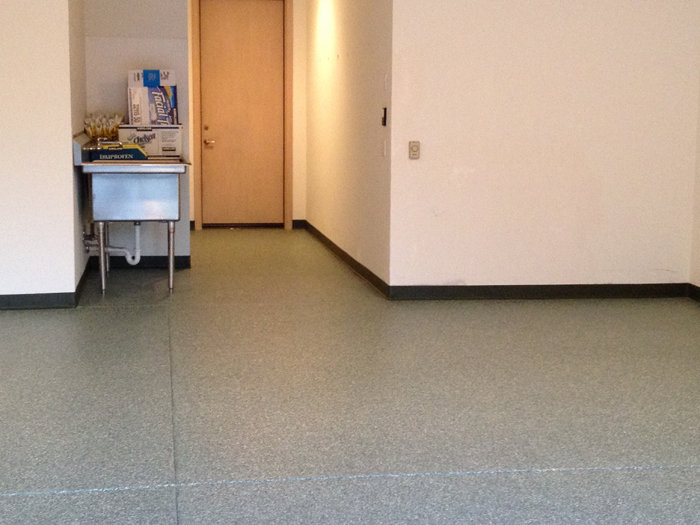 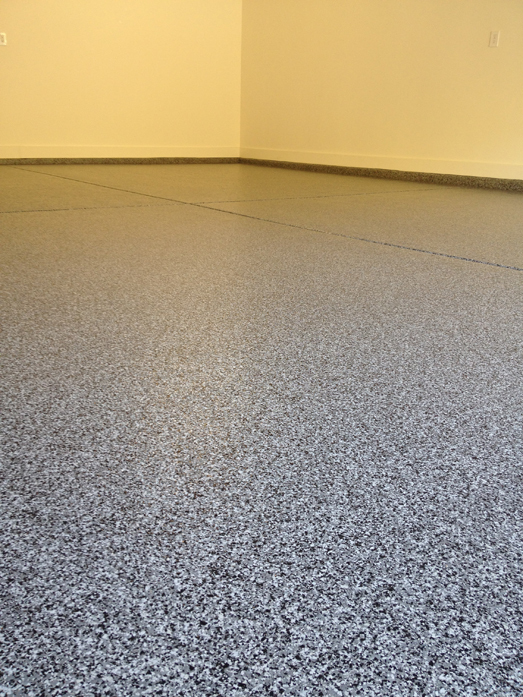 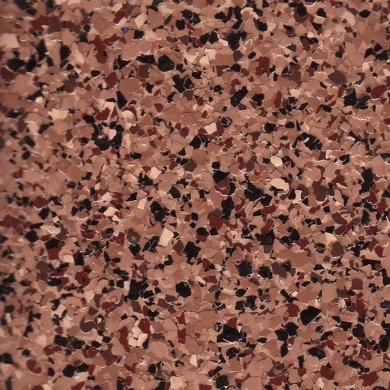 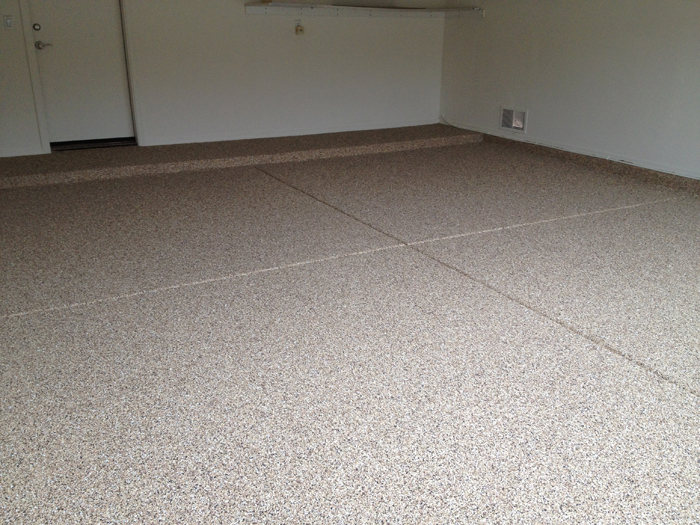 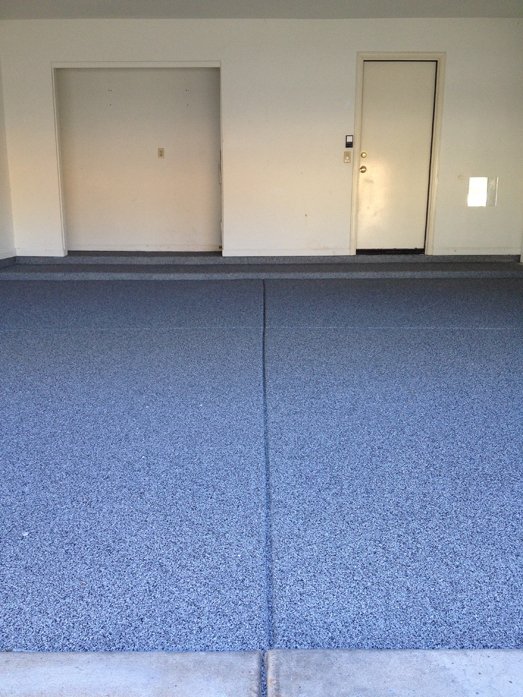 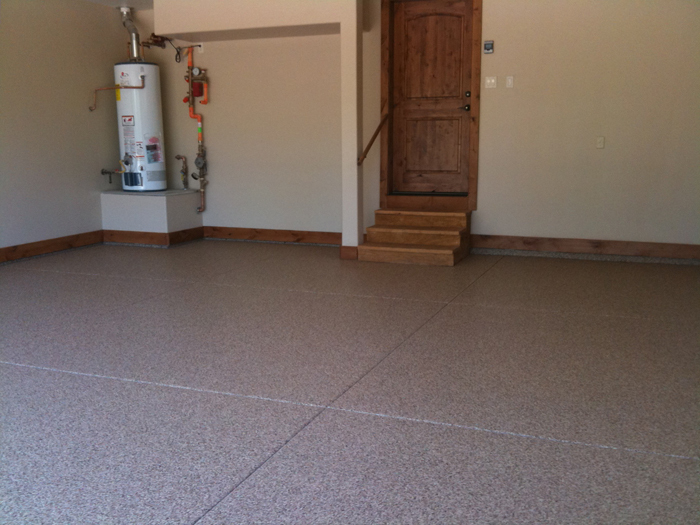 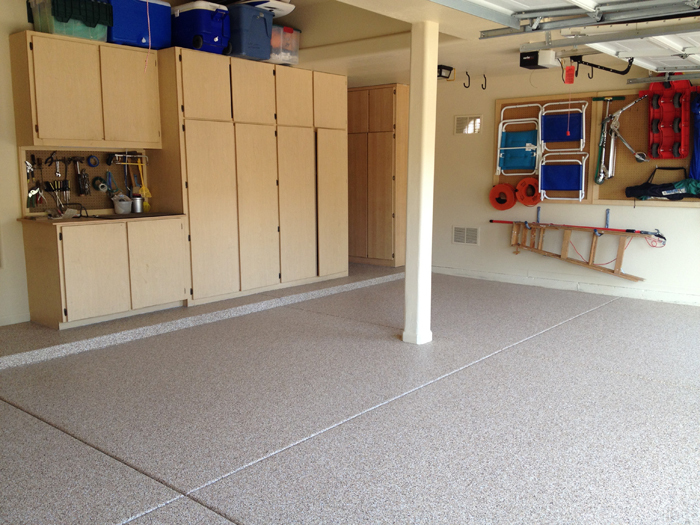 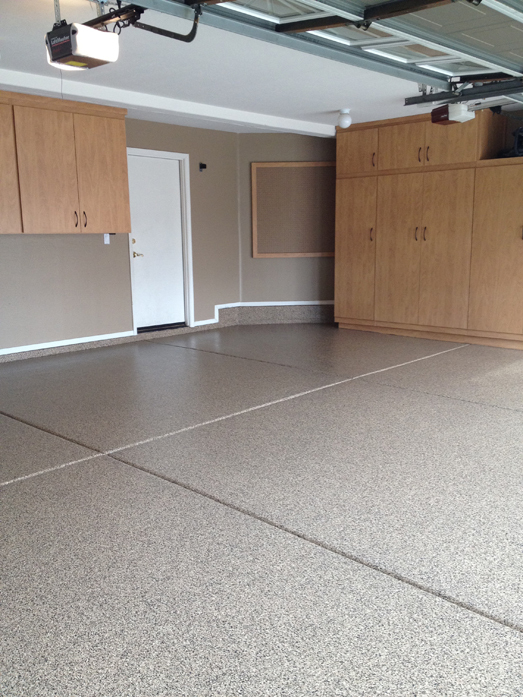 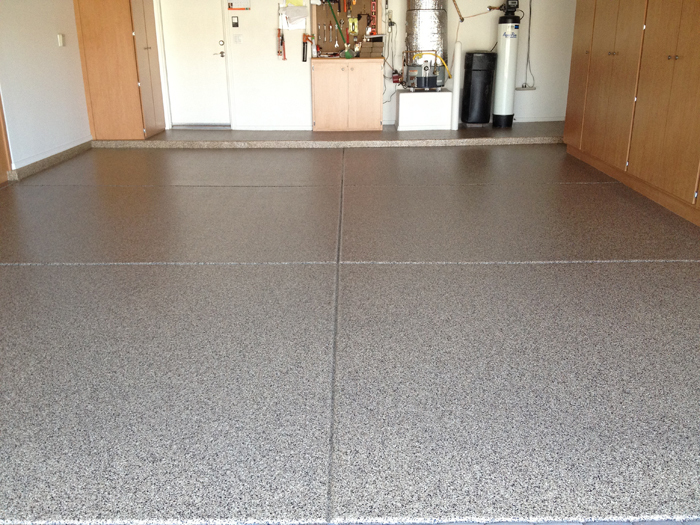 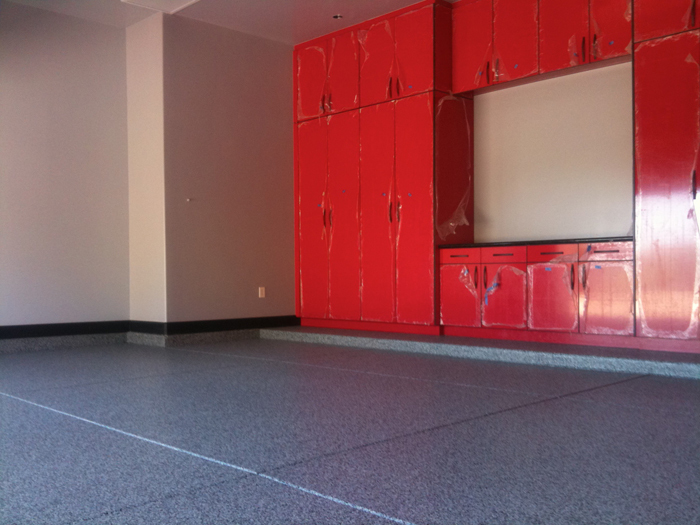 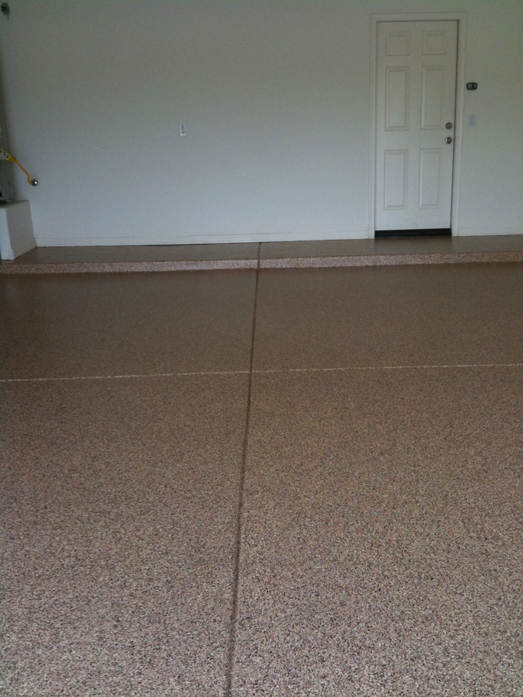 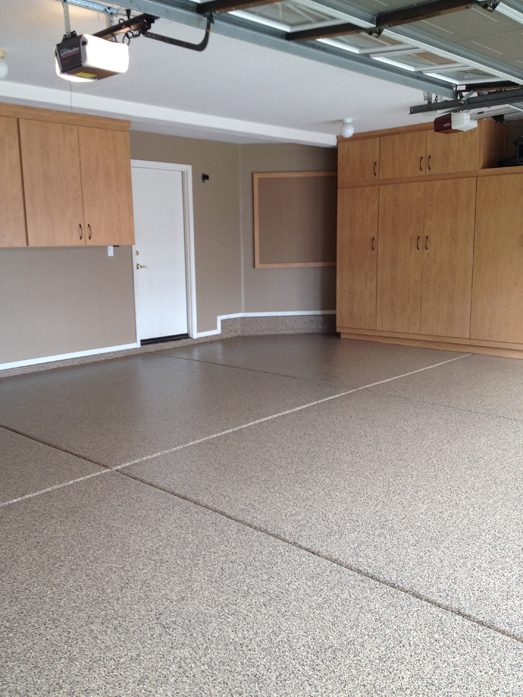 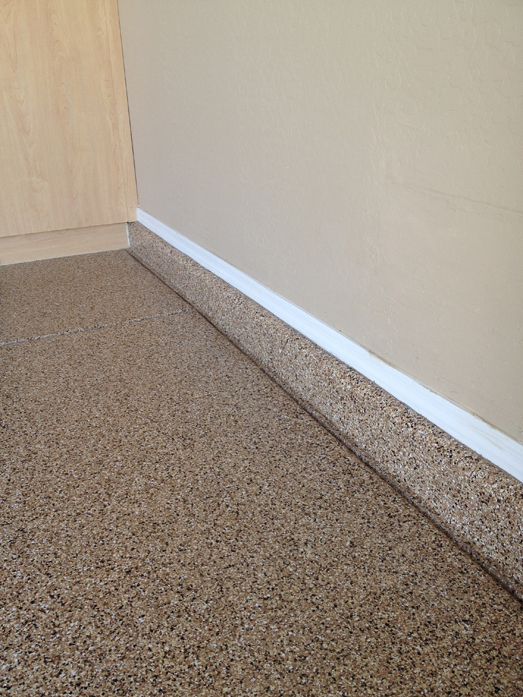 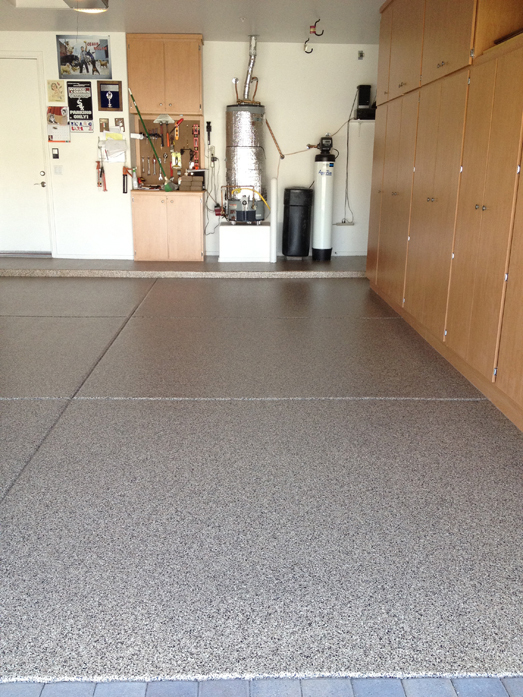 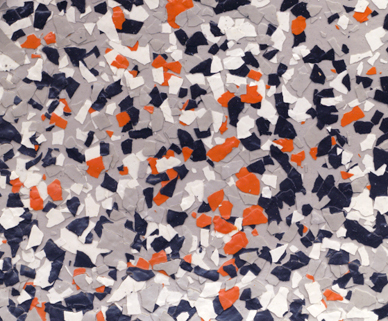 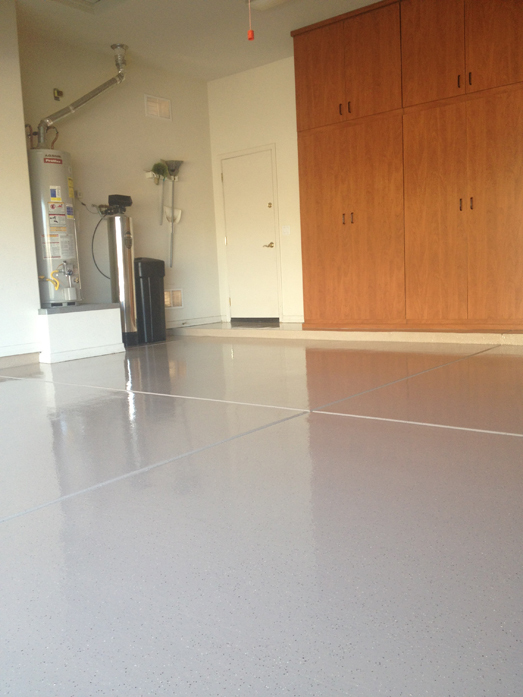 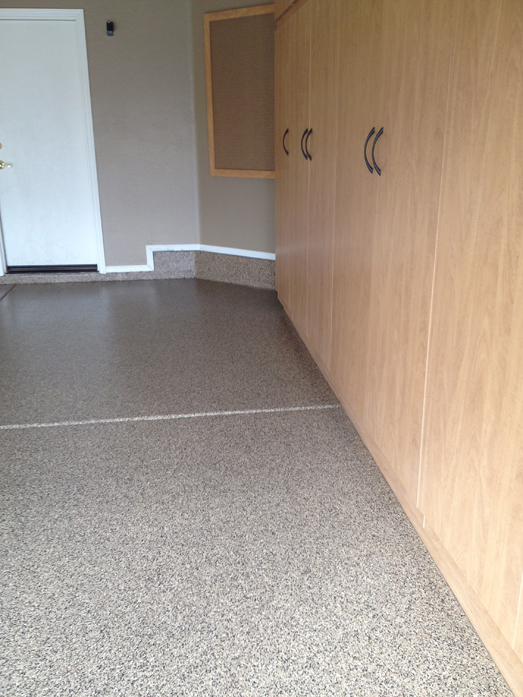 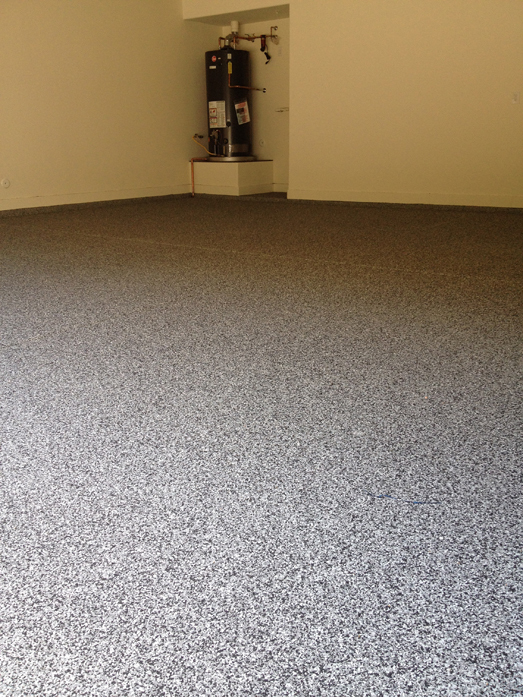 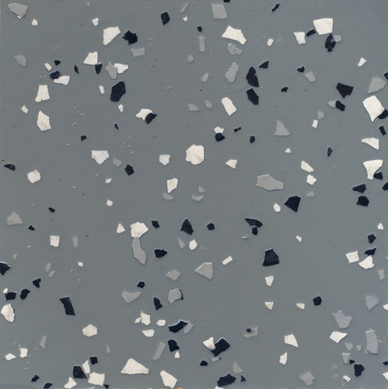 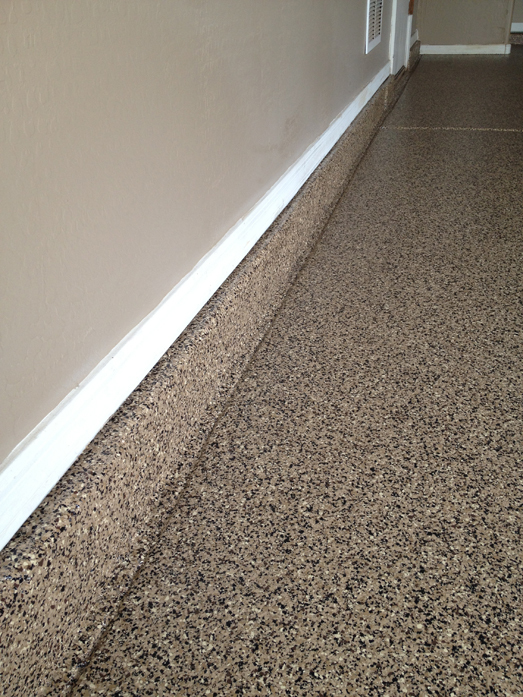 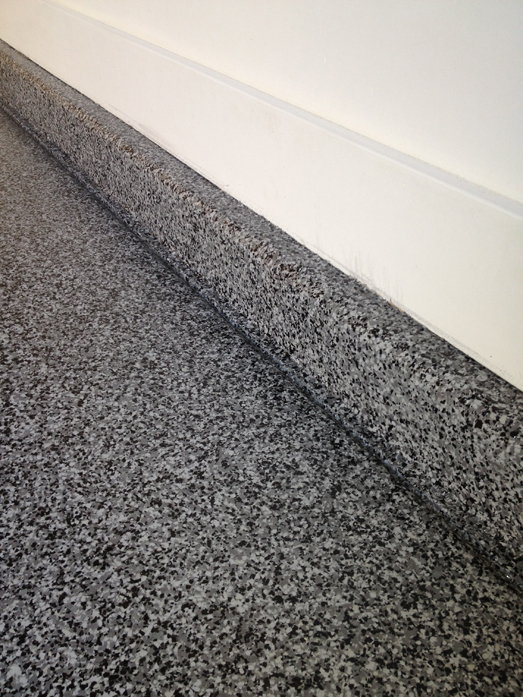 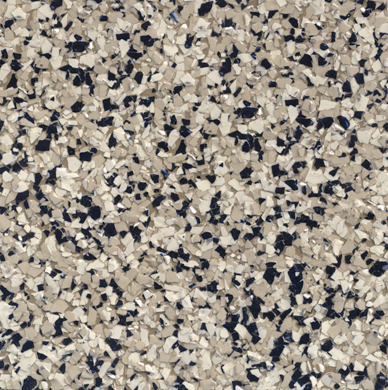 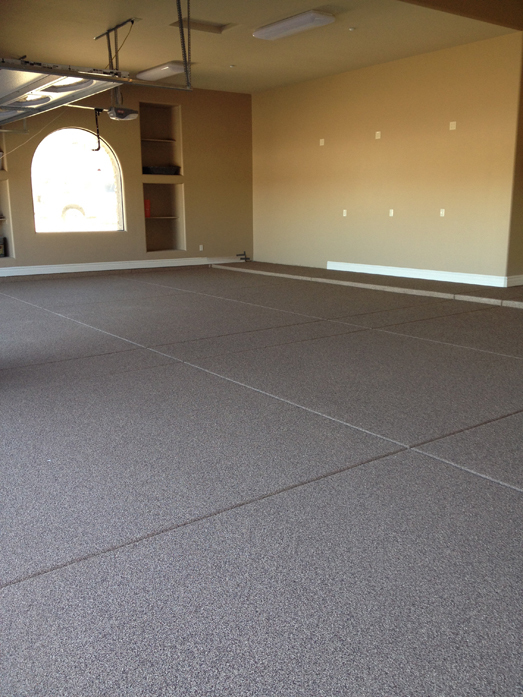 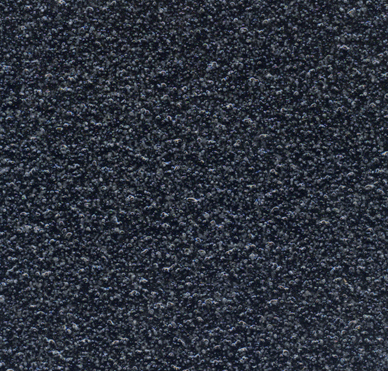 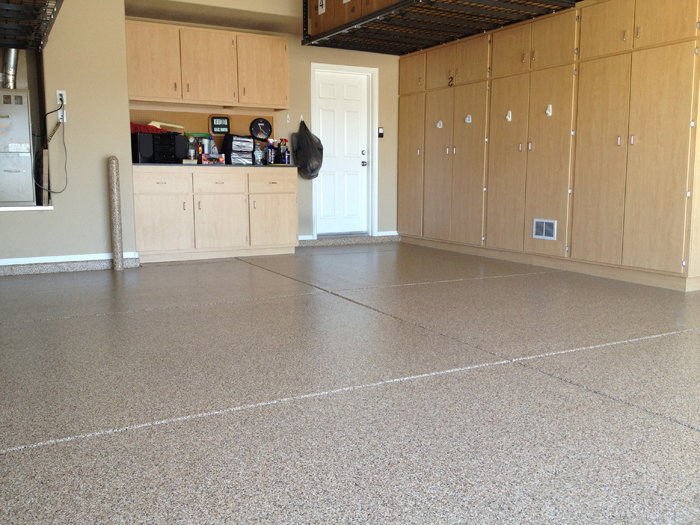 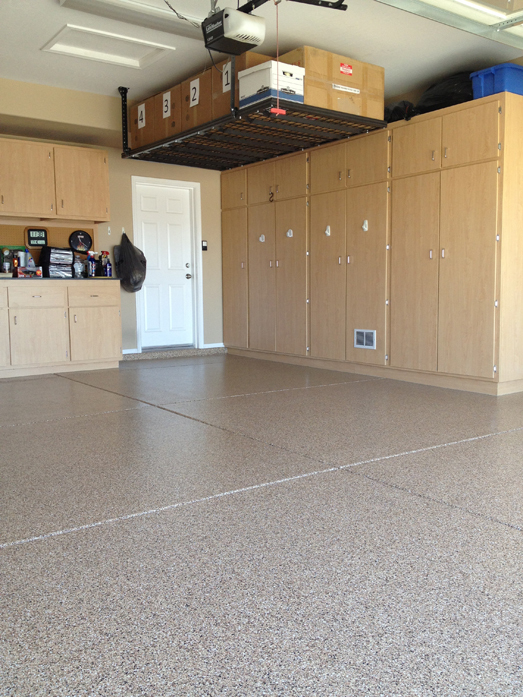 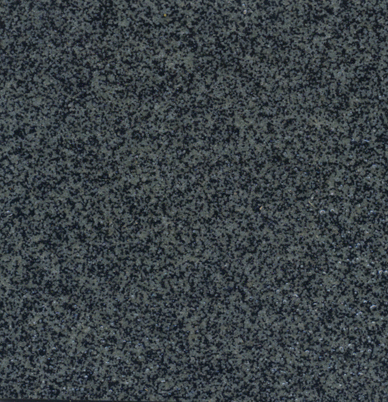 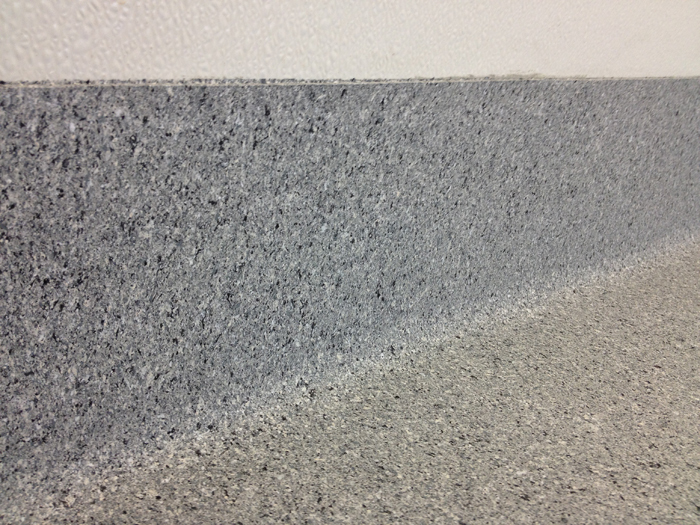 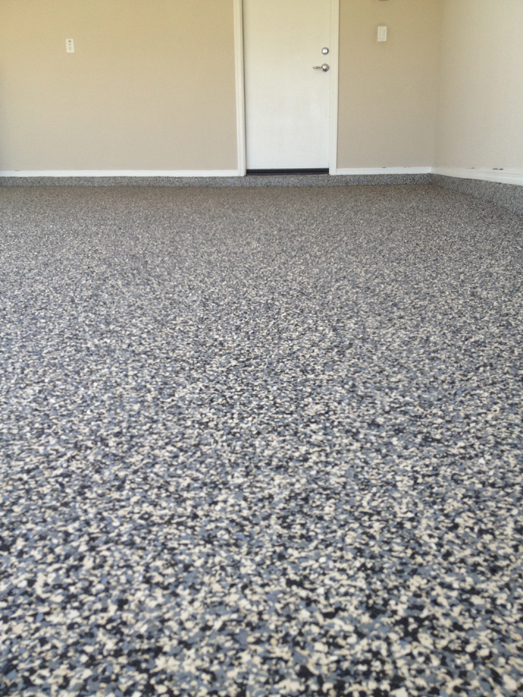 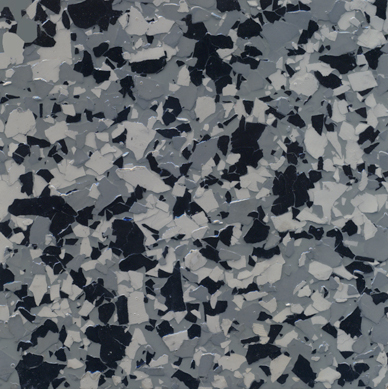 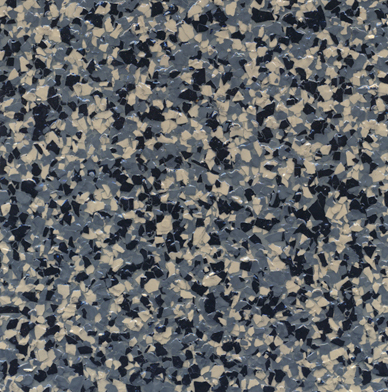 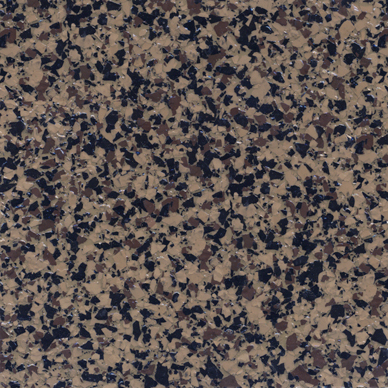 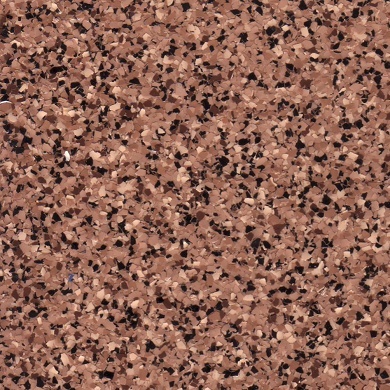 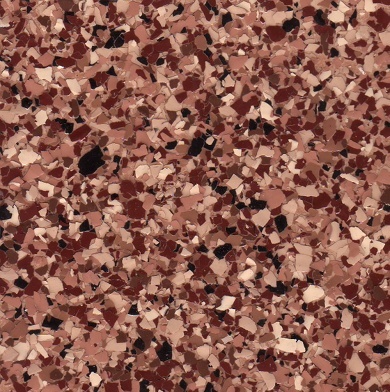 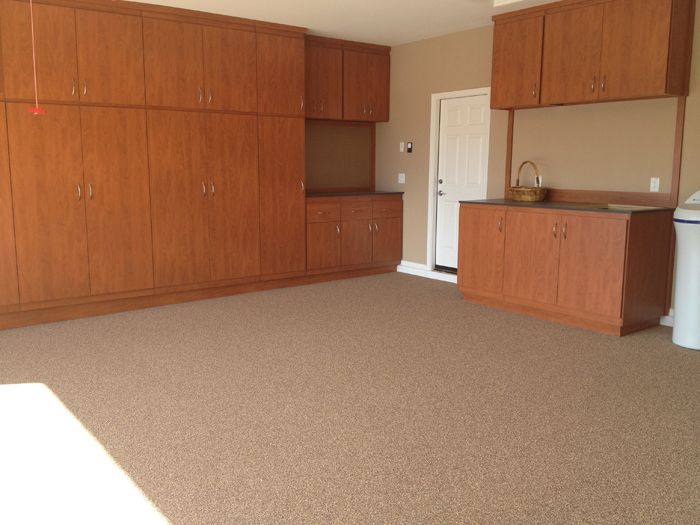 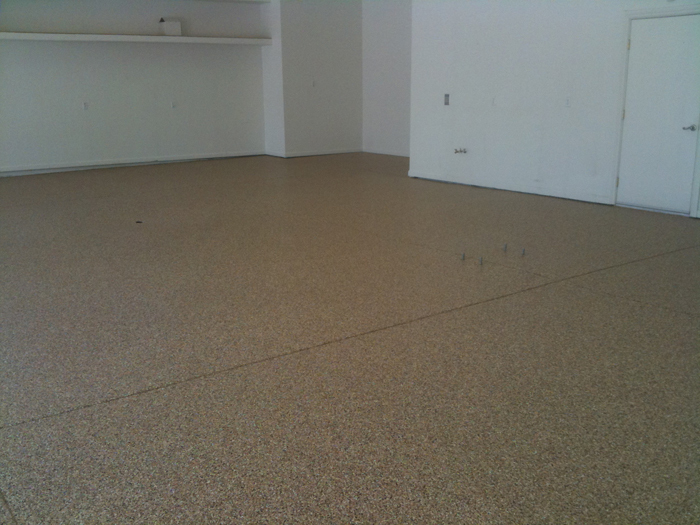 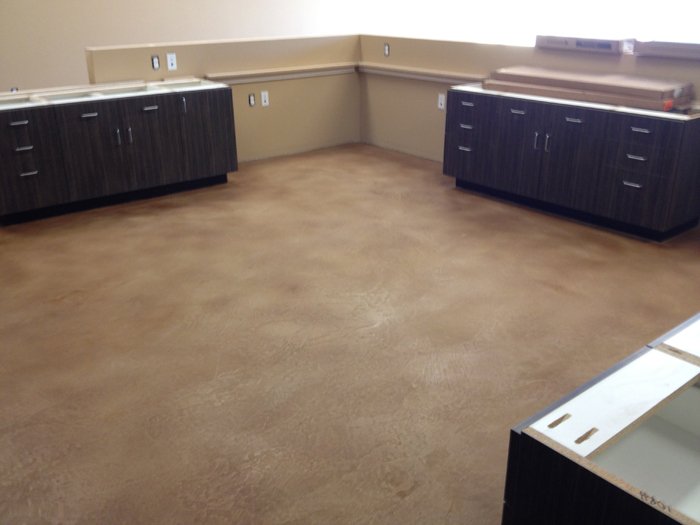 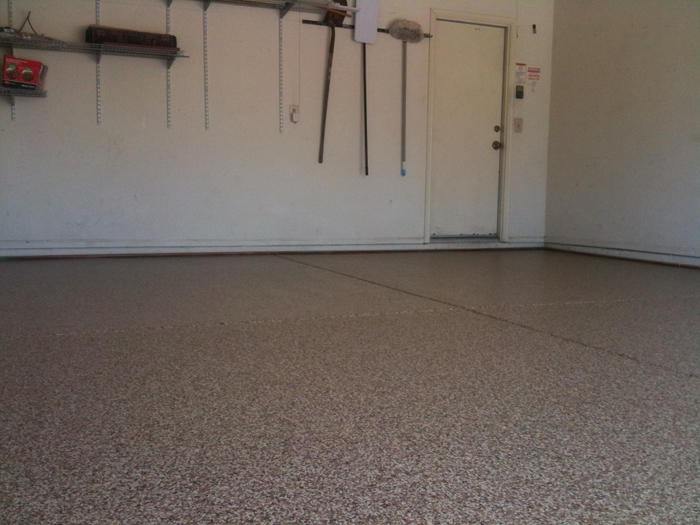 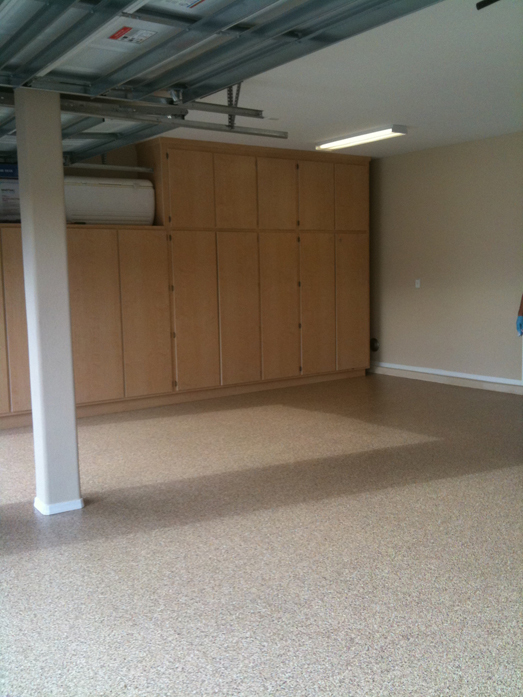 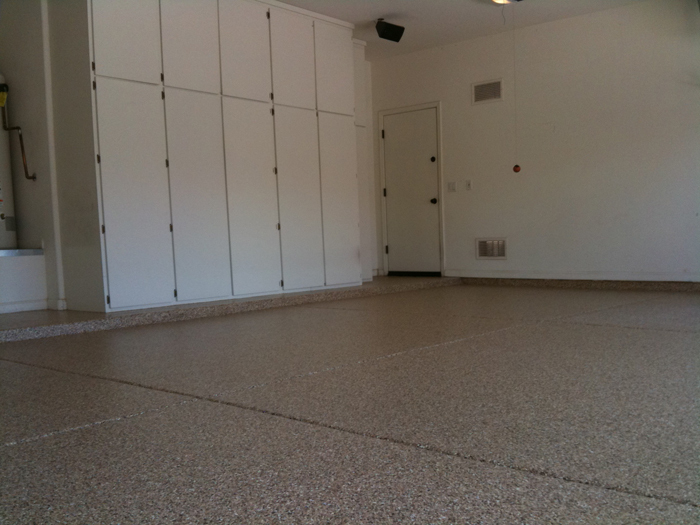 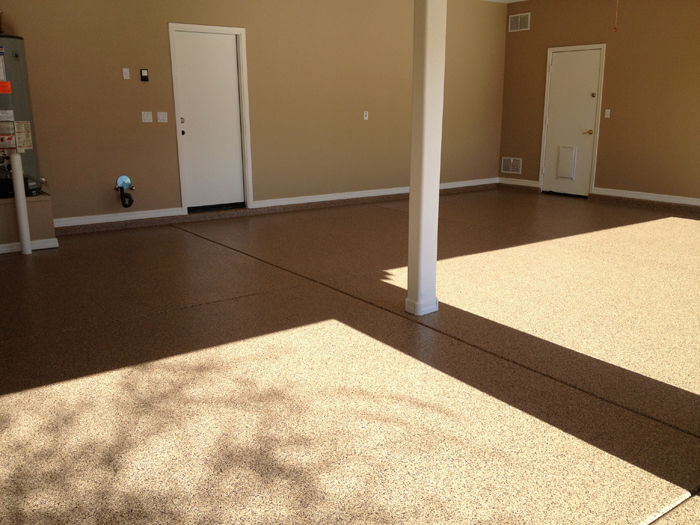 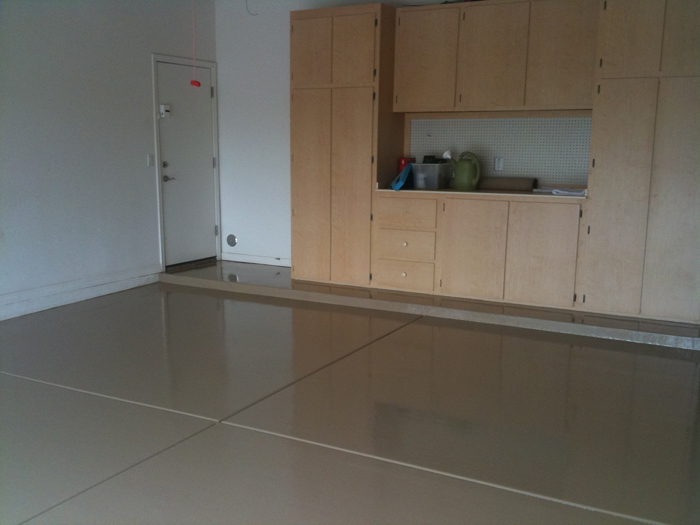 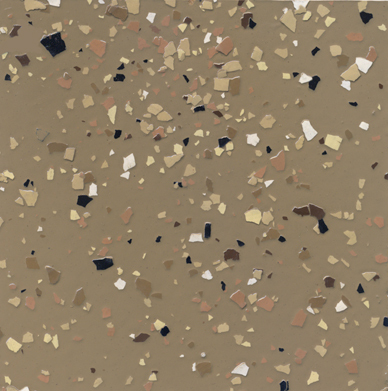 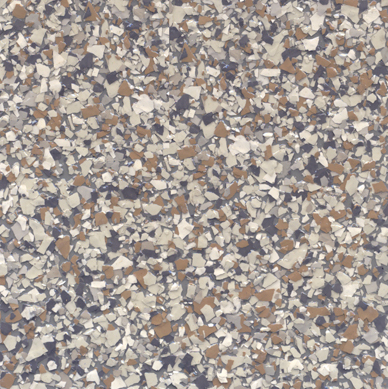 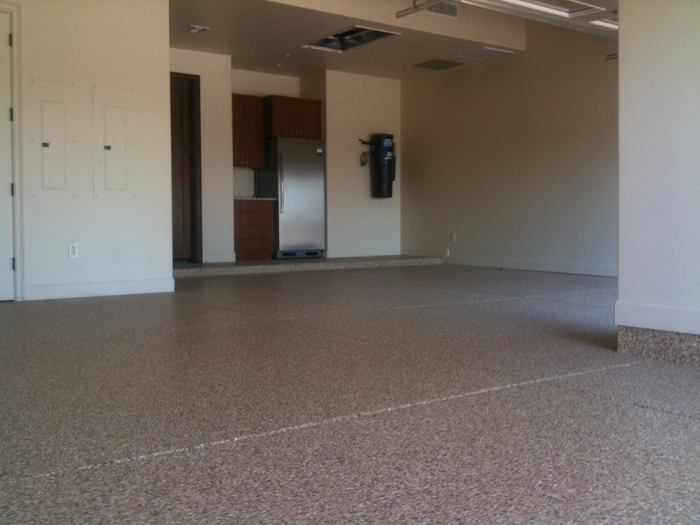 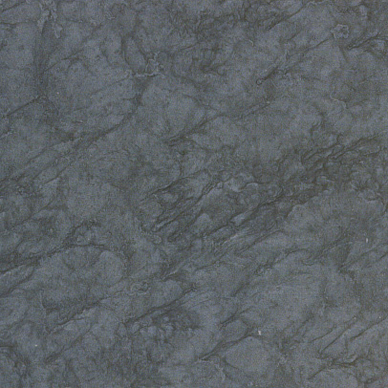 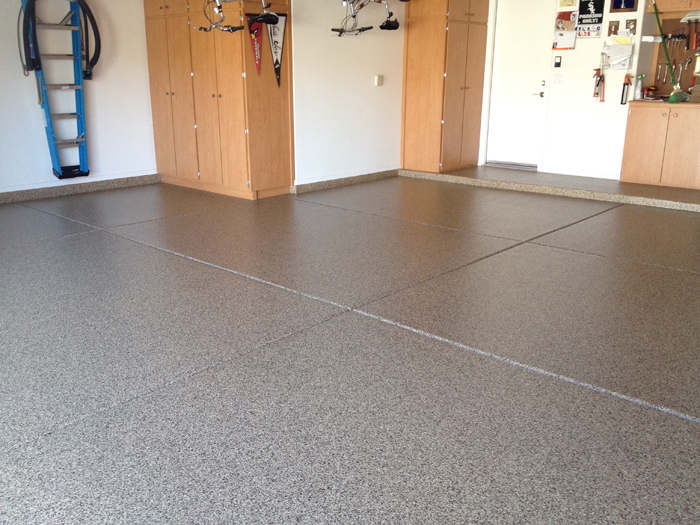 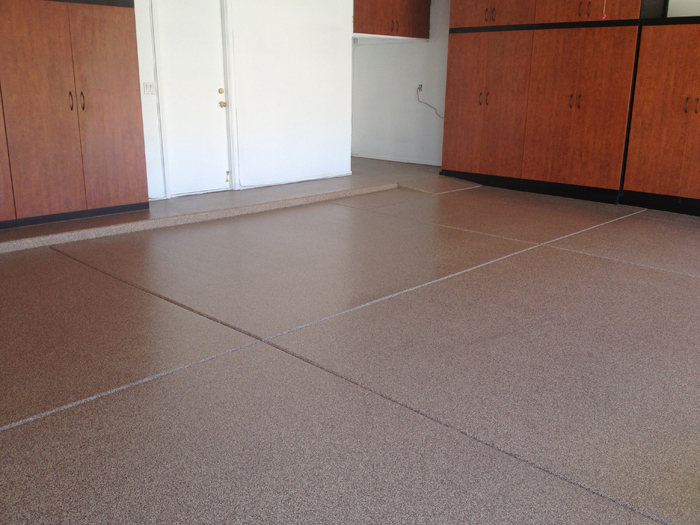 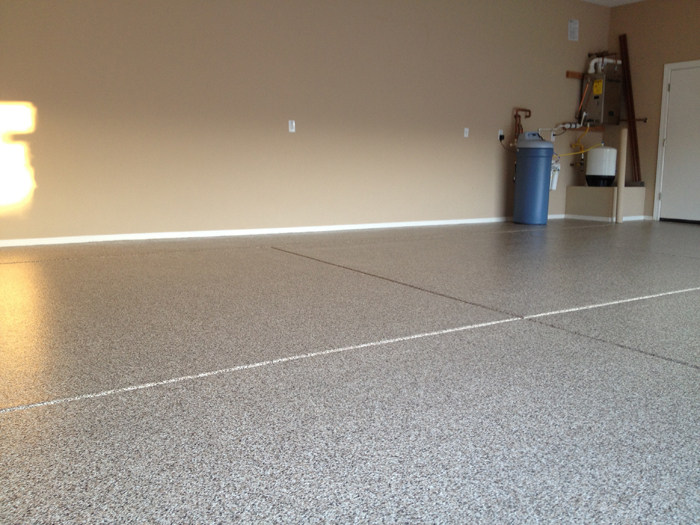 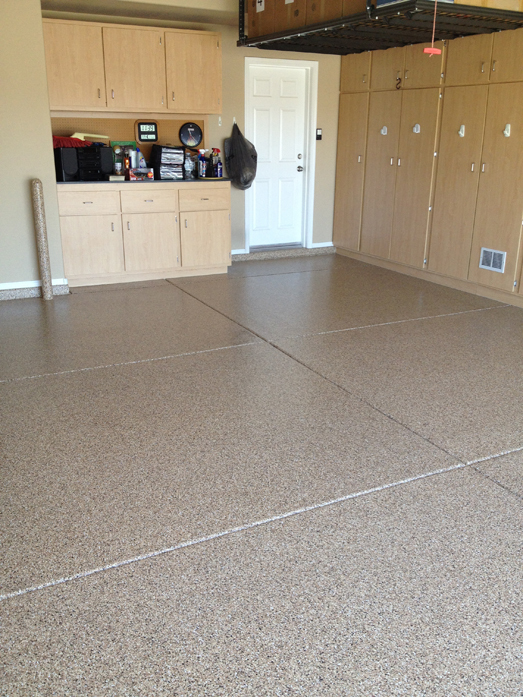 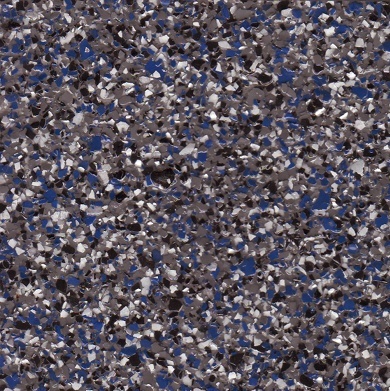 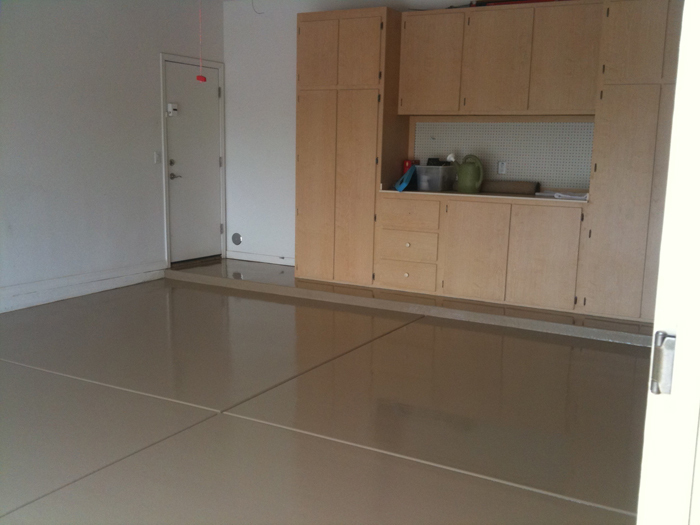 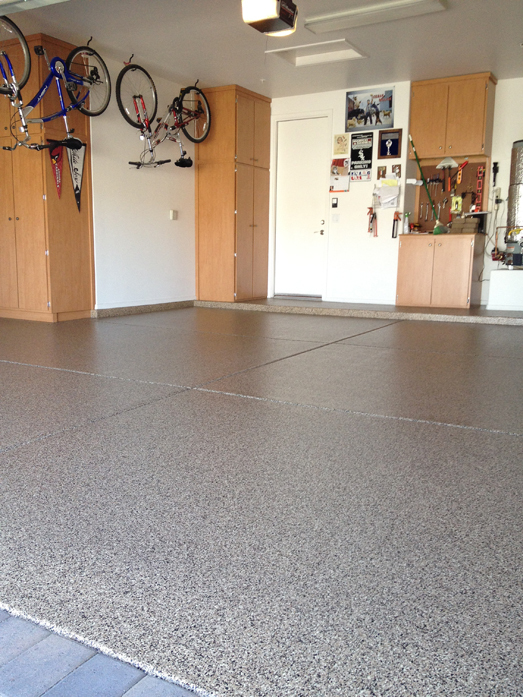 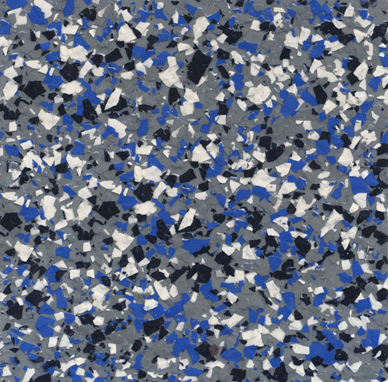 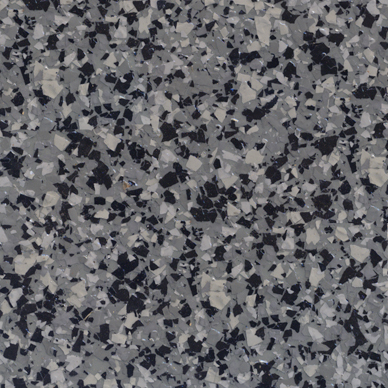 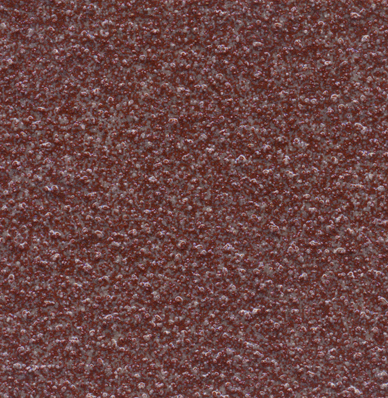 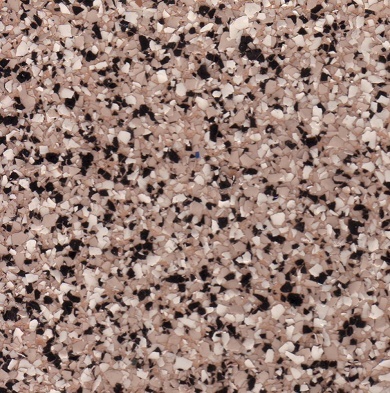 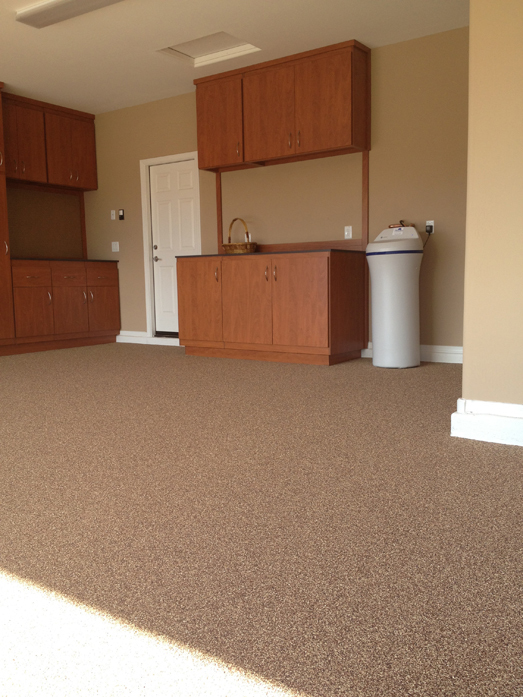 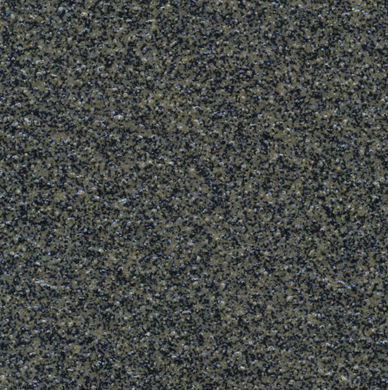 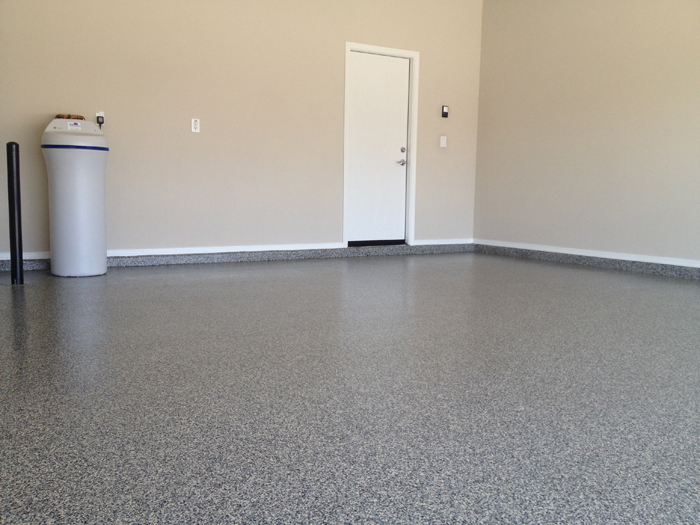 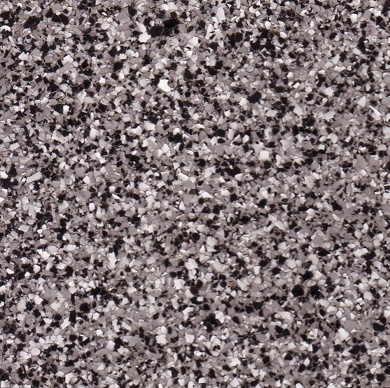 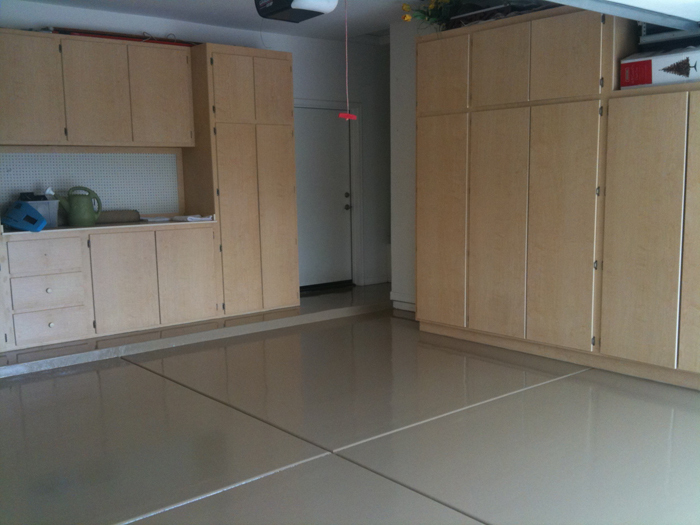 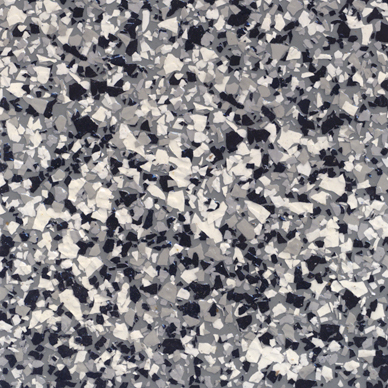 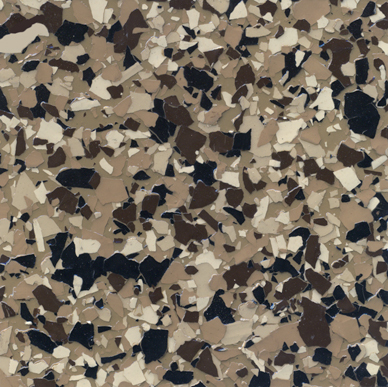 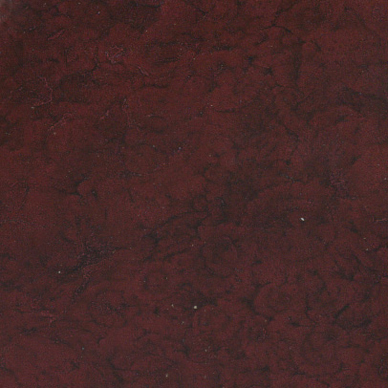 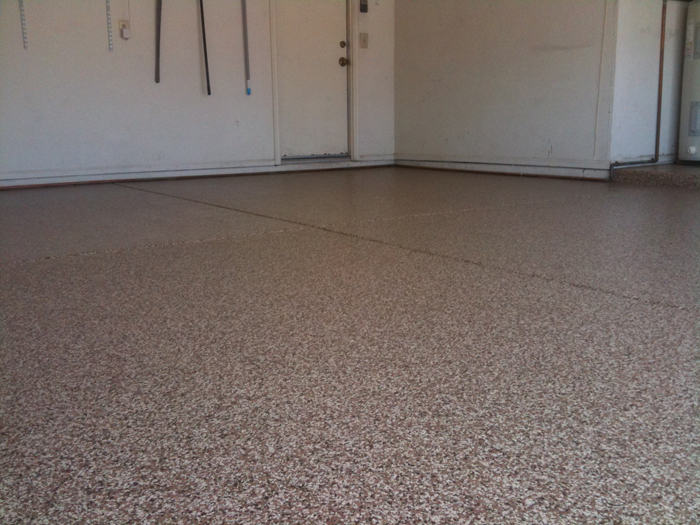 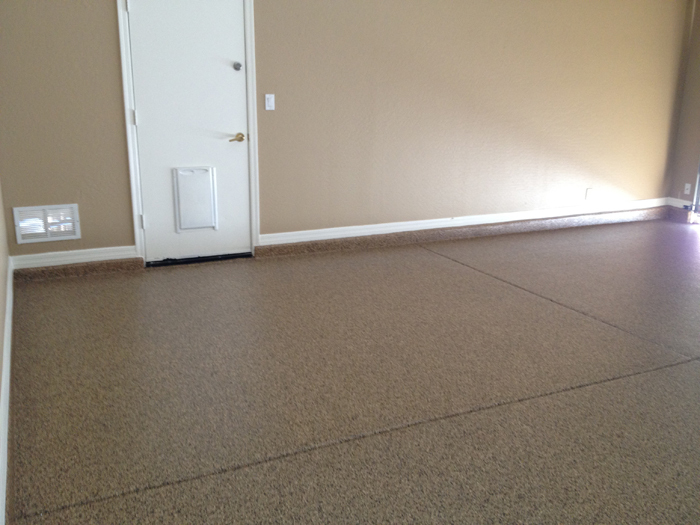 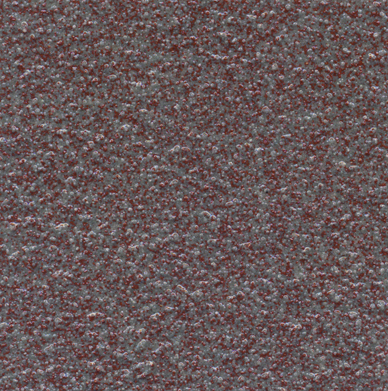 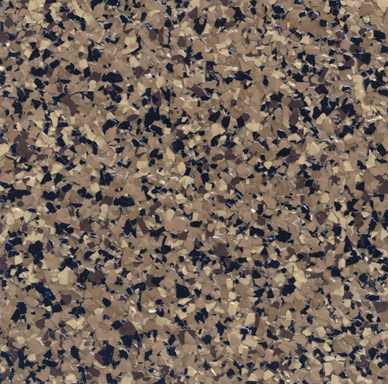 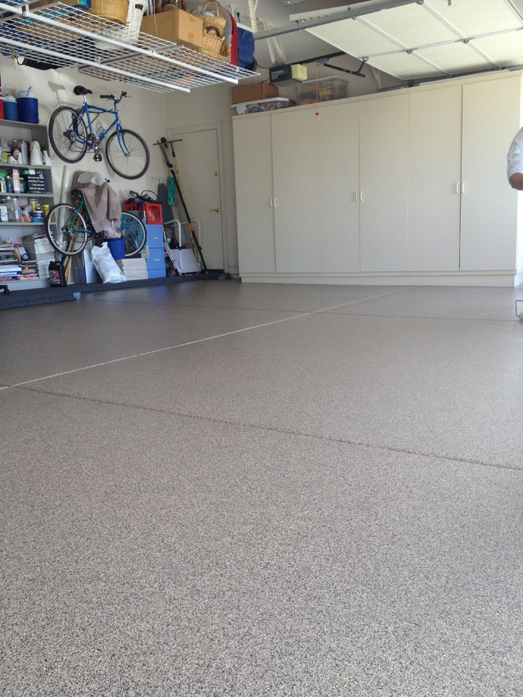 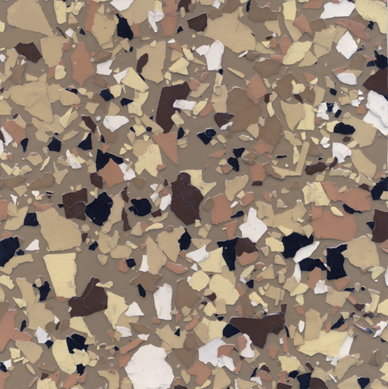 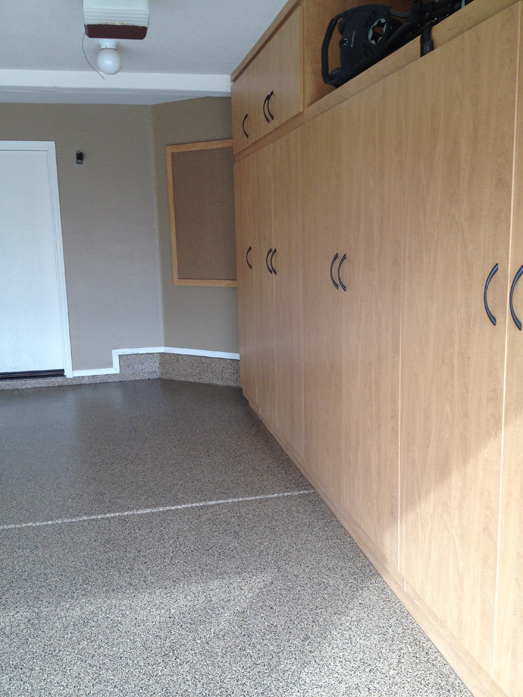 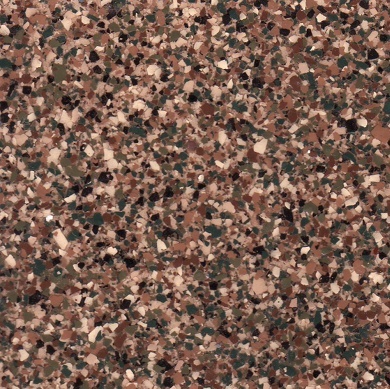 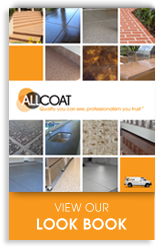 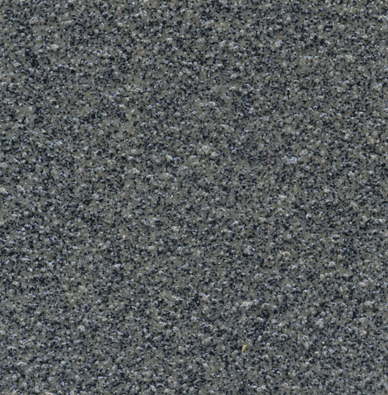 When added durability, impact and abrasion resistance are needed decorative Quartz flooring is the answer. 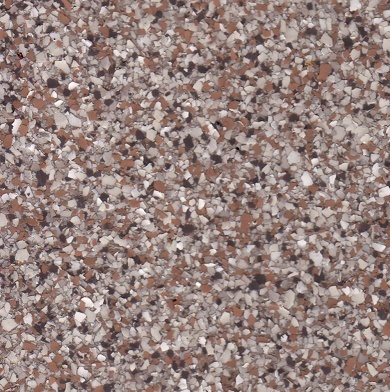 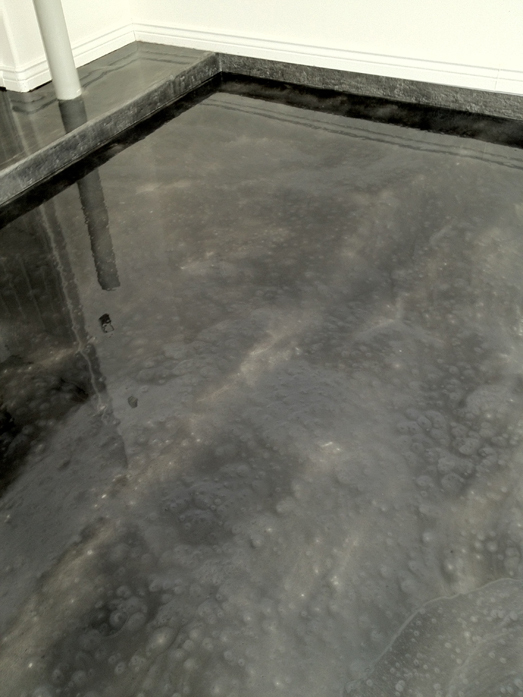 Tough quartz aggregate is broadcasted into 100% Solid Epoxy matrix and clear coated with industrial grade epoxy or polyurethane top coats. 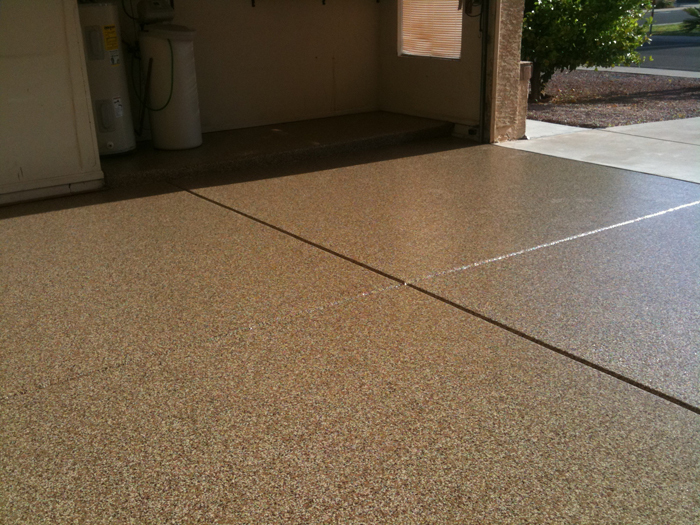 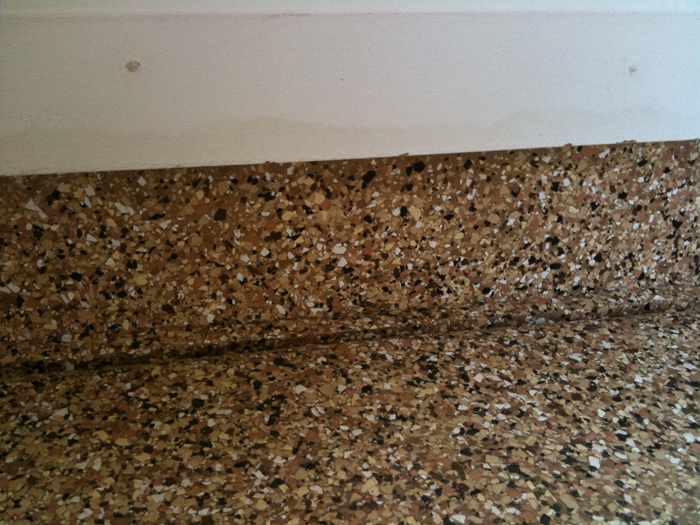 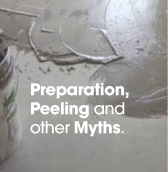 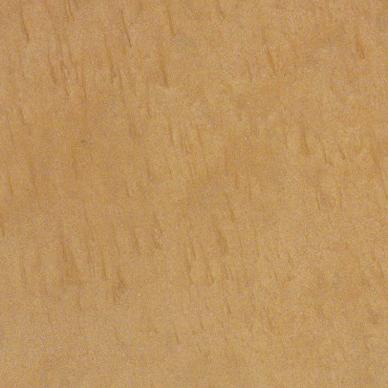 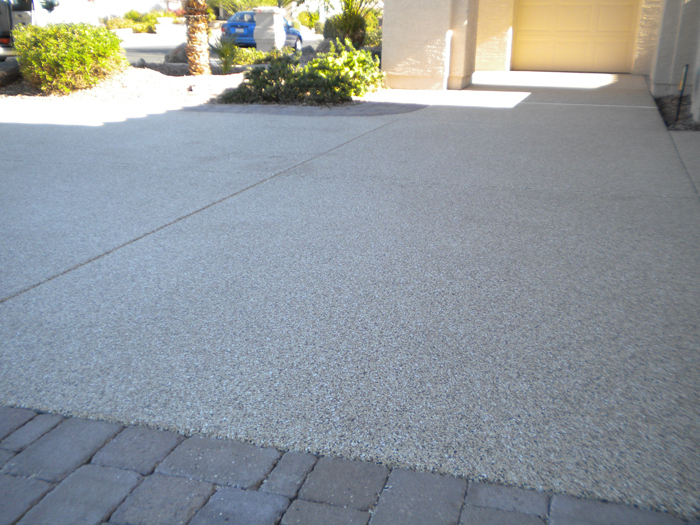 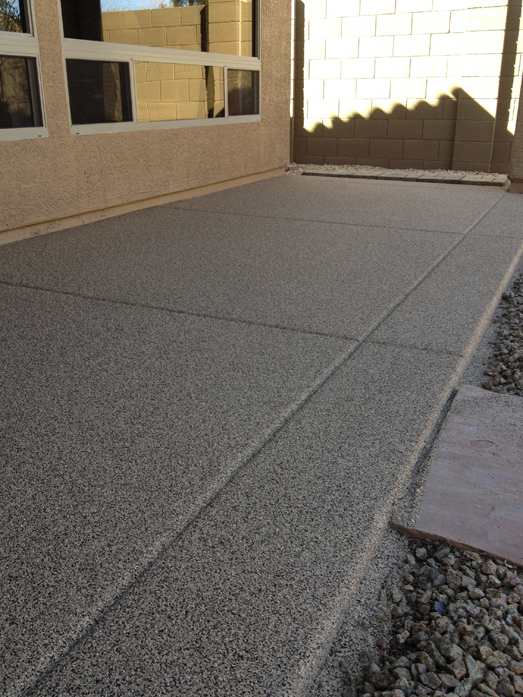 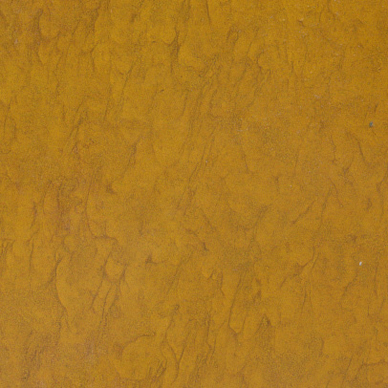 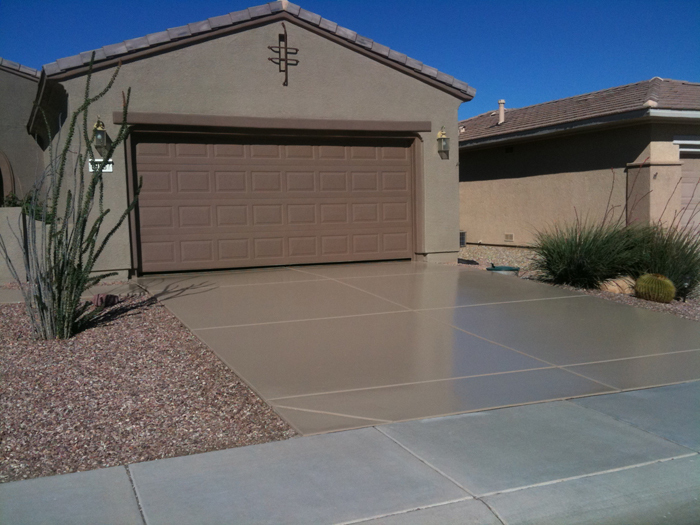 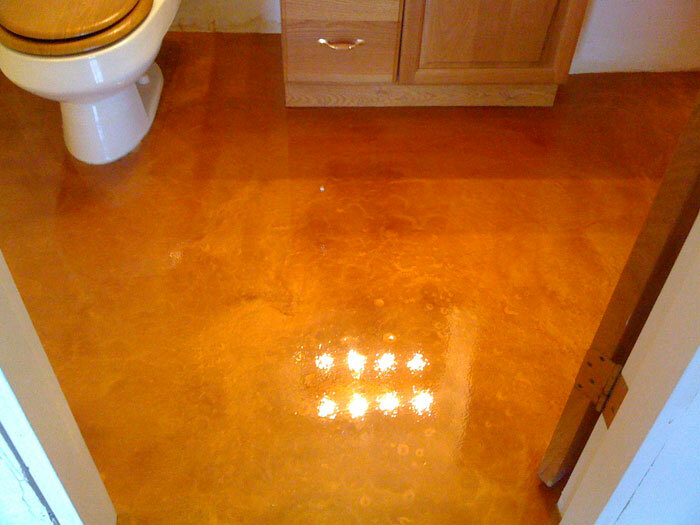 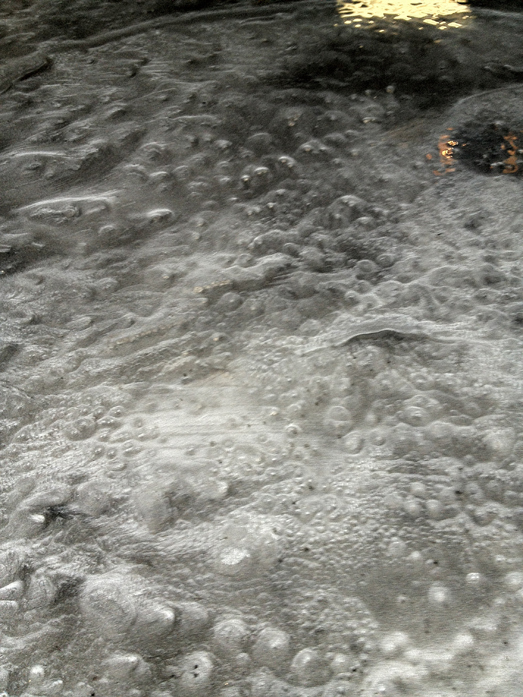 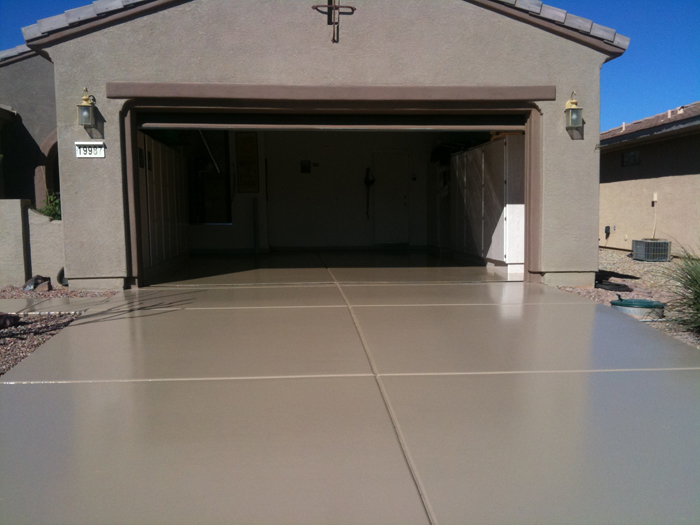 Multiple layers may be applied to vary the finished texture from smooth “Orange Peel” to rough “Sand Texture” for wet areas. 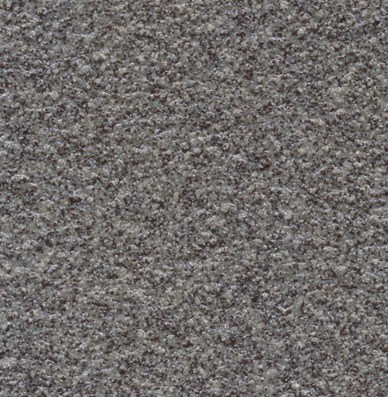 Available in 13 different blends. 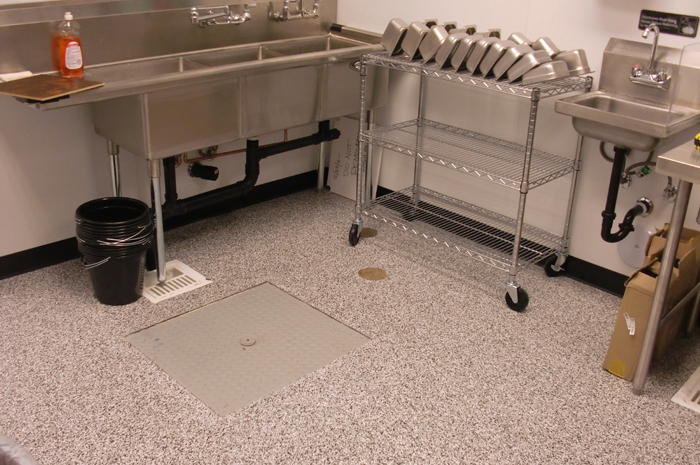 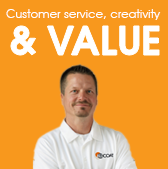 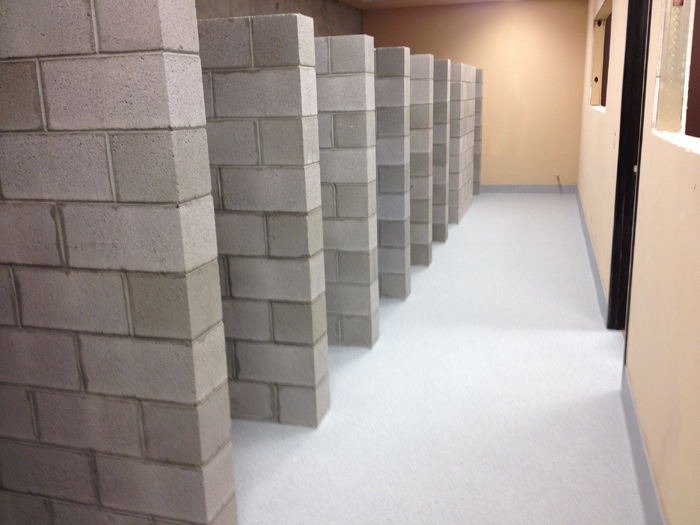 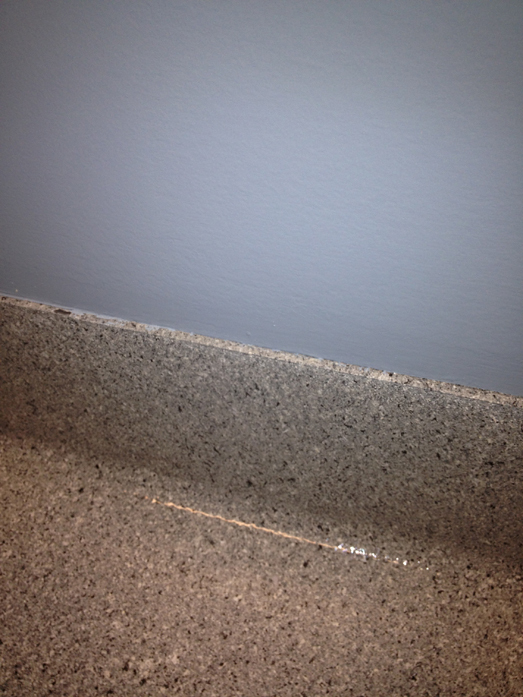 Common uses: Restaurant kitchens, health care facilities, laboratories, public restrooms. 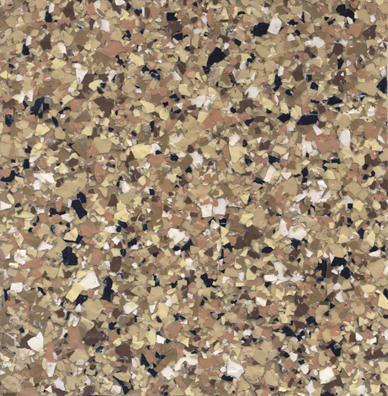 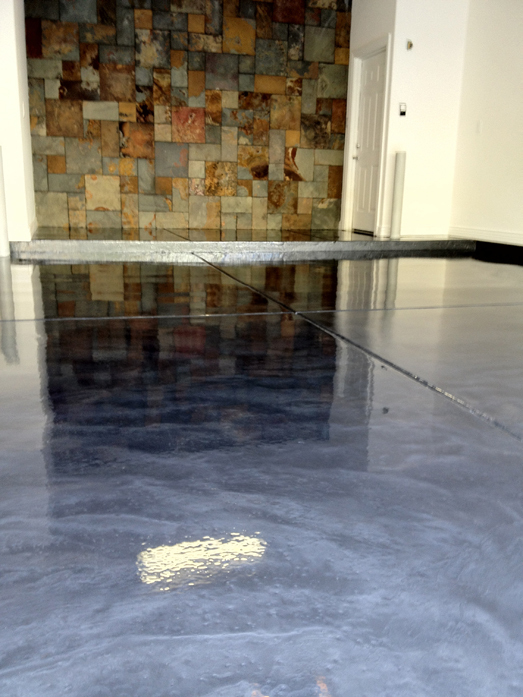 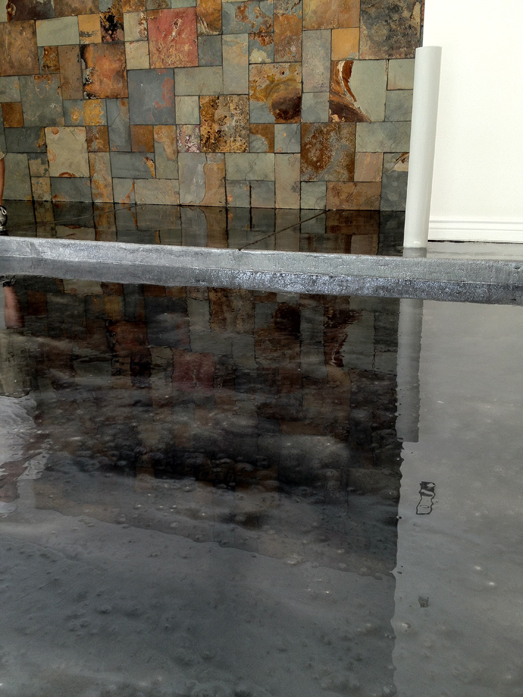 Metallic finishes are the next step up in decorative flooring. 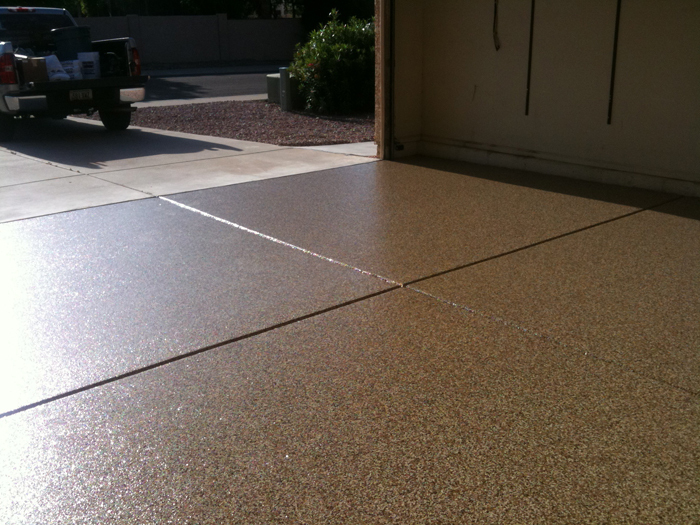 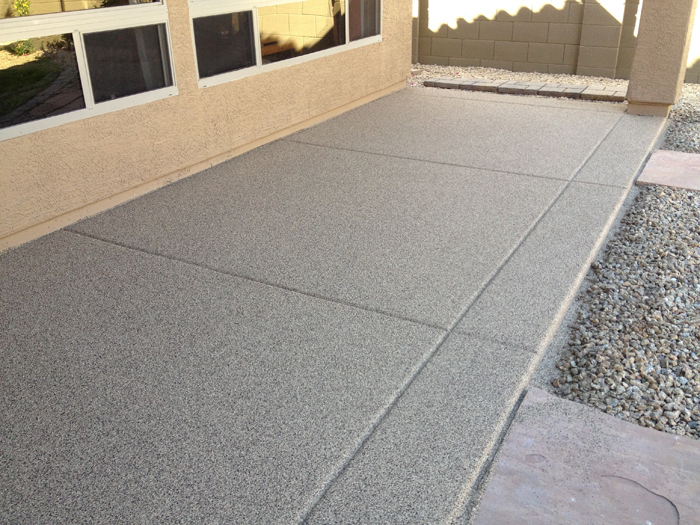 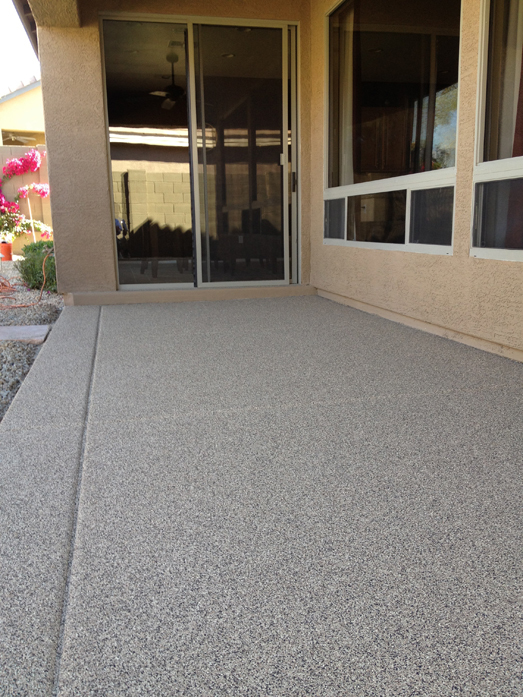 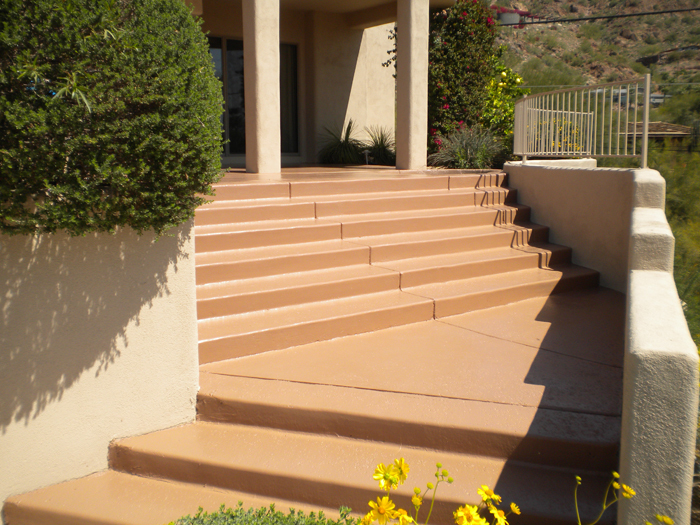 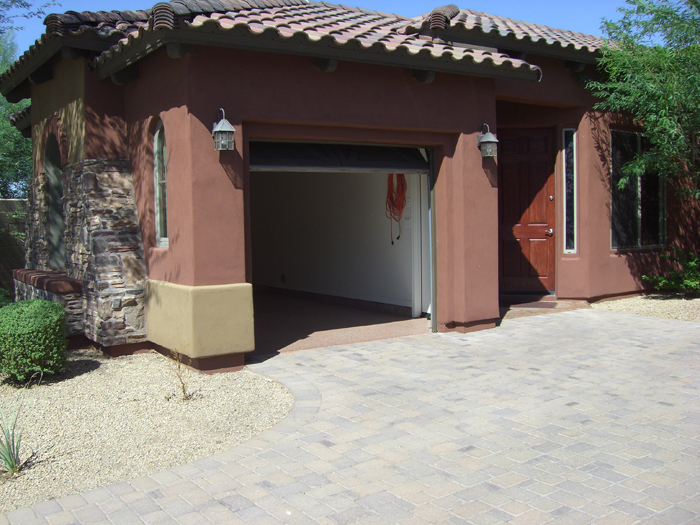 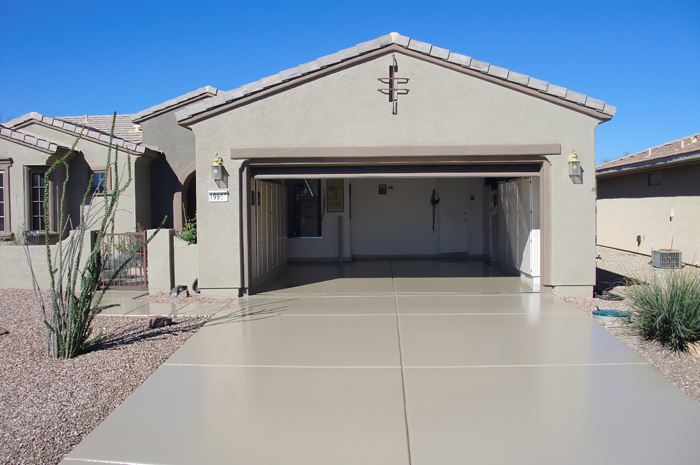 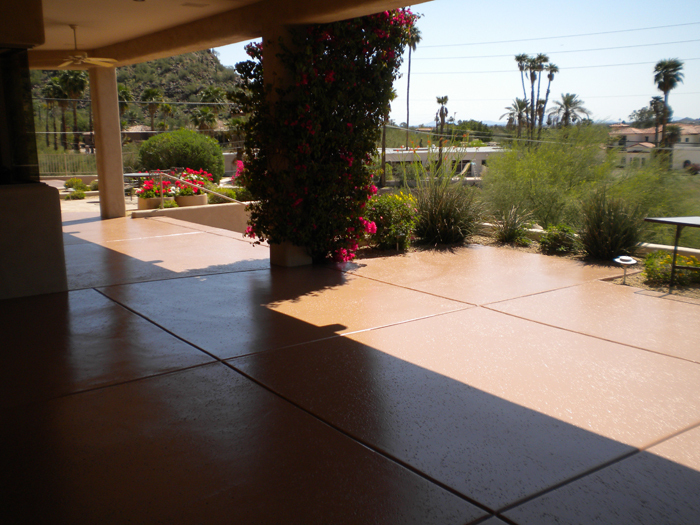 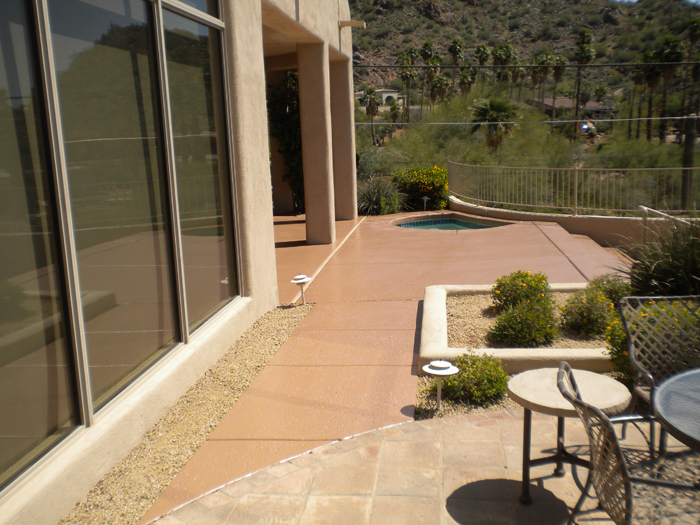 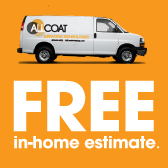 Metallic coatings offer durability and striking “lava flow” and “molten metal” custom-colors that showcase your home or businesses’ brighter, funkier side.